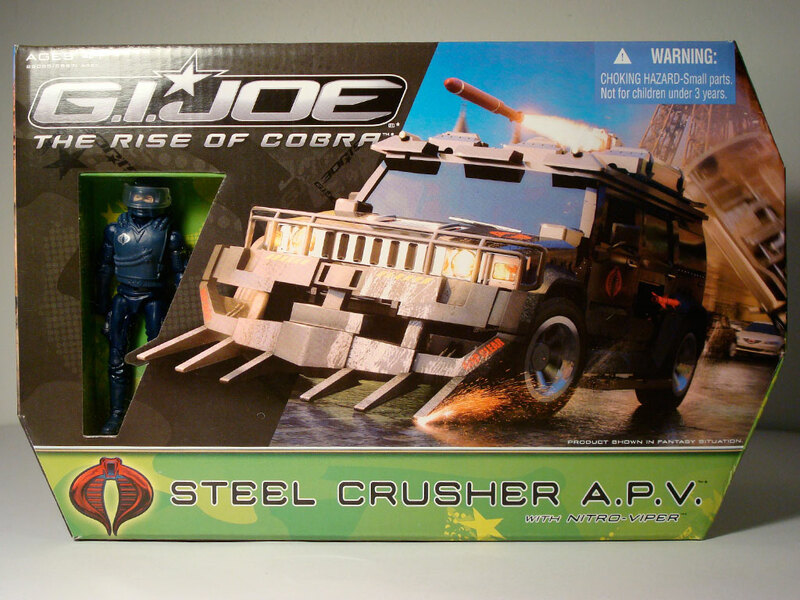 This Target exclusive toy is by far and away my favorite vehicle so far. 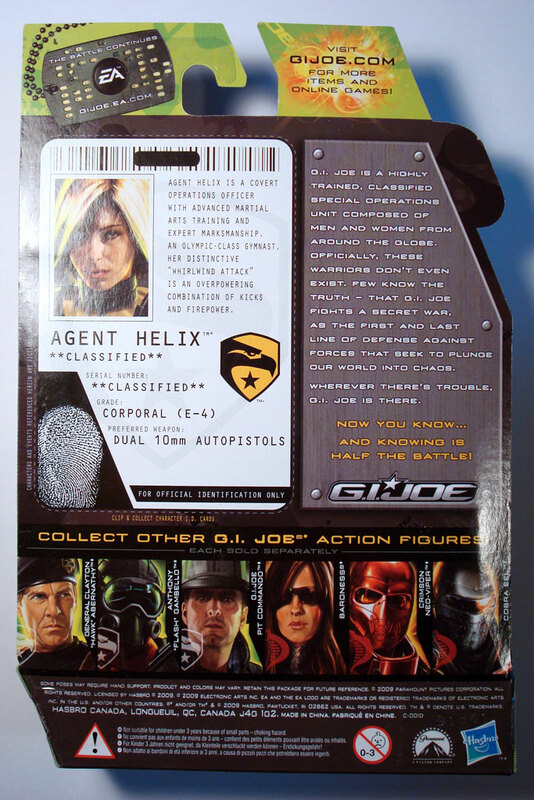 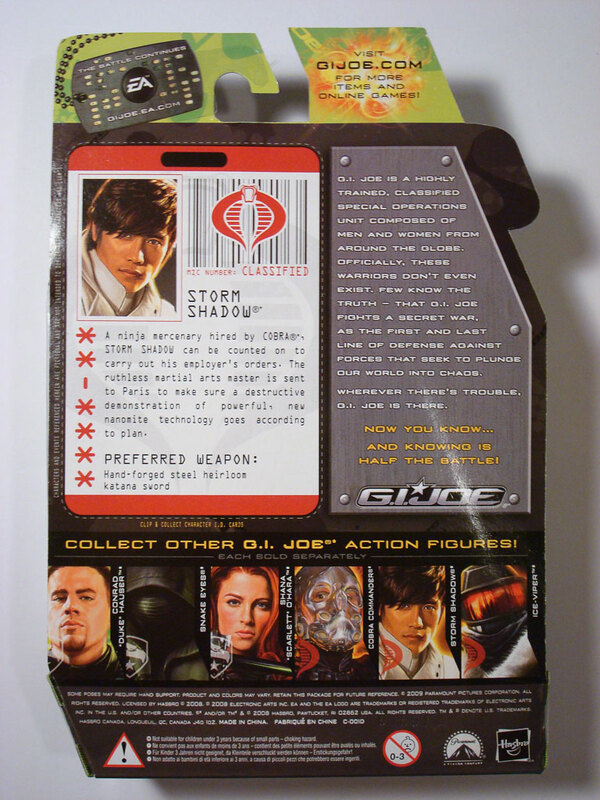 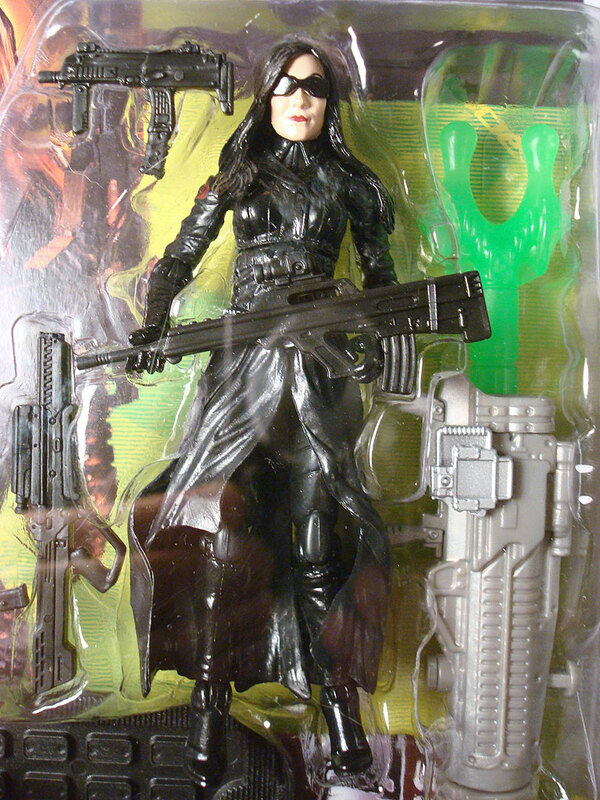 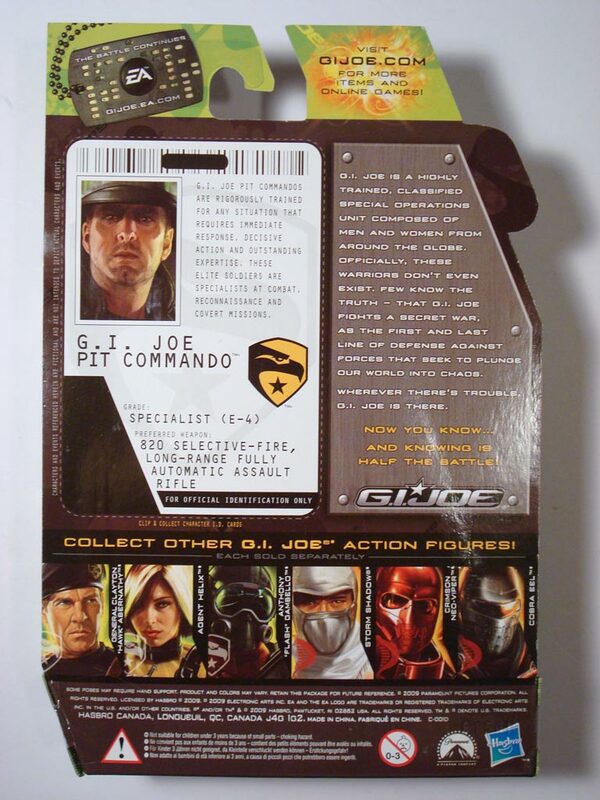 It is massive and rewards you with a high play value and space to hold many figures. 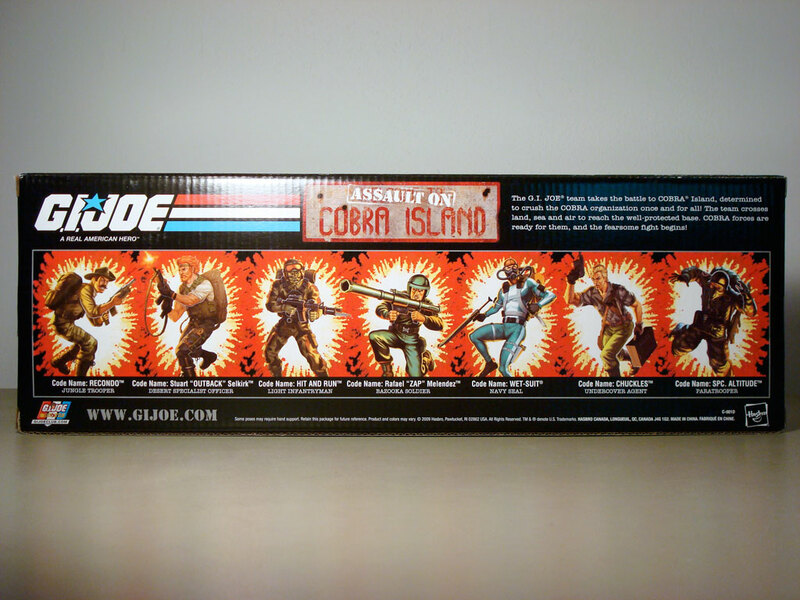 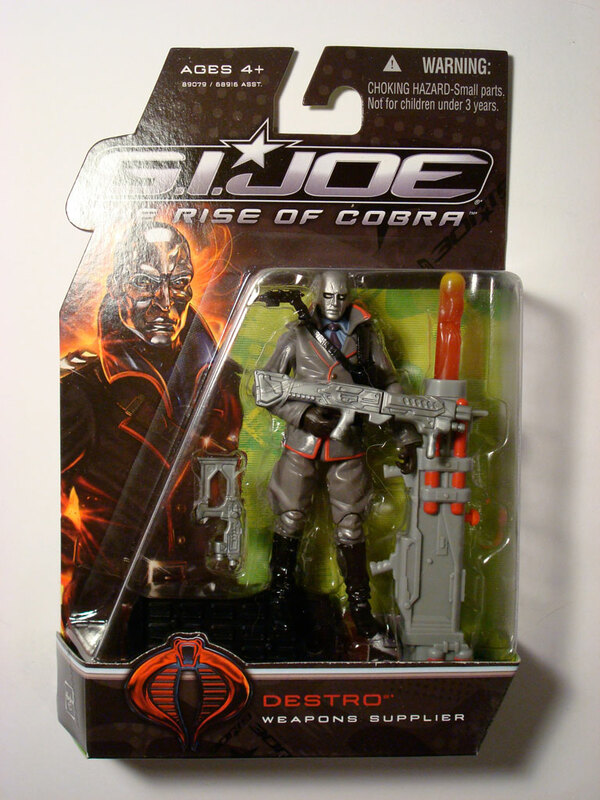 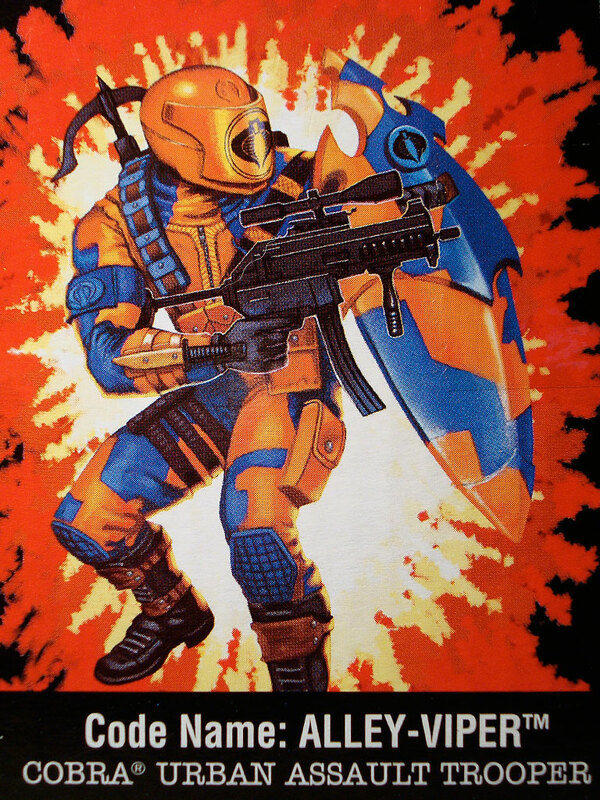 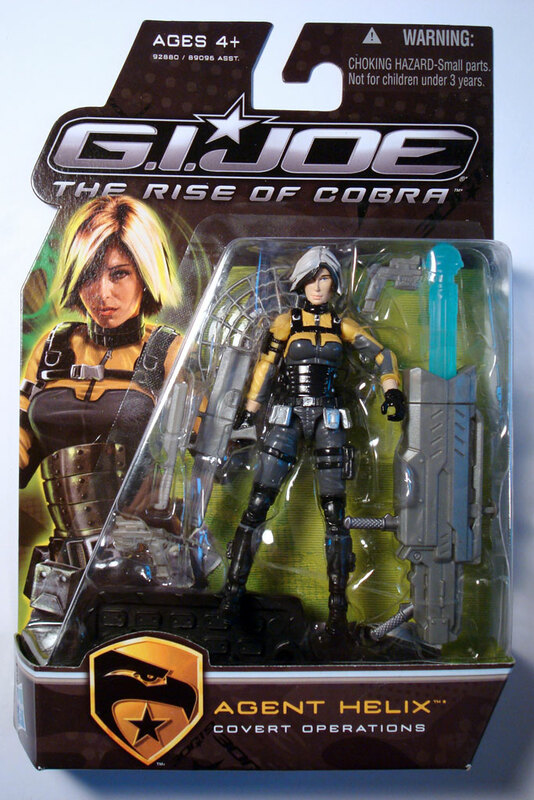 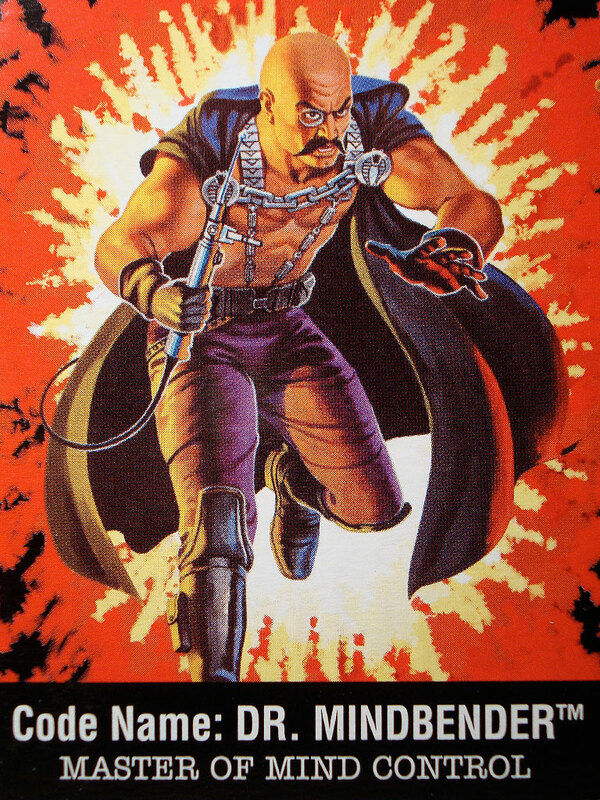 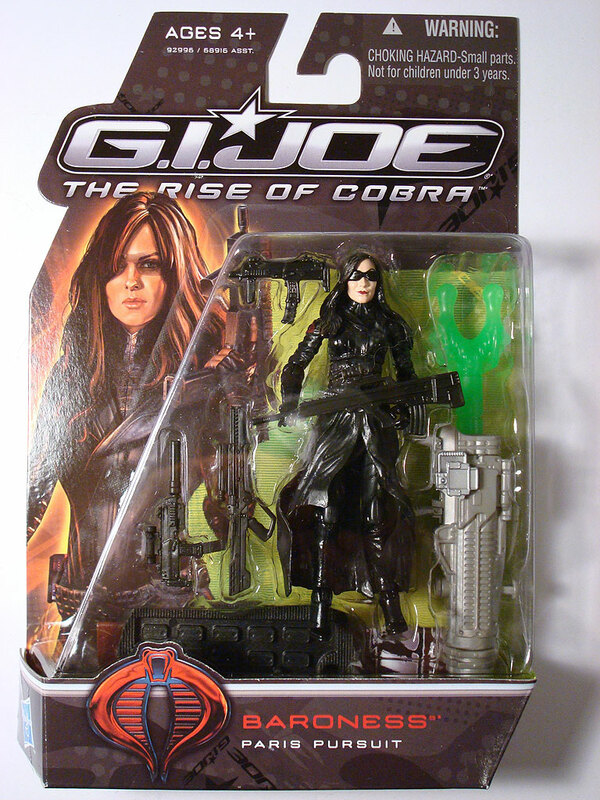 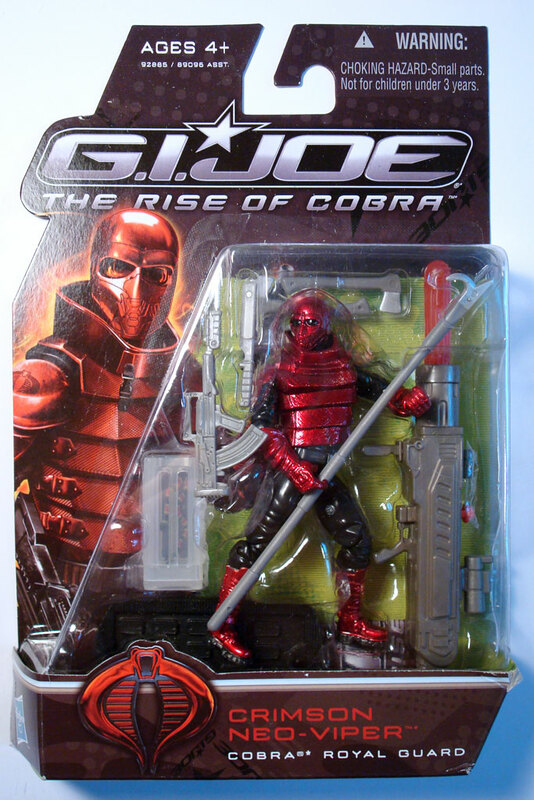 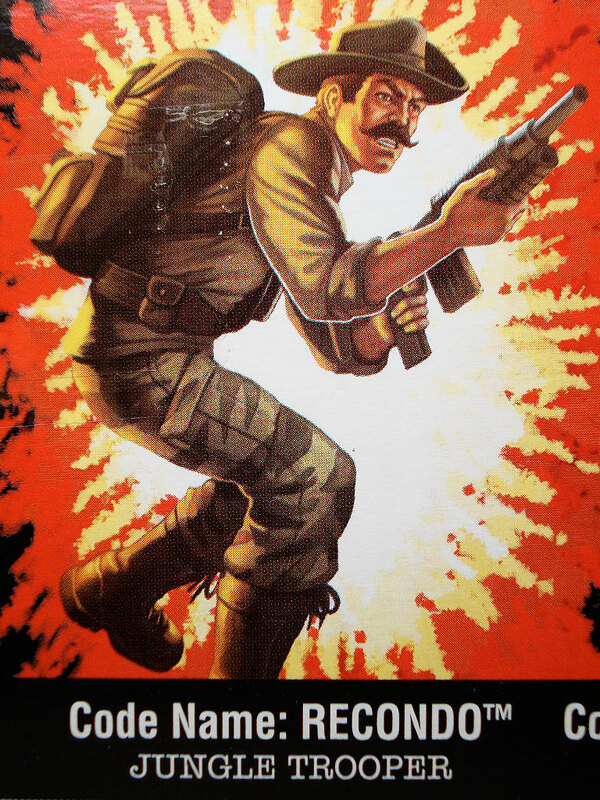 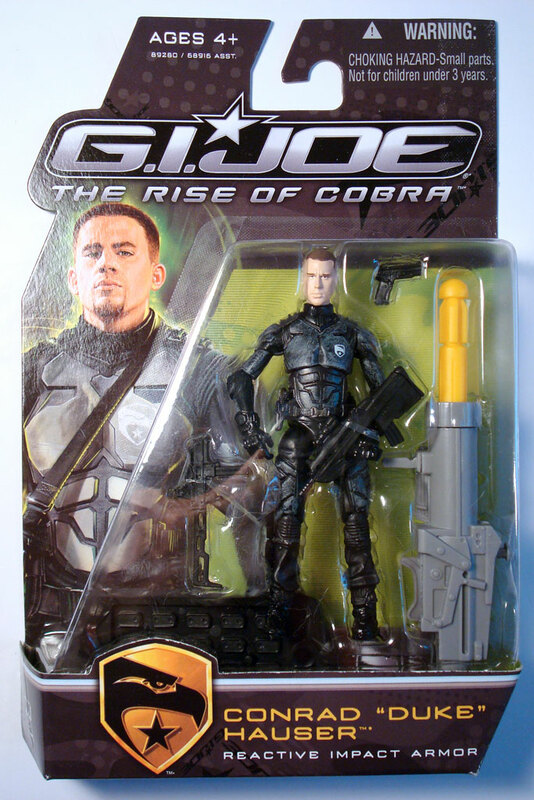 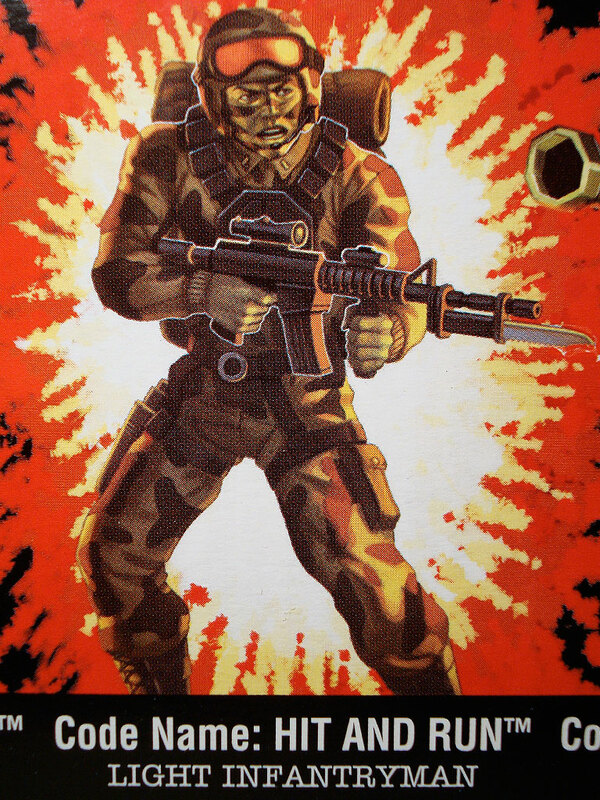 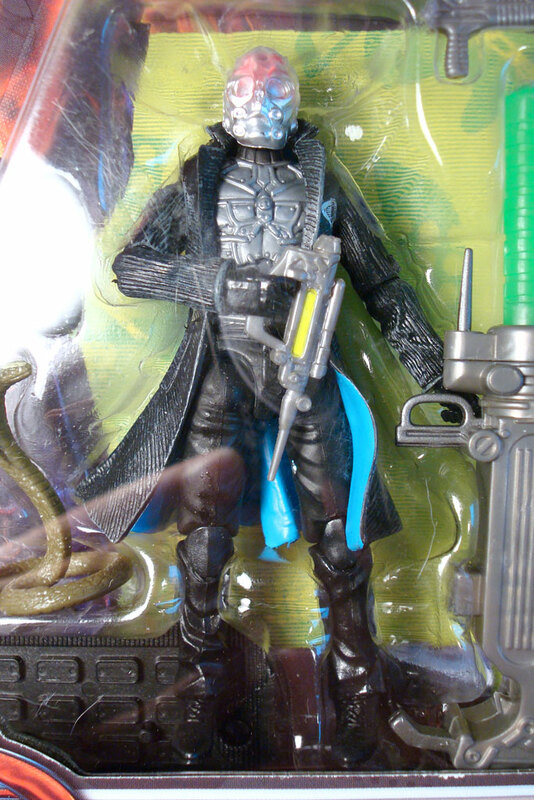 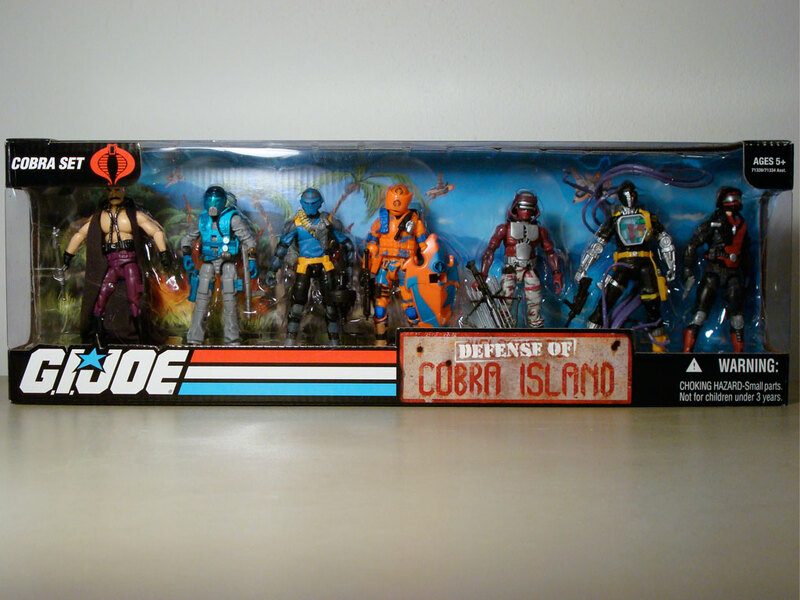 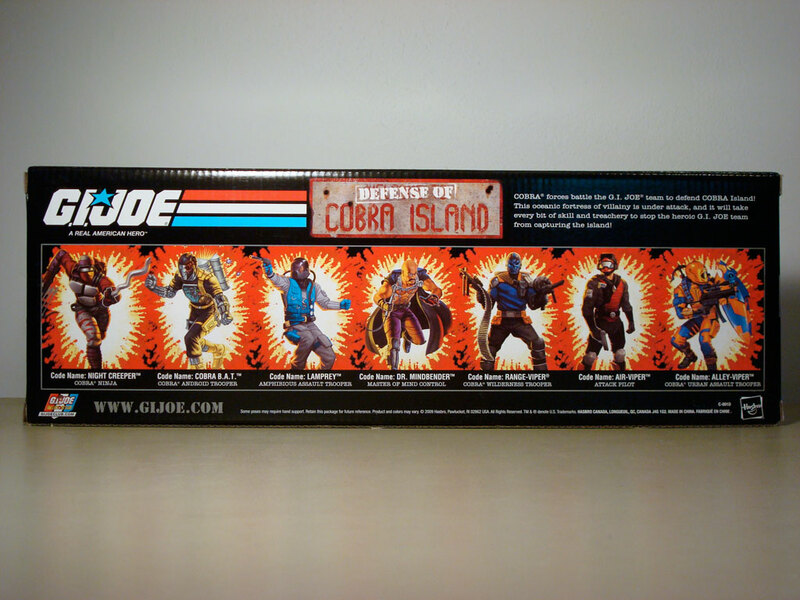 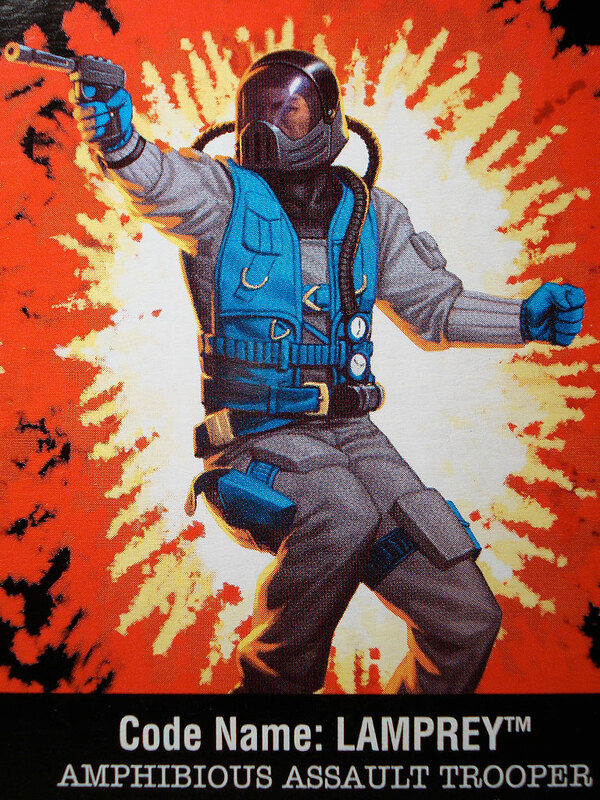 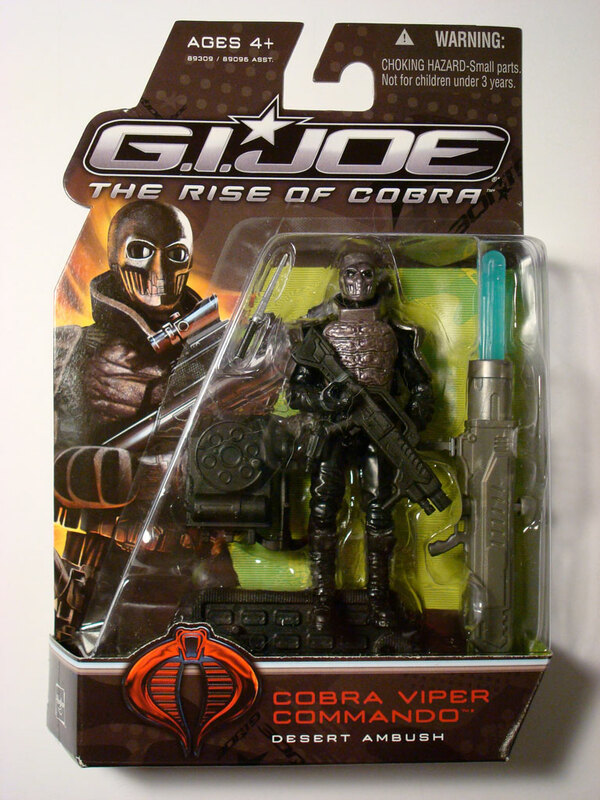 Cobra does not stand a chance! 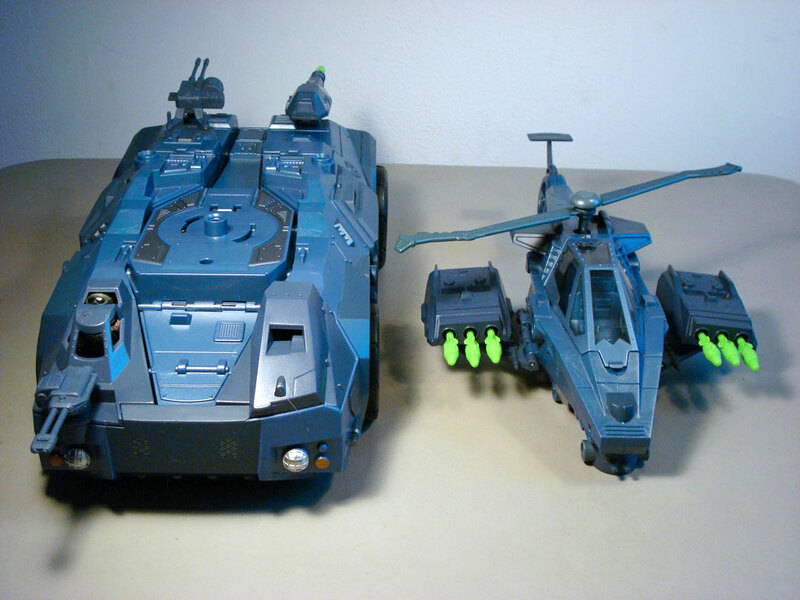 Originally released in the Venom vs. Valor line in darker hues (black and grey), the Rapid Heli-Integrated Neutralizing Offensive vehicle has been recast in blue with gun metal grey accents found mainly on the canopies, doorways and hatches. 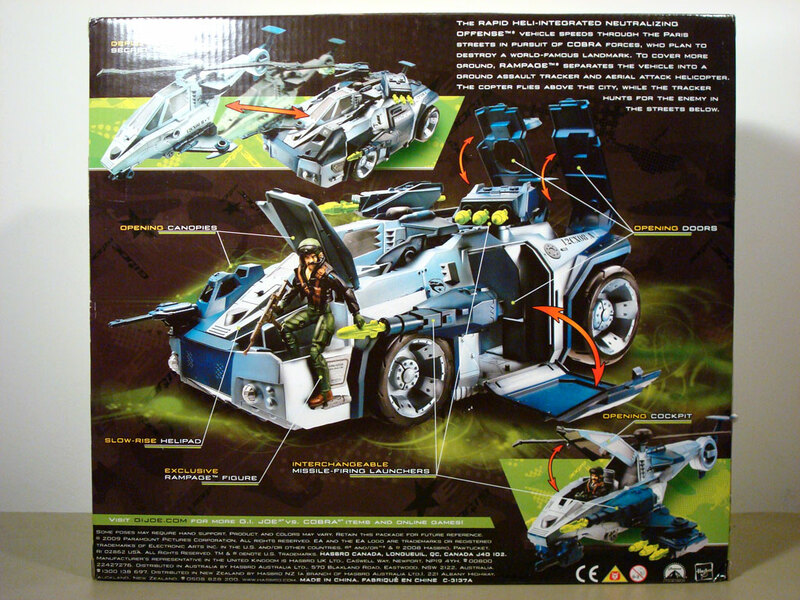 Basically, it is 2 vehicles in one: a solid ground-based APC unit that houses a detachable helicopter unit with collapsable rotor blades. 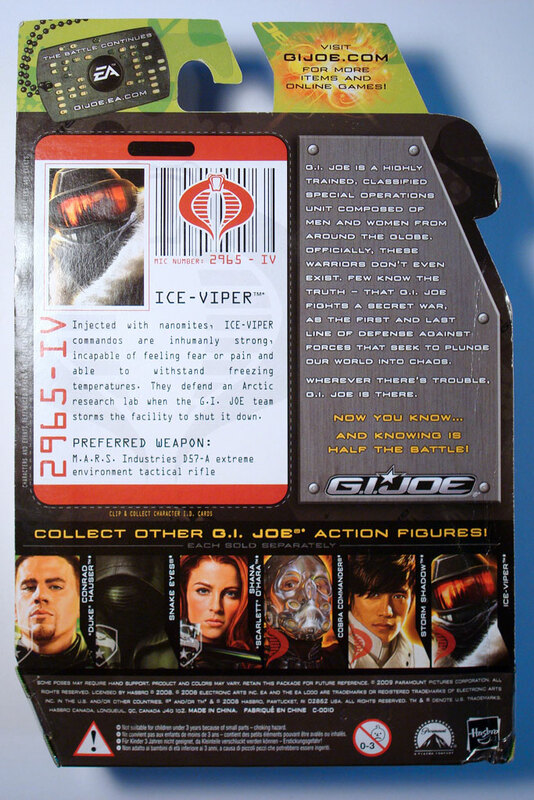 A number of weapons adorn the R.H.I.N.O. 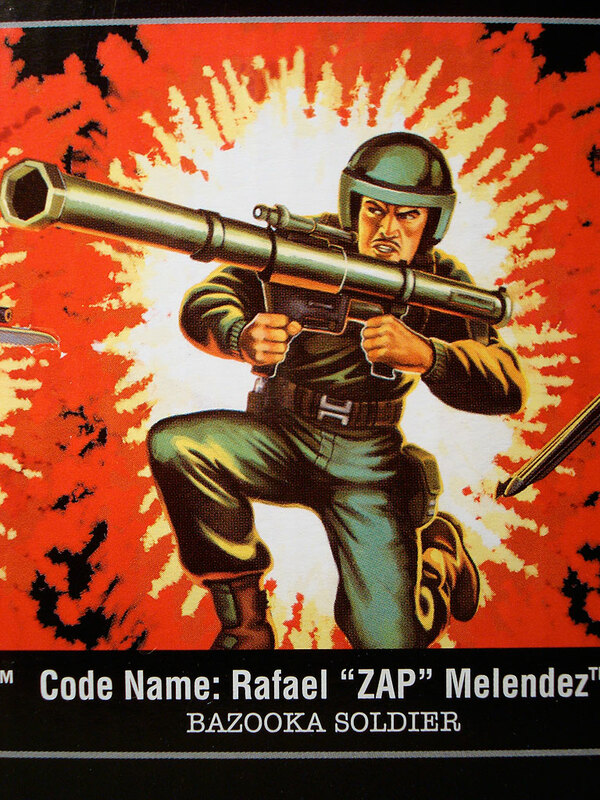 — 2 rocket launchers (that hold 3 rockets each), a single rocket launcher and twin-barrelled machine gun. 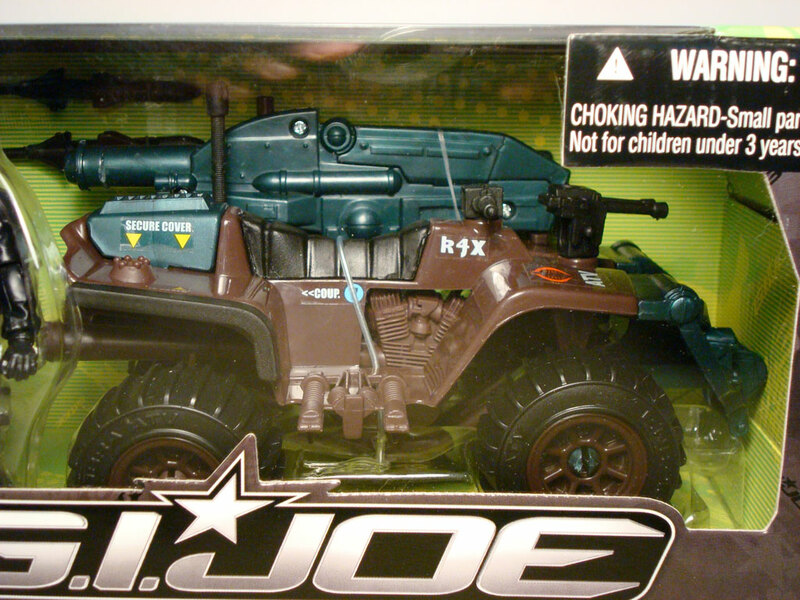 There are a number of posts on the vehicle that allow you to customize the configuration of these weapons. 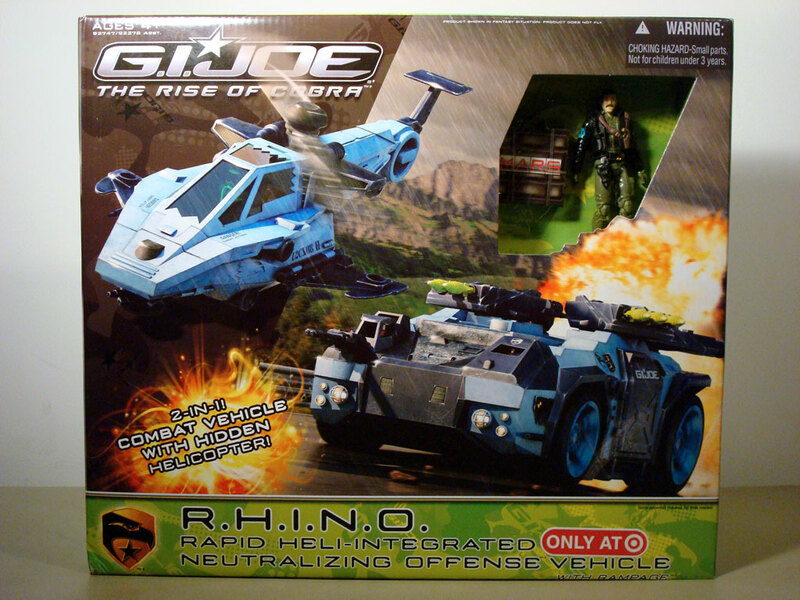 The helicopter is deployed by pressing a button on the back of the APC. 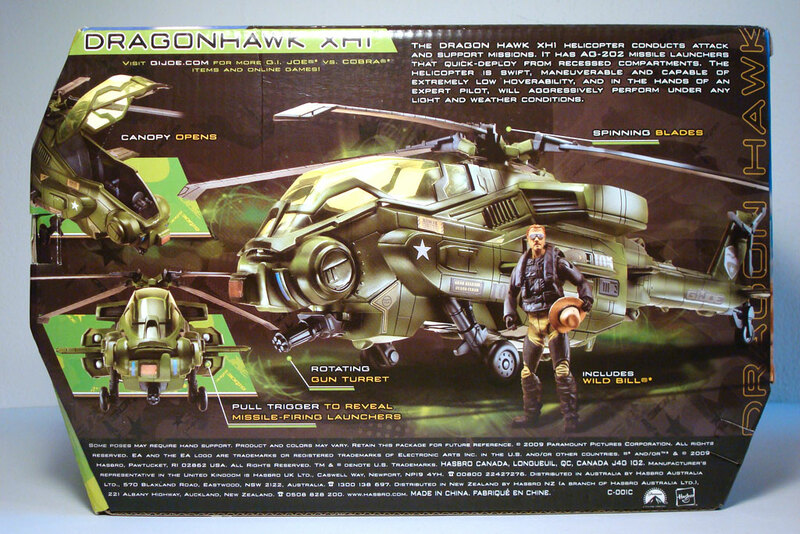 It rises out of its mooring and can be detached; what’s great is that a panel lifts into the helicopter’s place so there is no visible hole when it is removed. 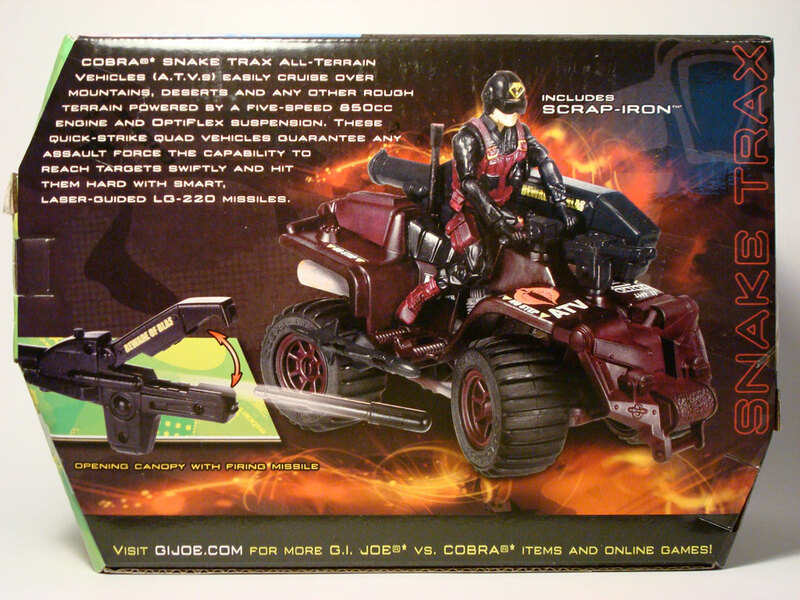 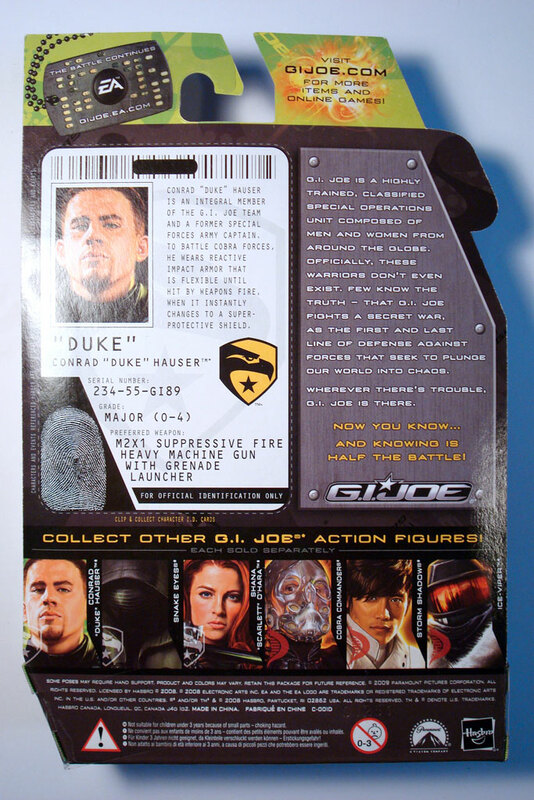 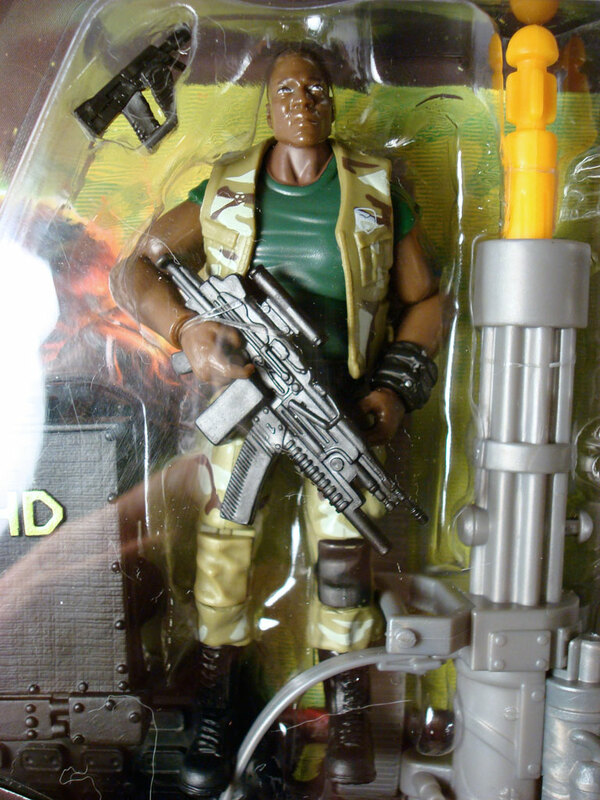 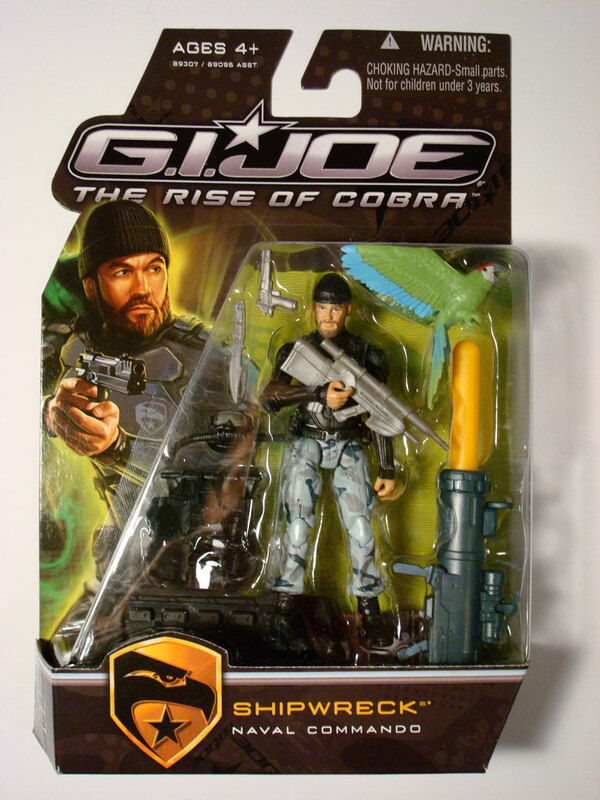 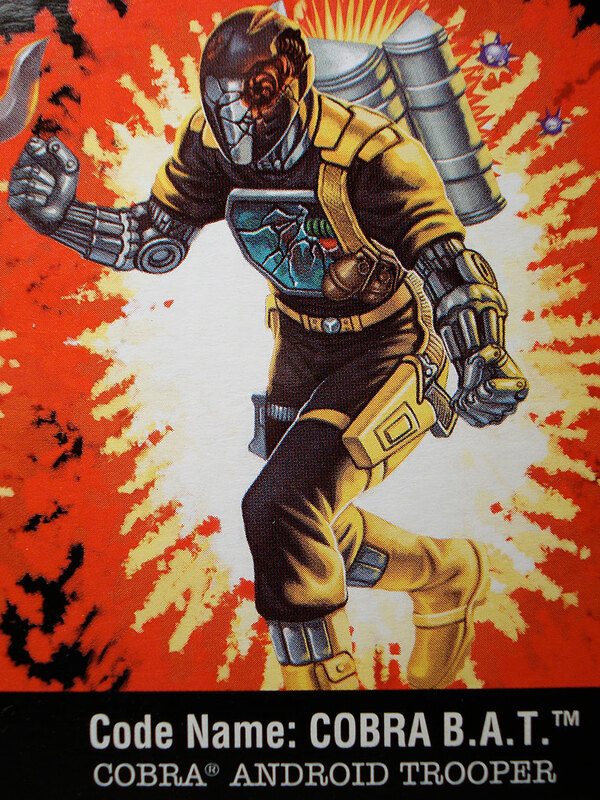 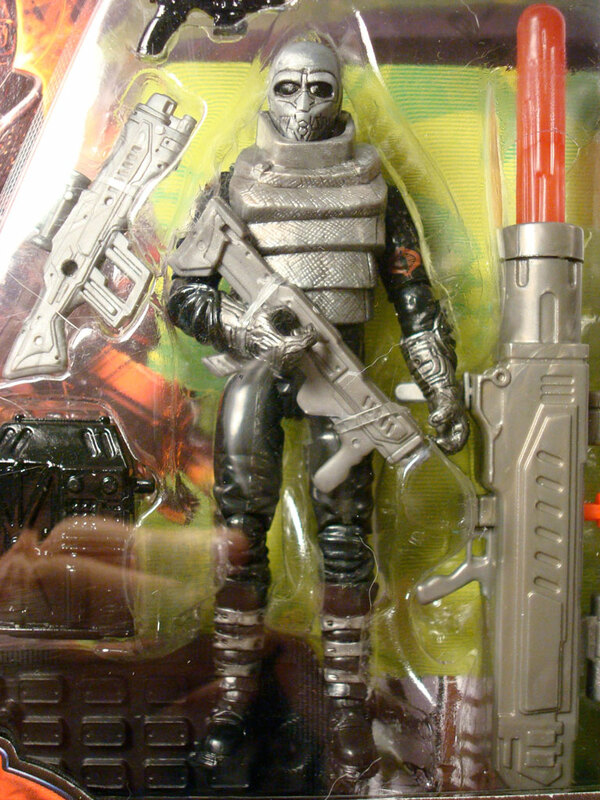 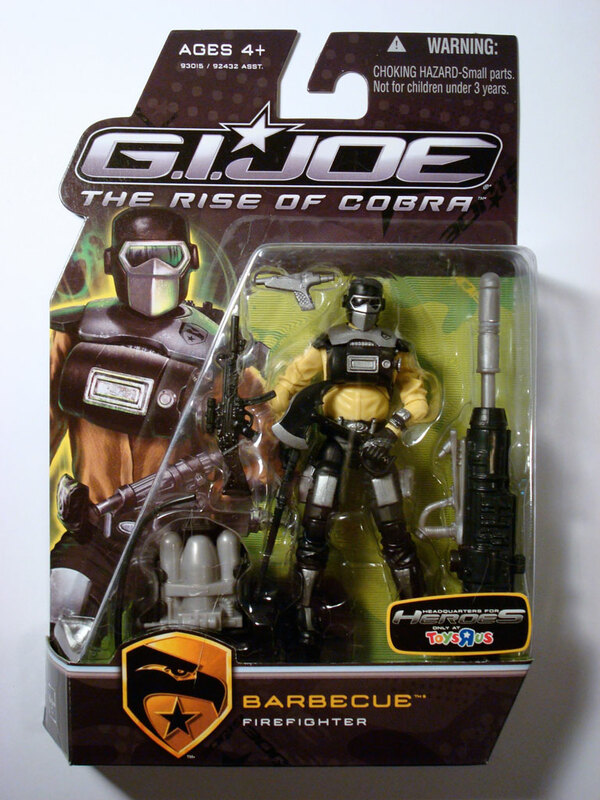 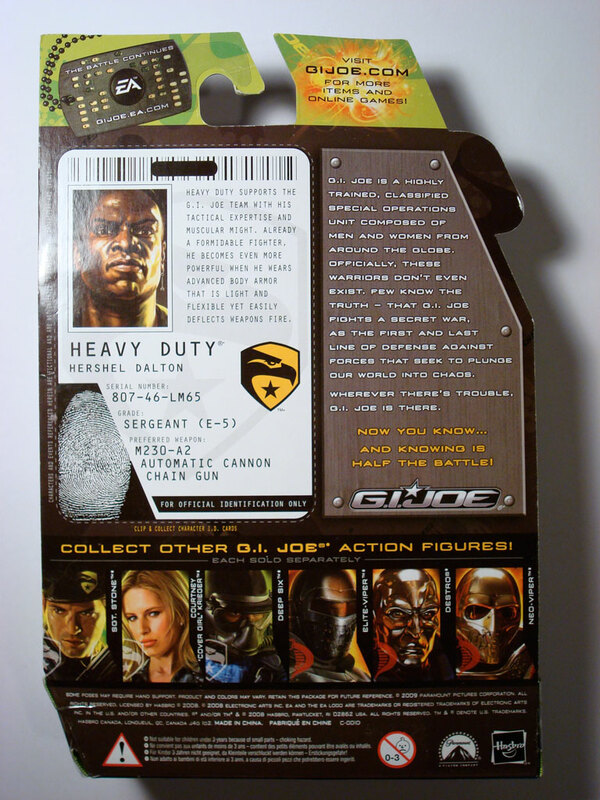 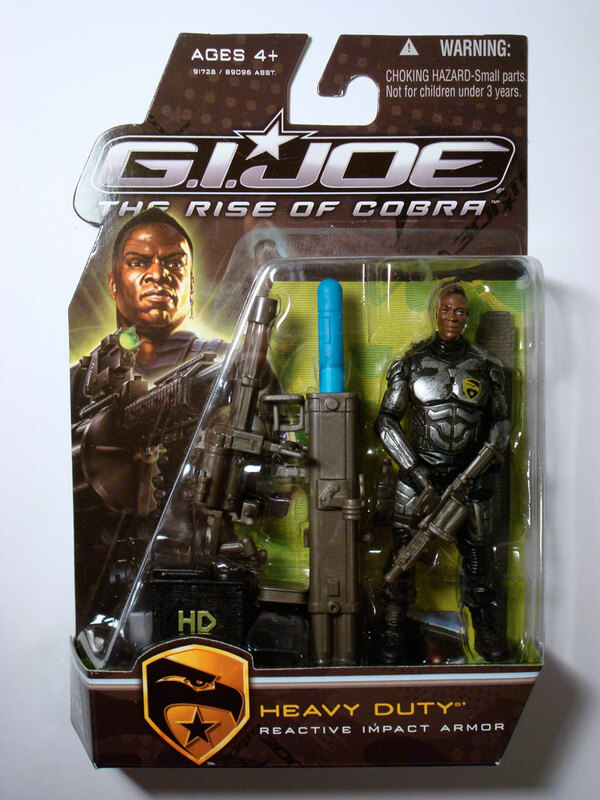 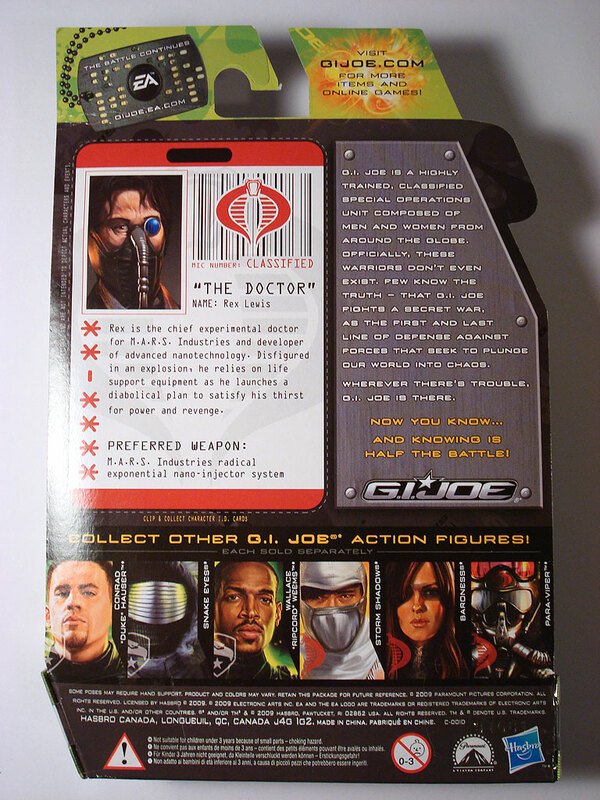 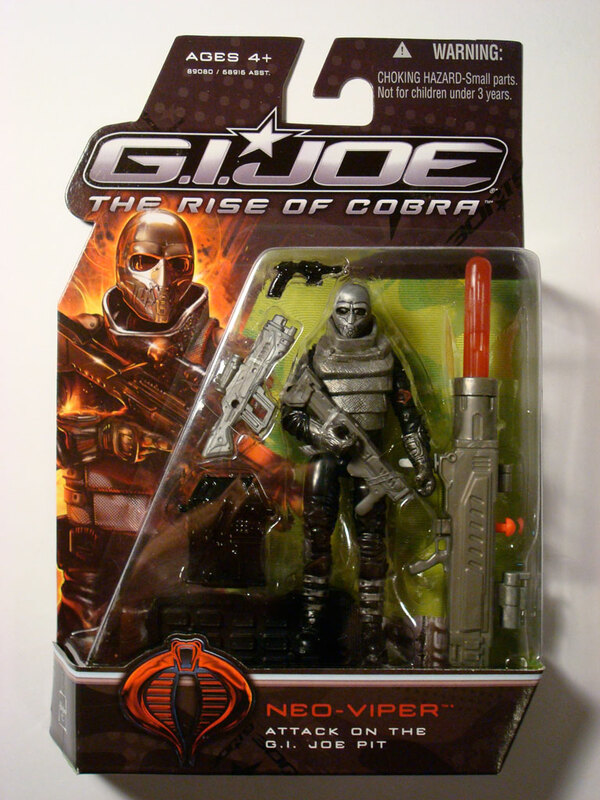 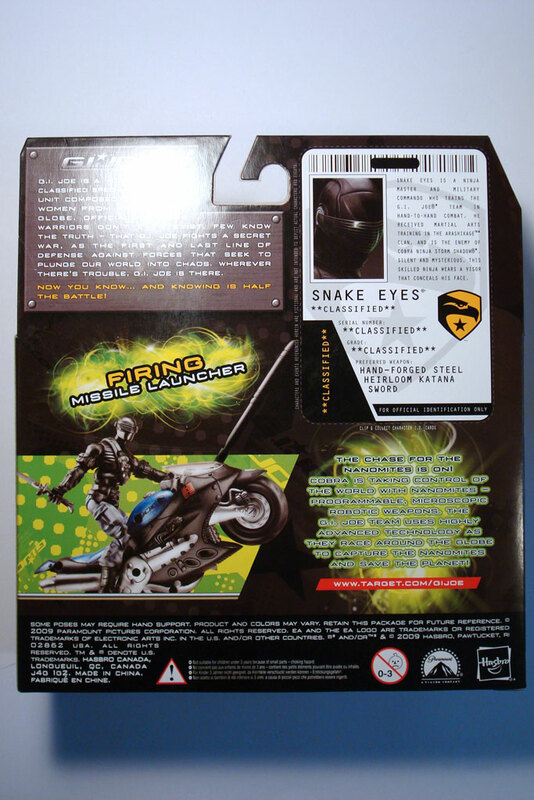 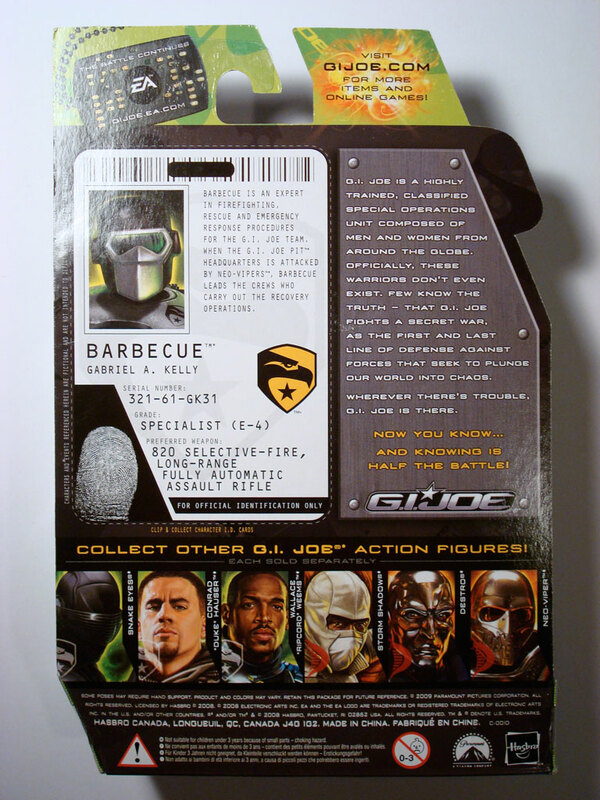 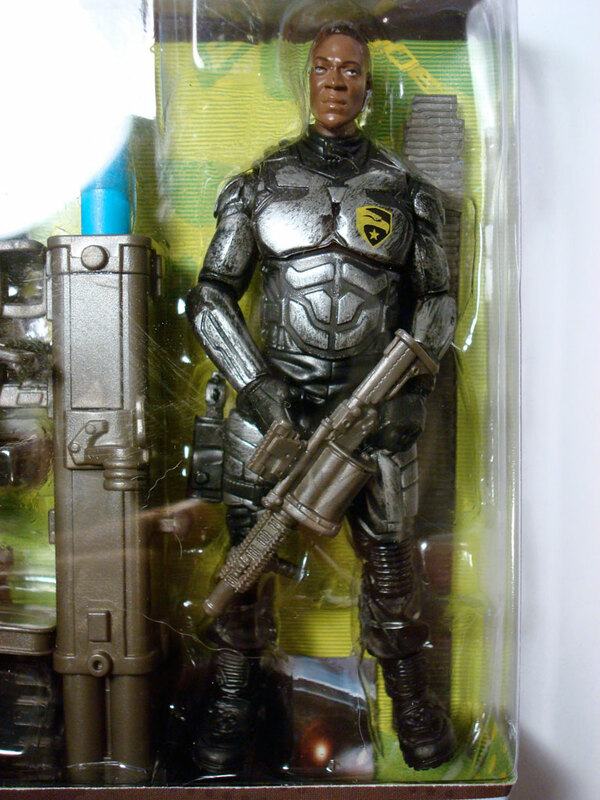 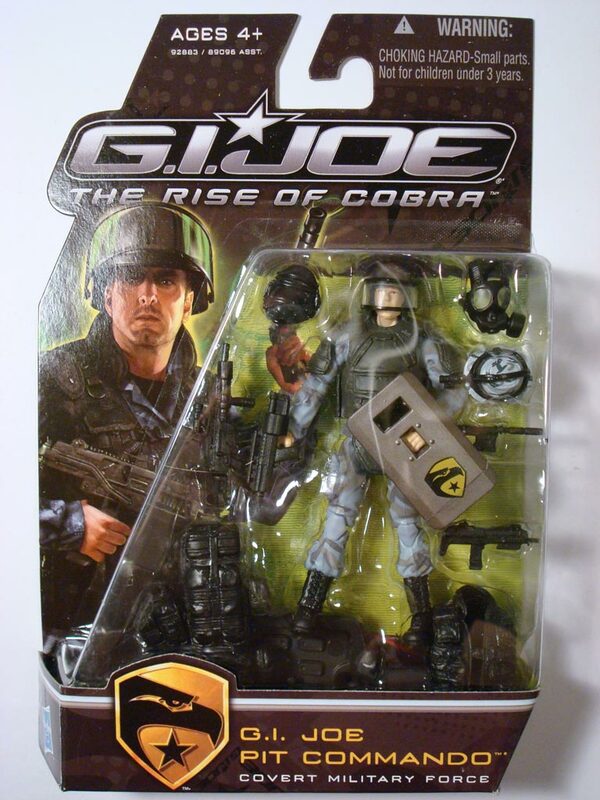 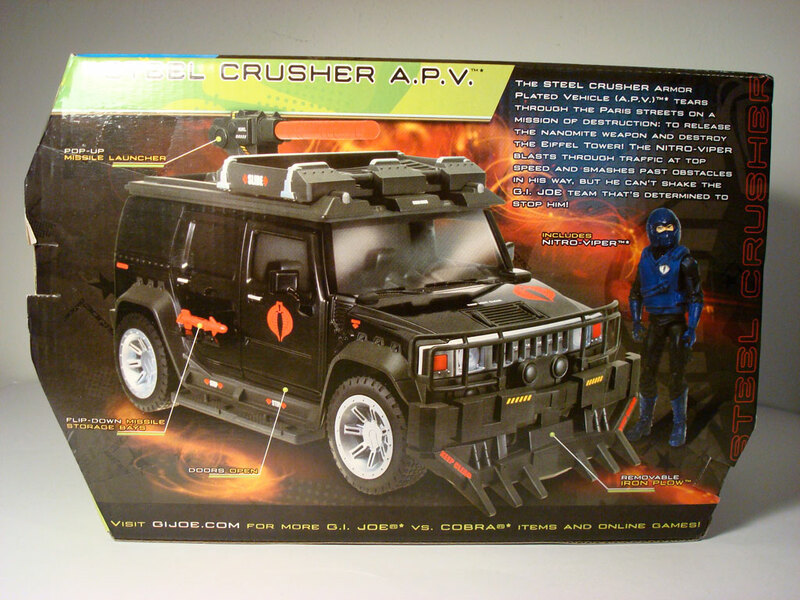 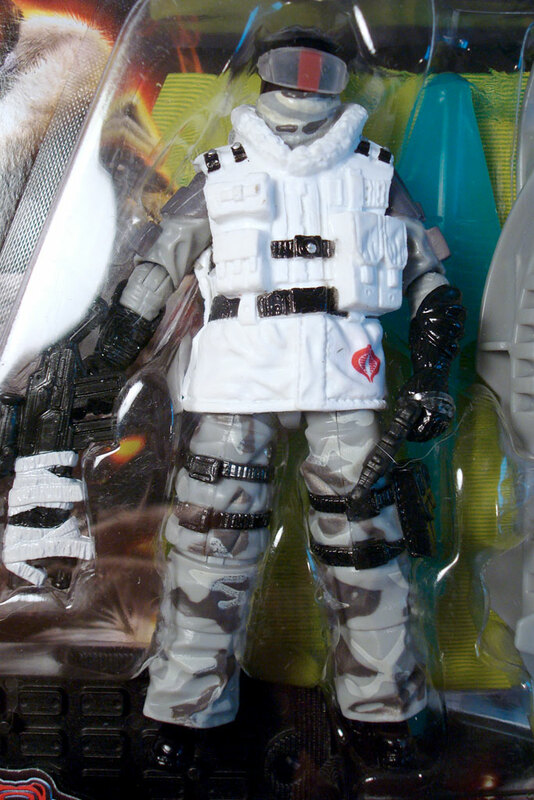 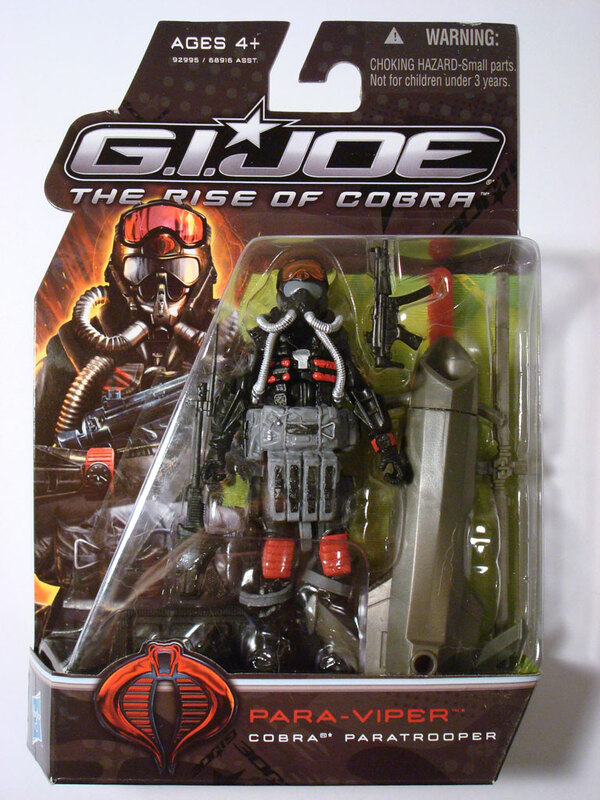 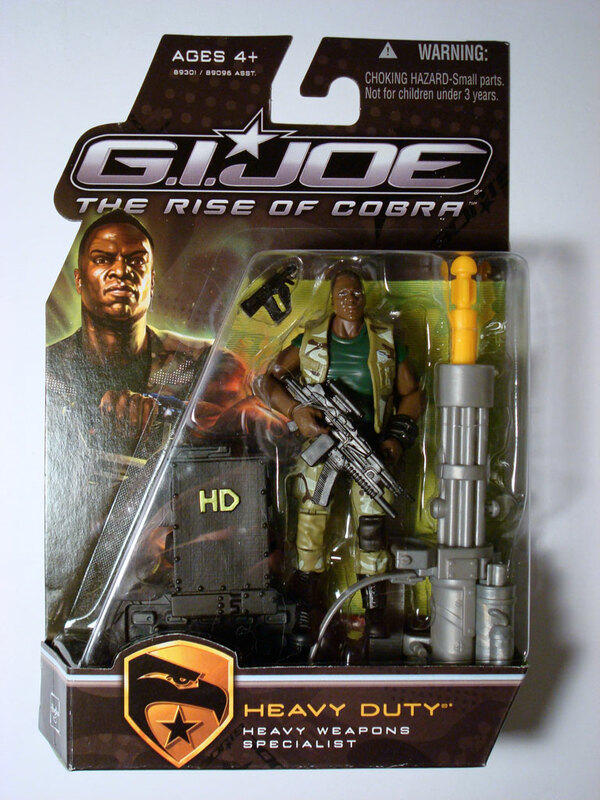 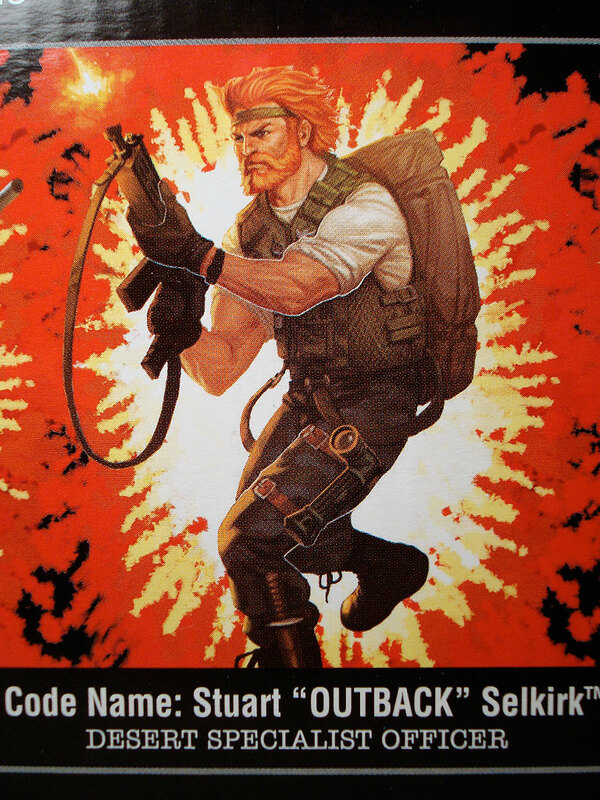 The vehicle also comes packaged with a driver, Rampage, whose appearance is based on the vintage Heavy Metal (driver of the MBT Mauler). 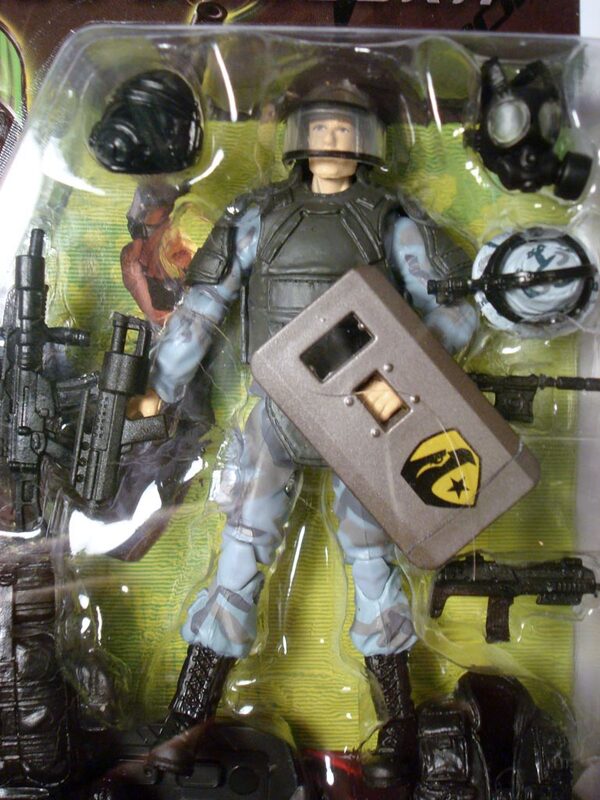 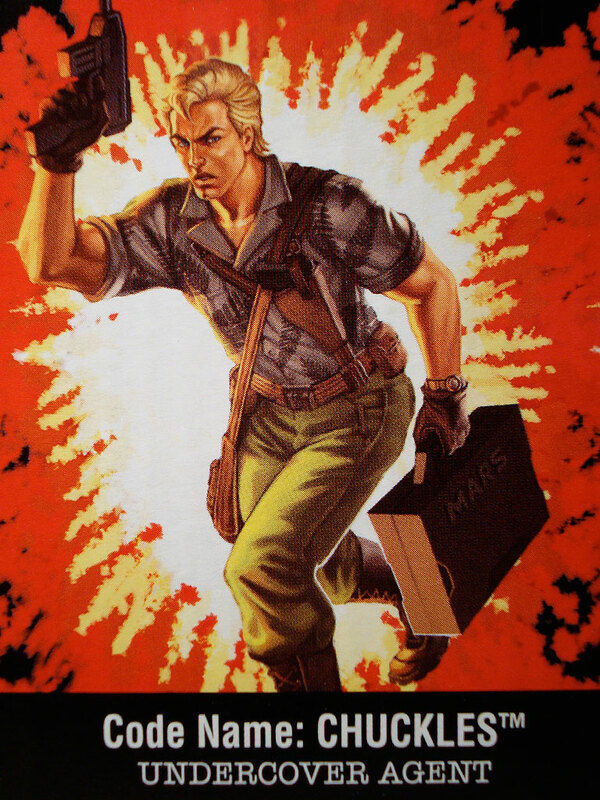 That he should be manning a massive heavily armed vehicle seems fitting. 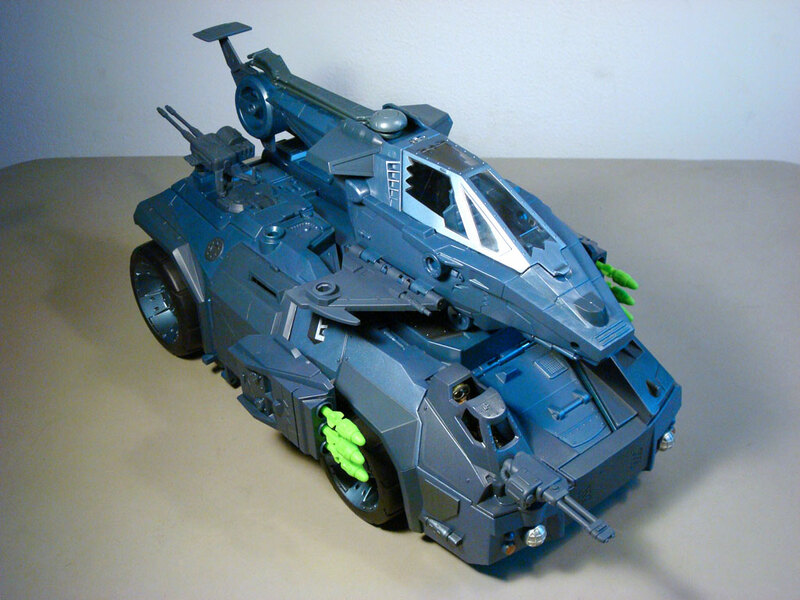 His body construction shows off a nice combination of previously used parts and demonstrates how such reuse can still look good. 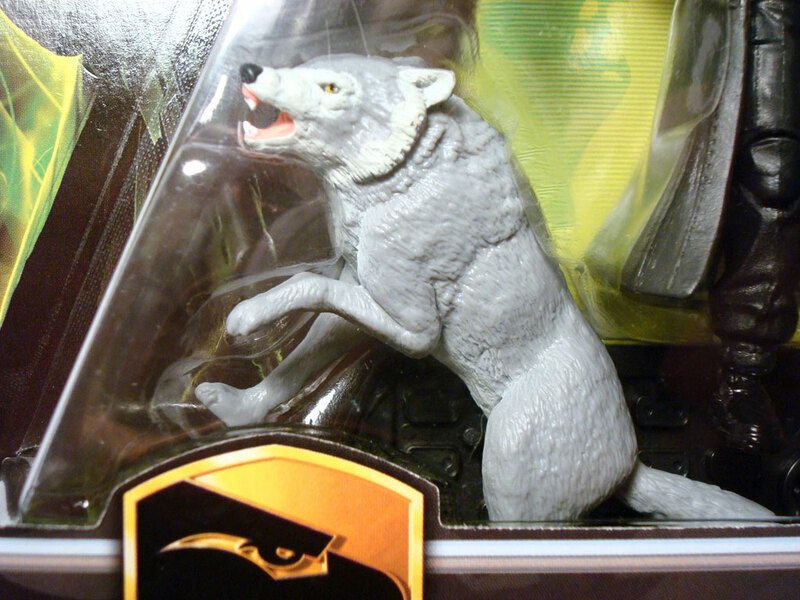 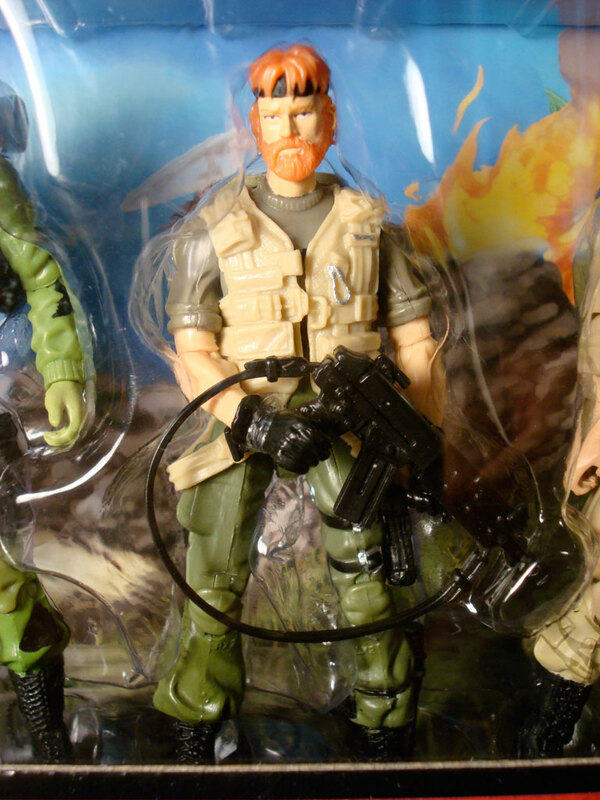 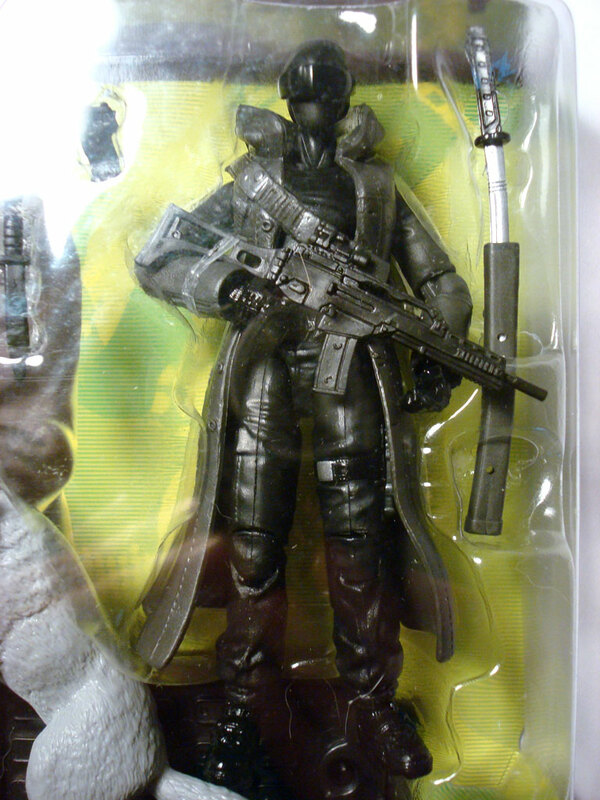 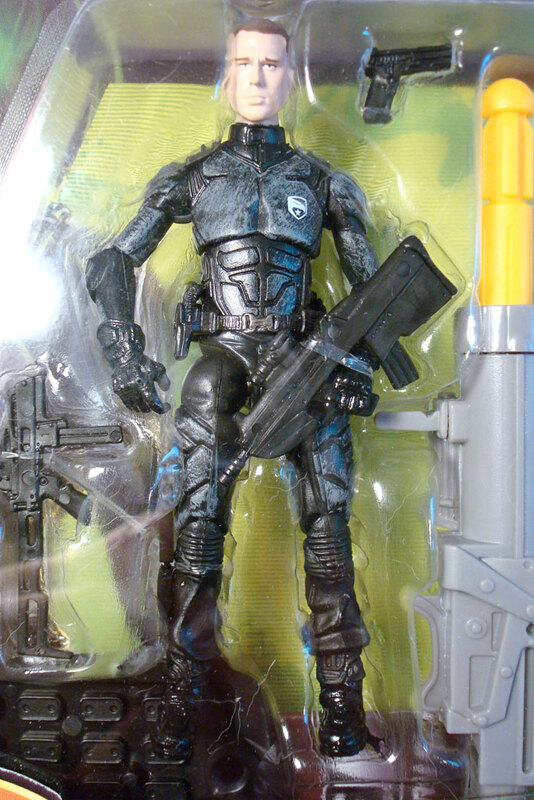 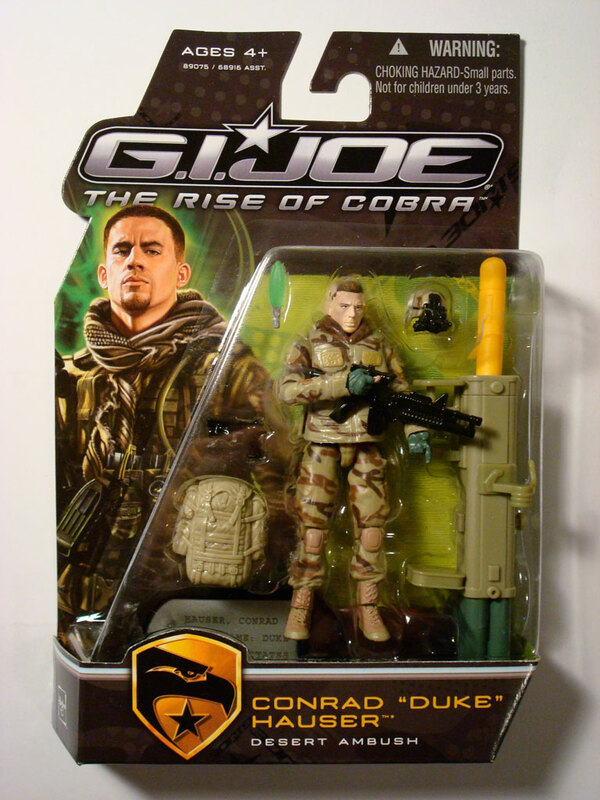 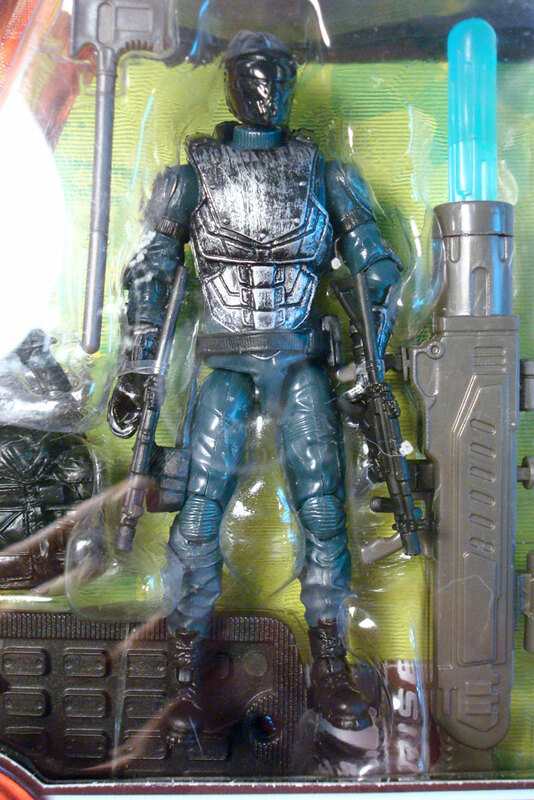 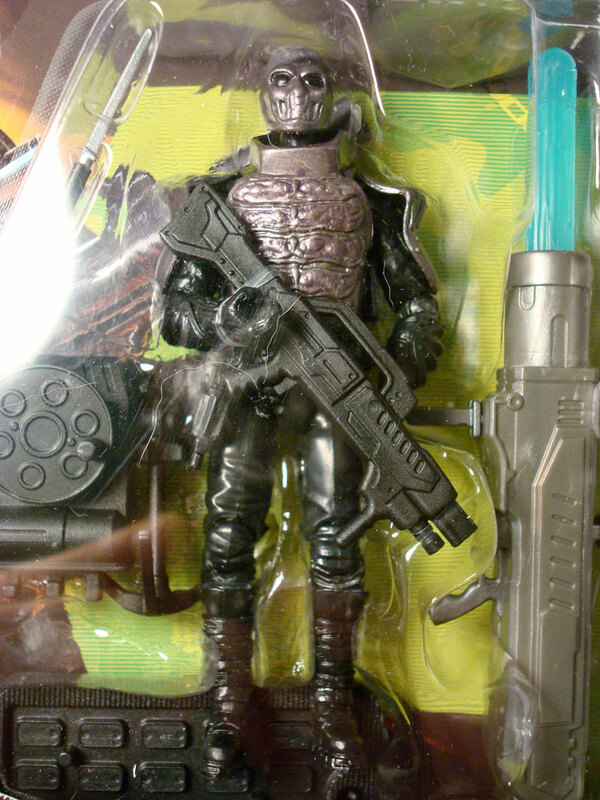 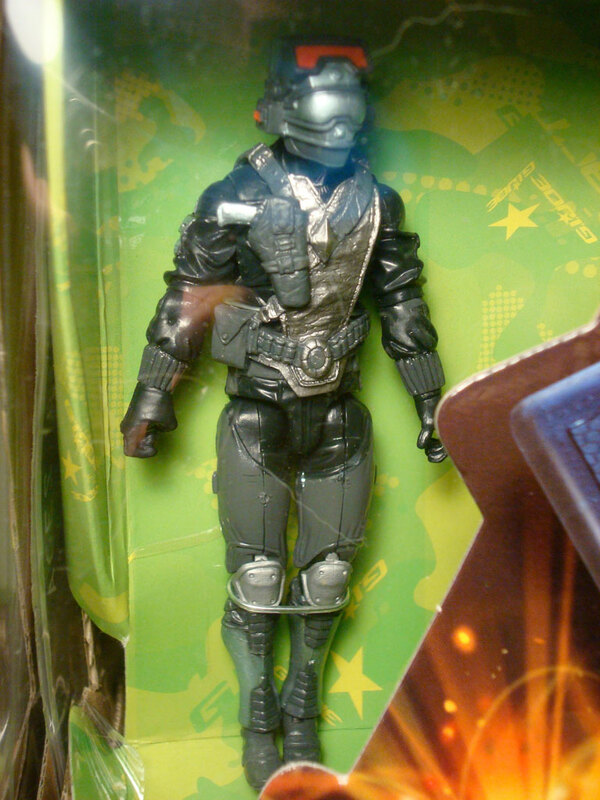 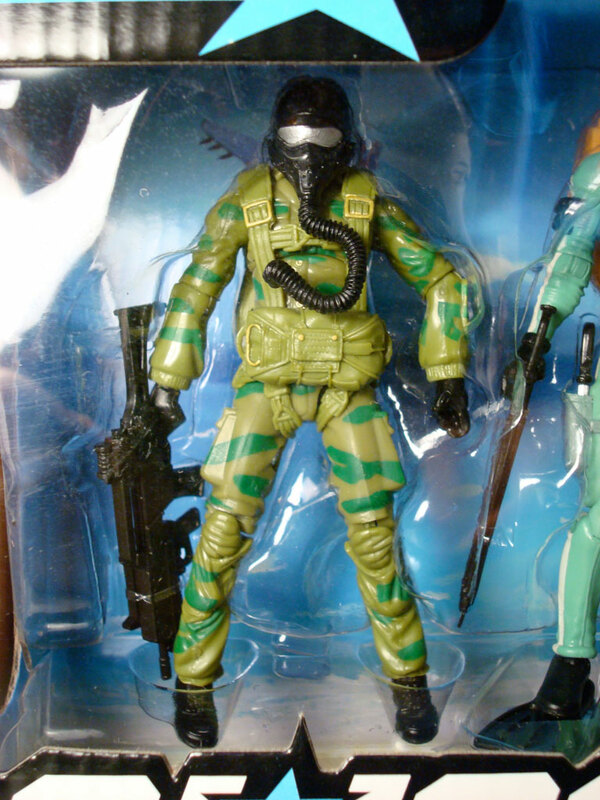 Basically, he has the head of Mutt (w10), the torso of a Cobra Viper (w7), the arms and thighs of General Hawk (w9) and legs/feet of Sgt. 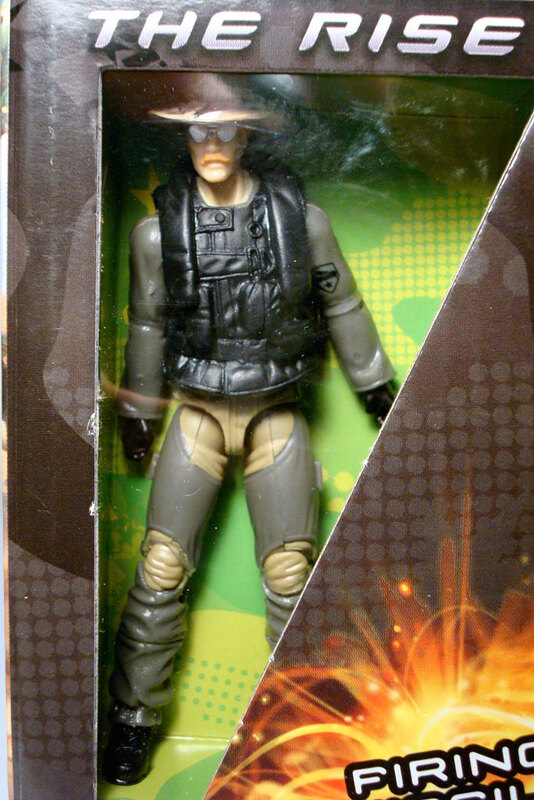 Flash (w5). 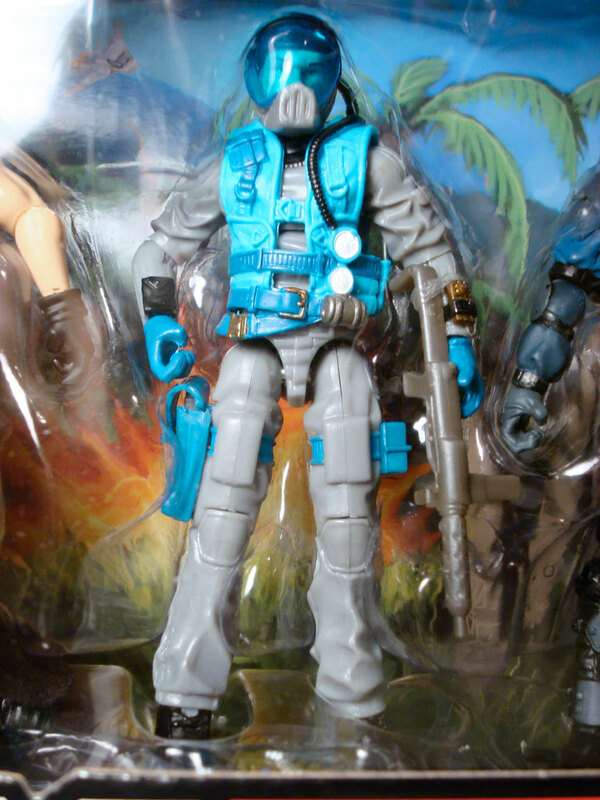 Surprisingly, this effective combination has led to high prices for just this figure alone on the secondary market! 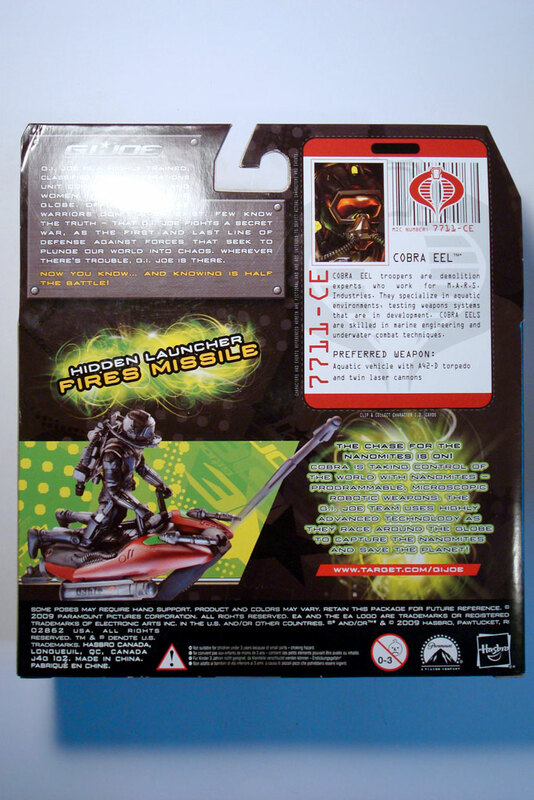 This incredible toy sells for $49.99 MSRP. 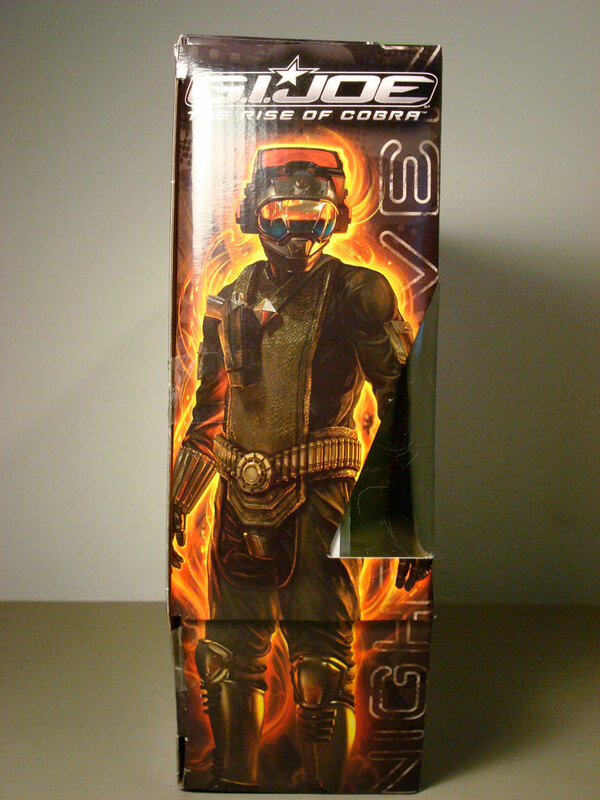 However, you really feel that you are getting your money’s worth. 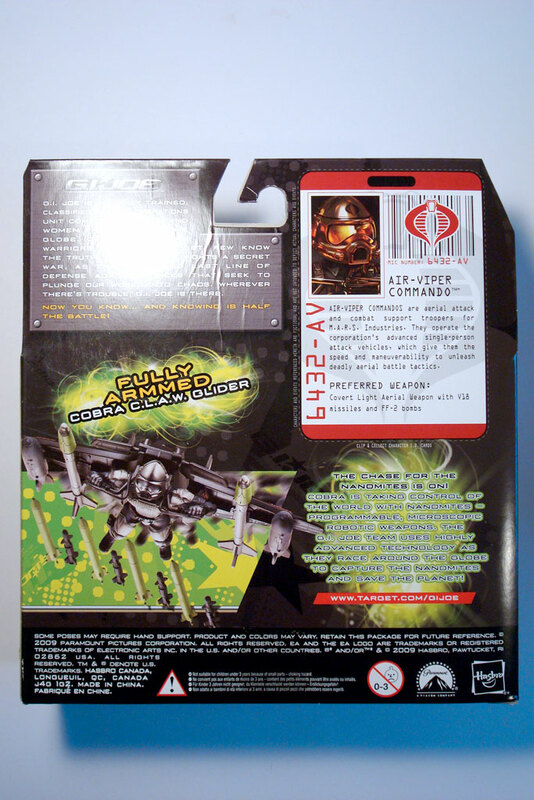 Here are some carded and boxed shots of the latest vehicle packs to come out. 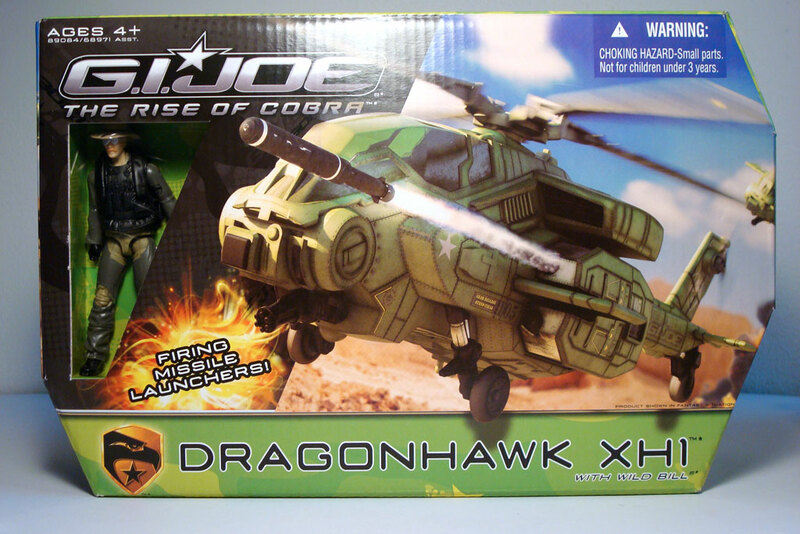 The Dragonhawk XH1 is a Bravo Class vehicle that includes Wild Bill. 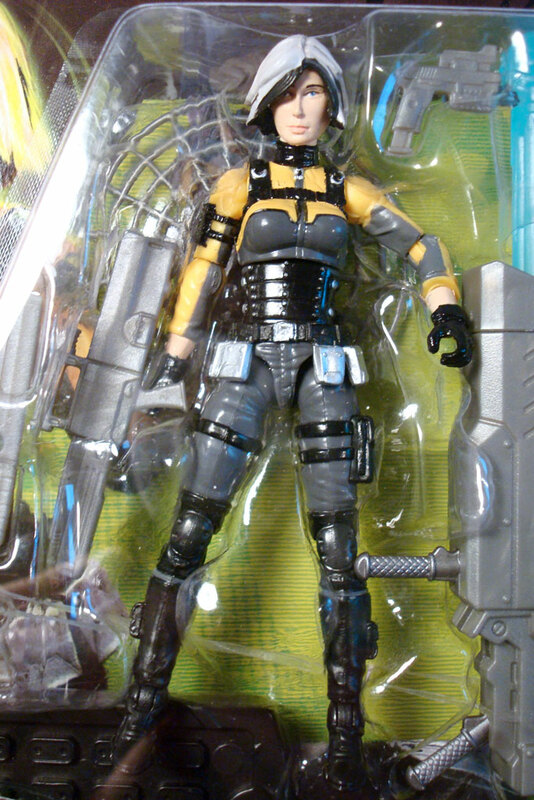 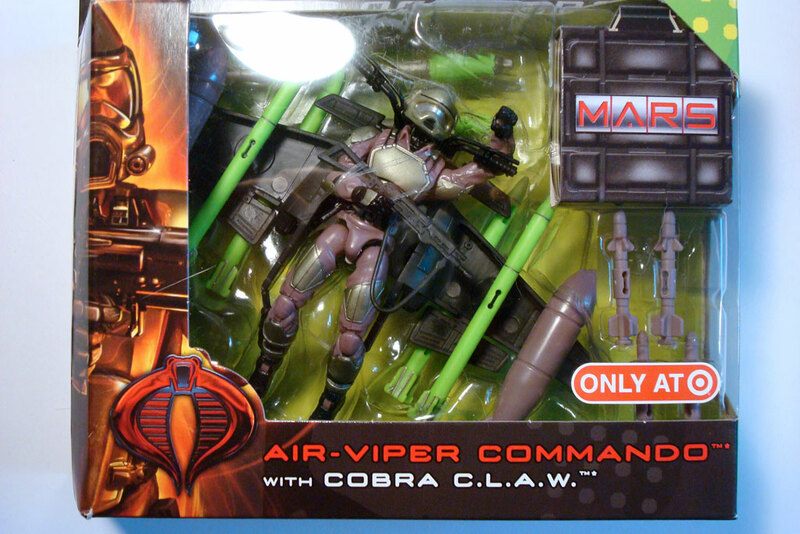 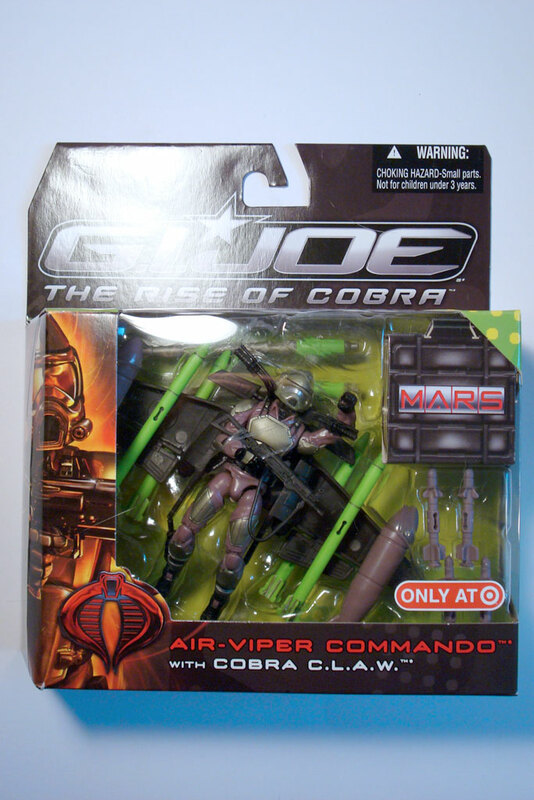 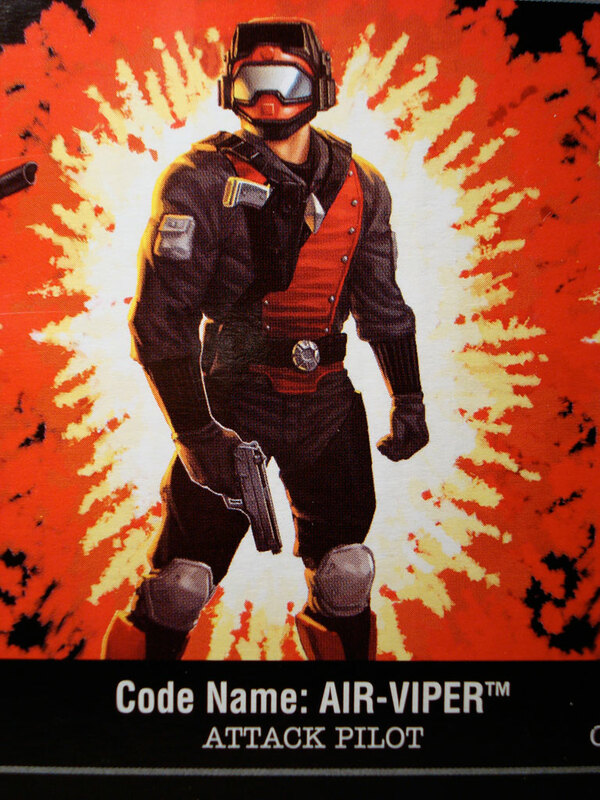 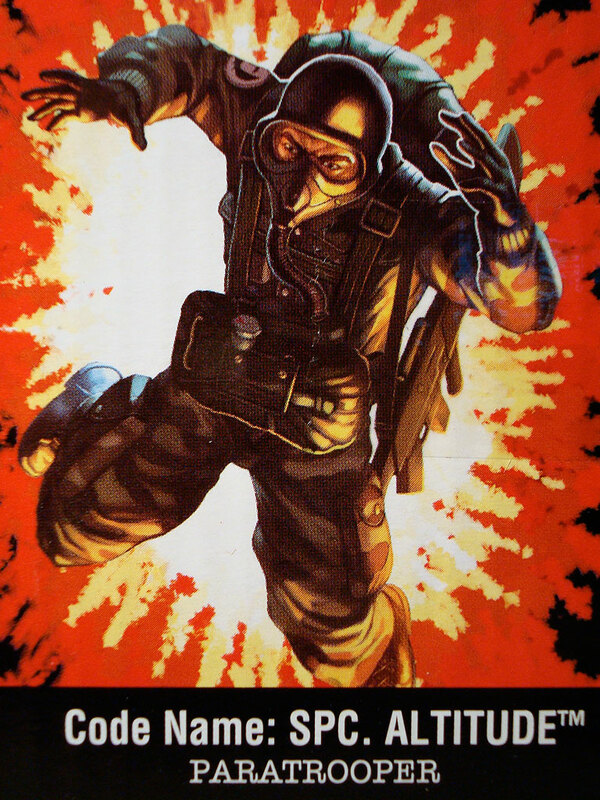 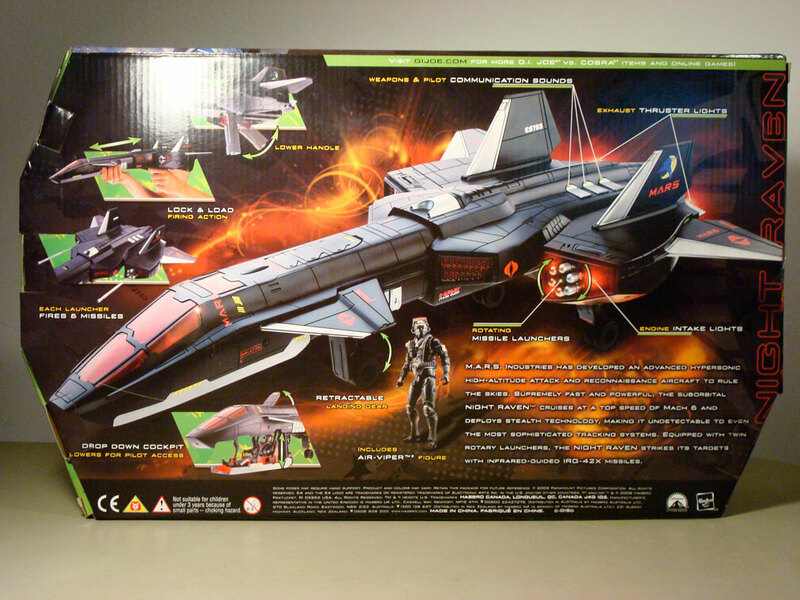 Air-Viper Commando / Cobra C.L.A.W. 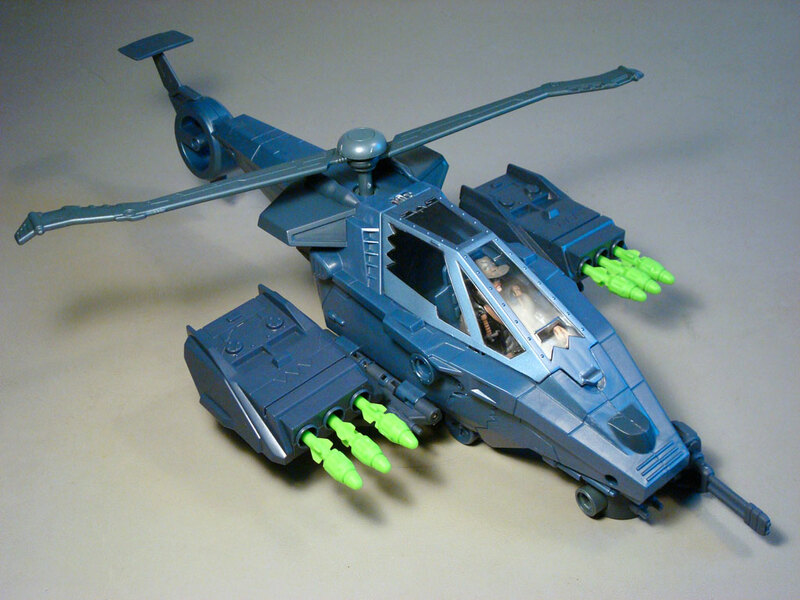 — a repainted A.V.A.C. 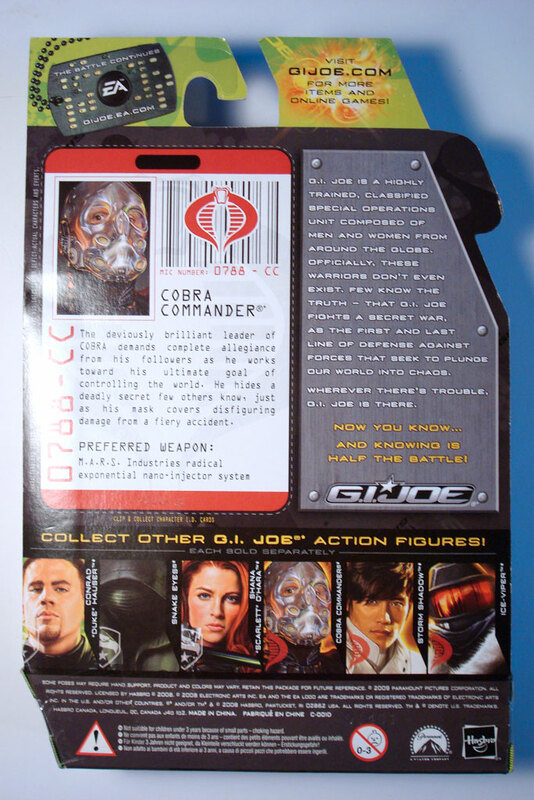 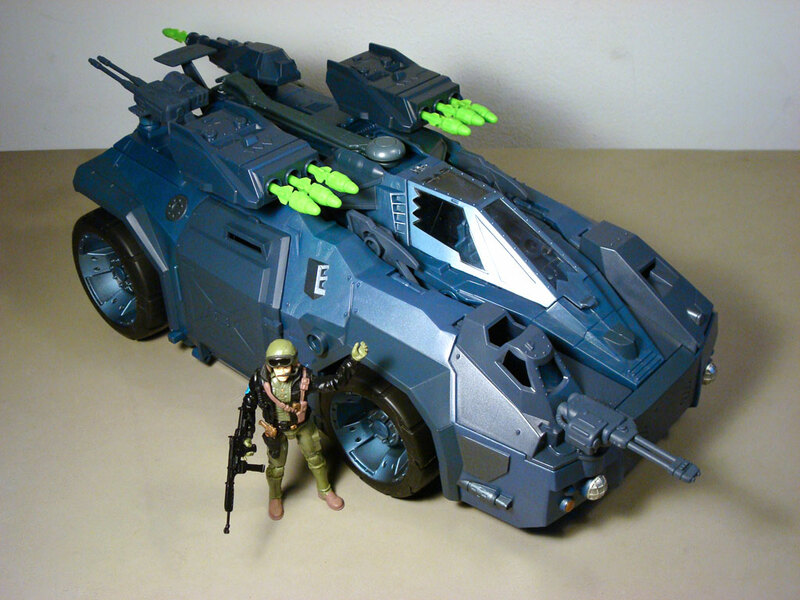 (Vehicles w2) and Cobra C.L.A.W (Vehicles w3). 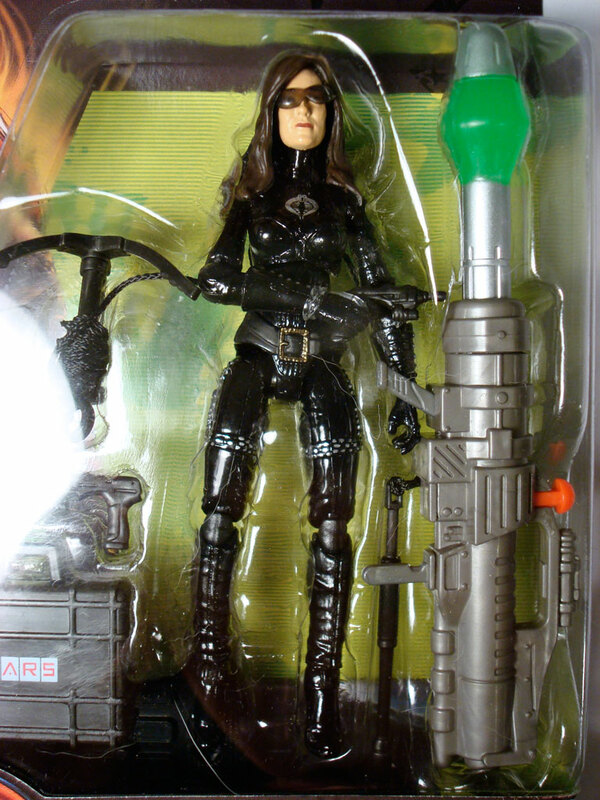 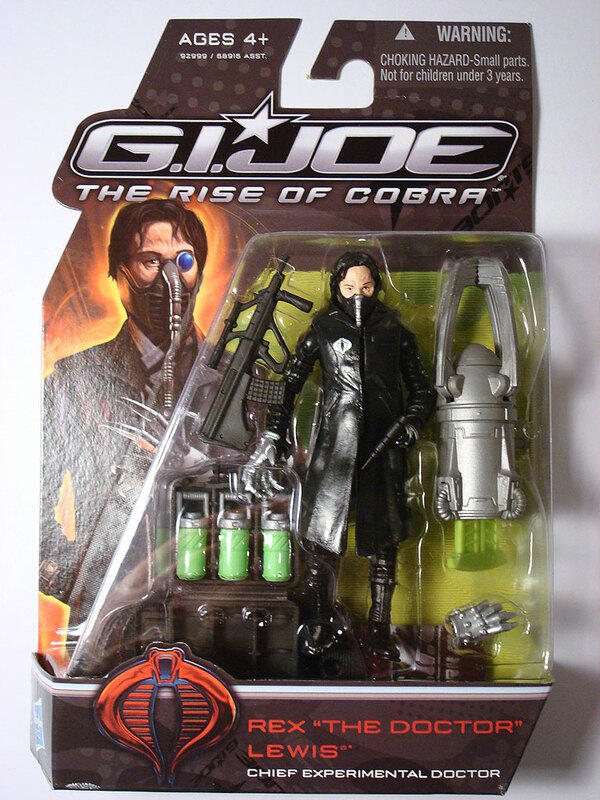 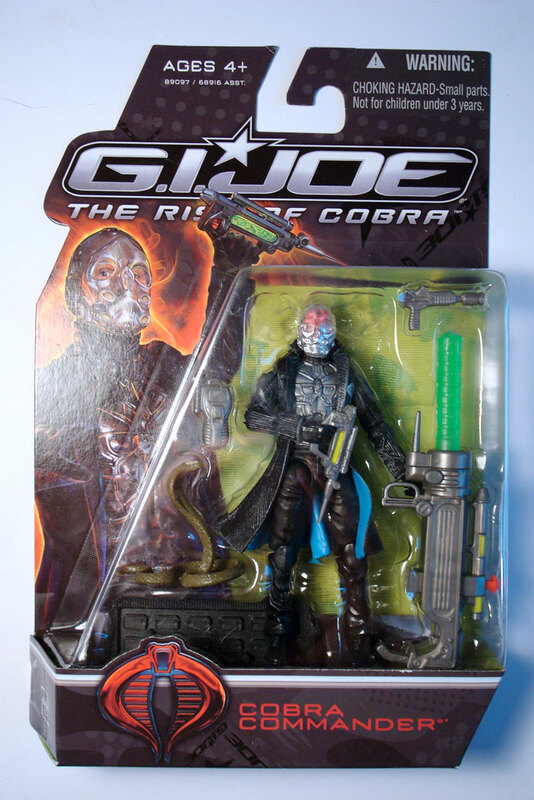 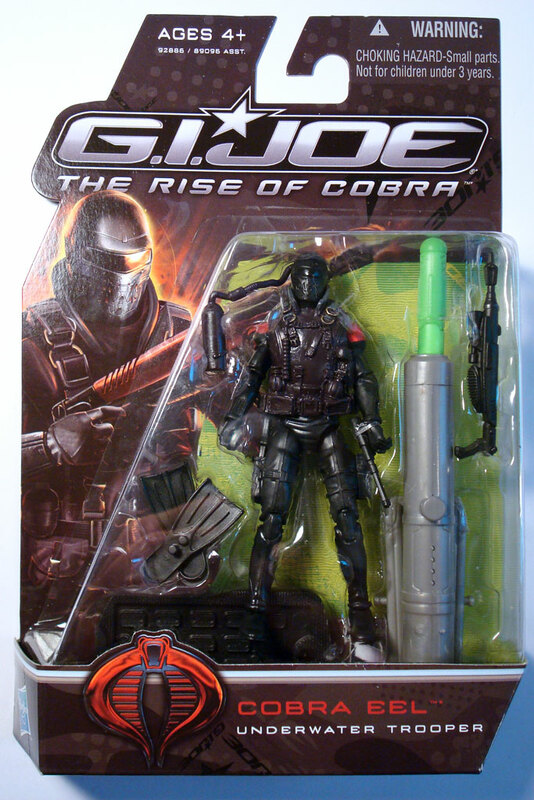 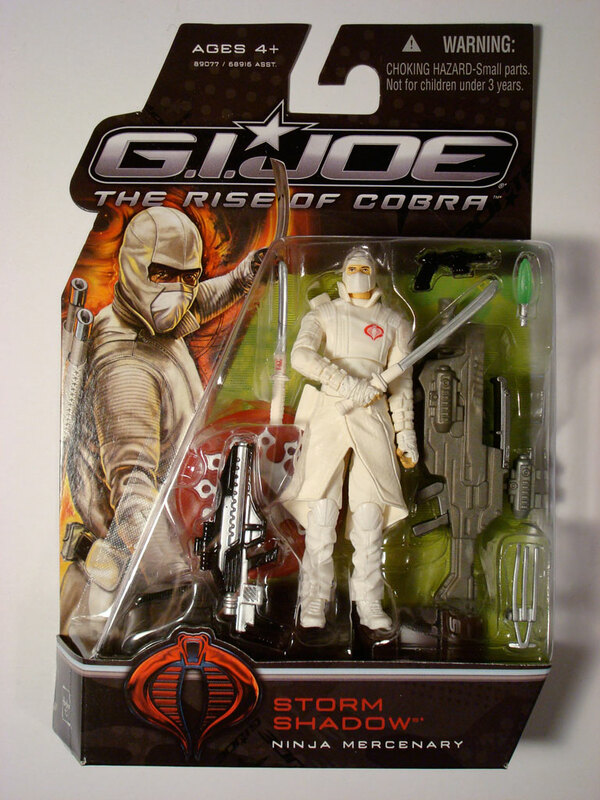 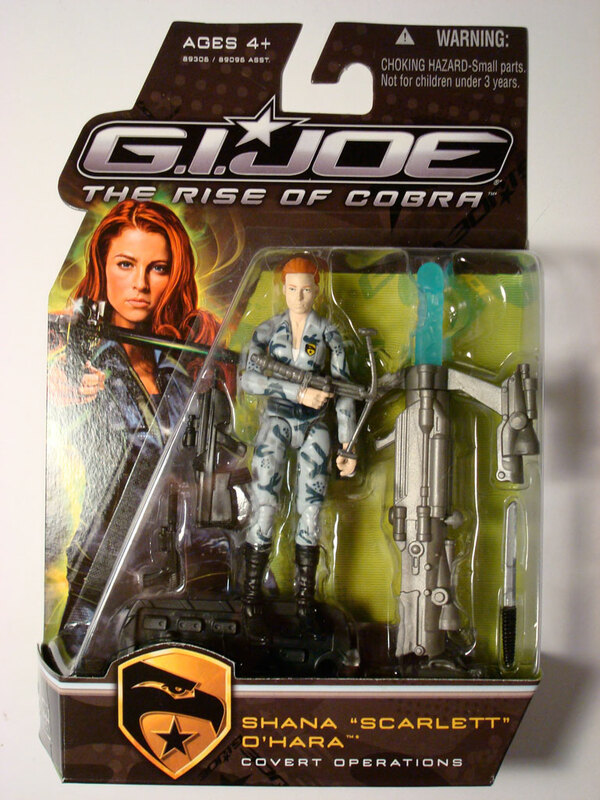 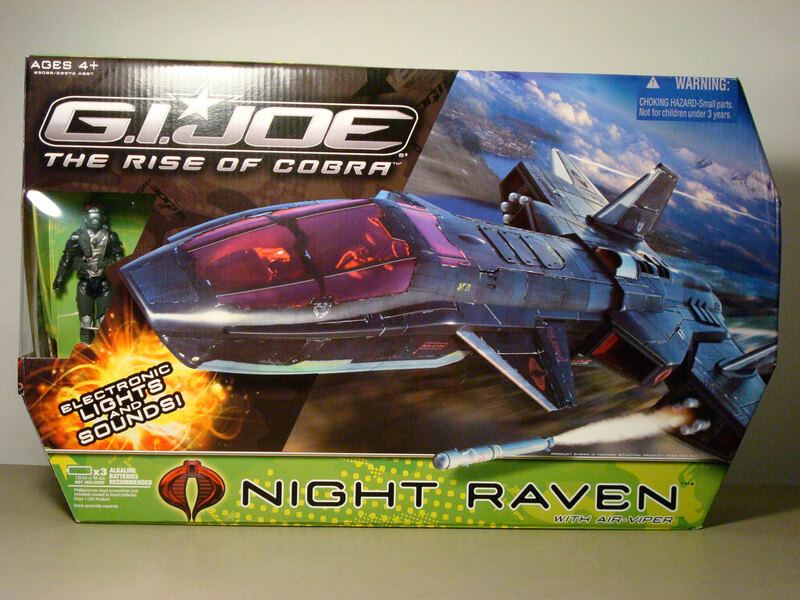 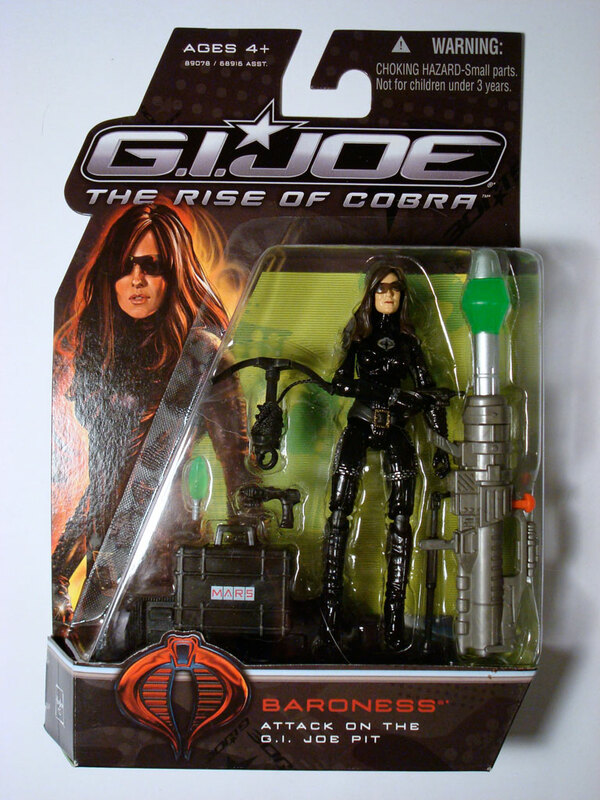 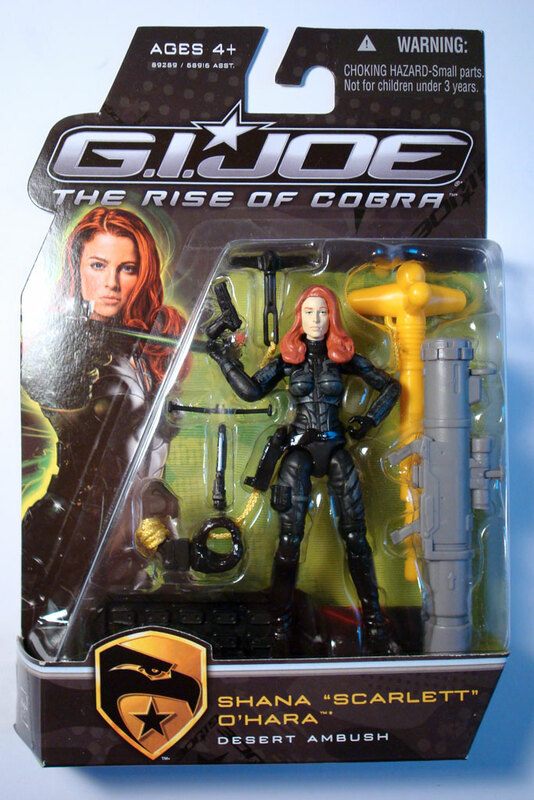 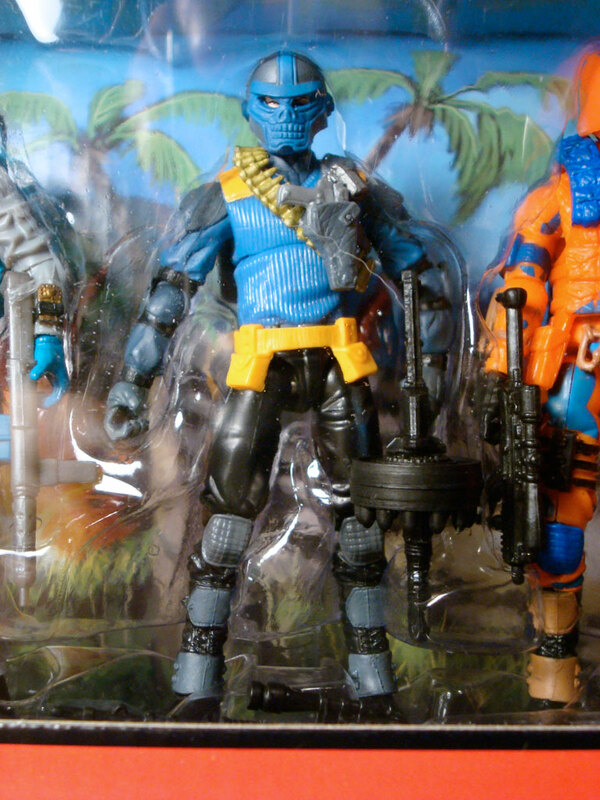 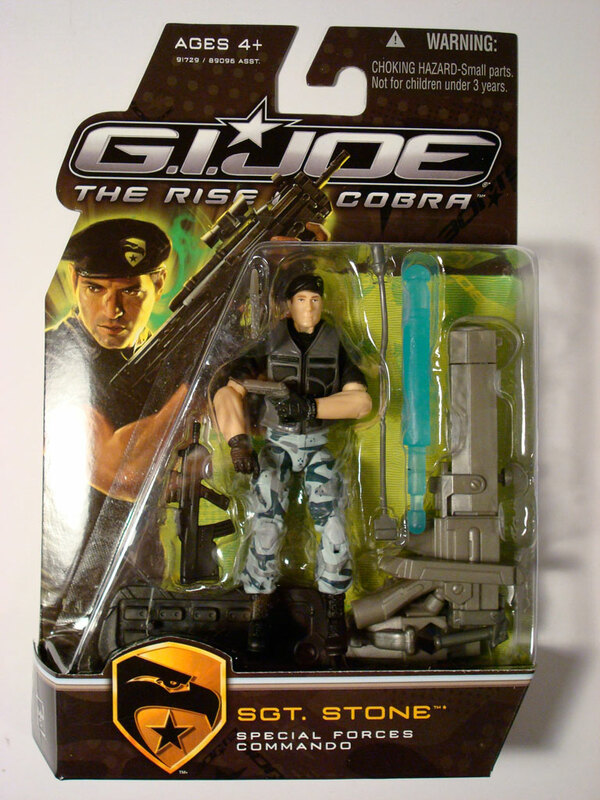 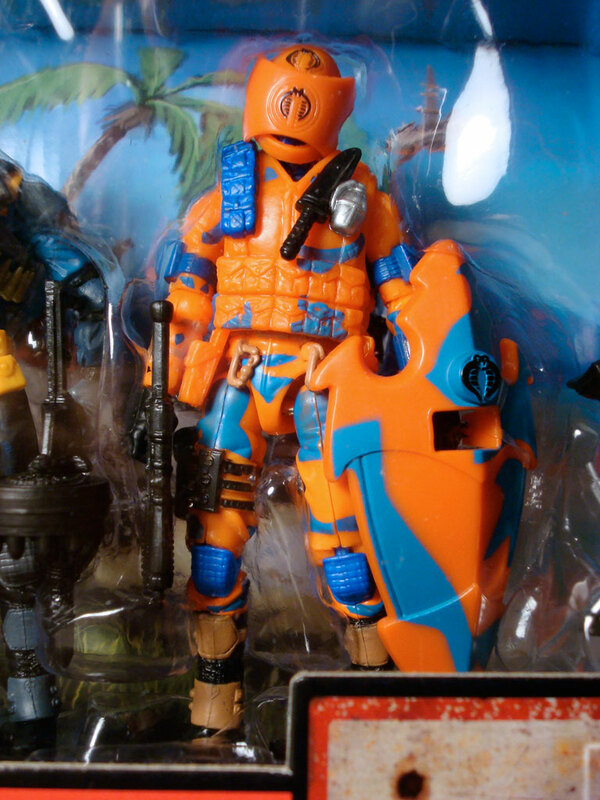 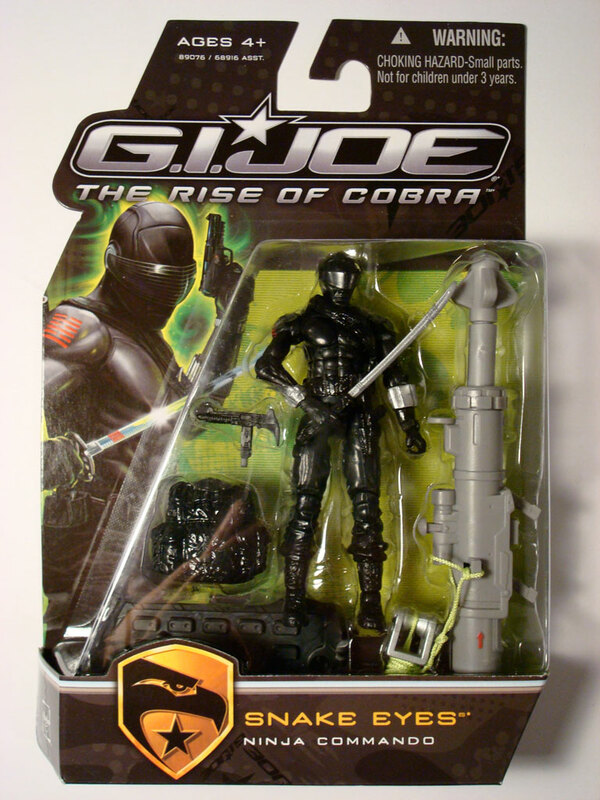 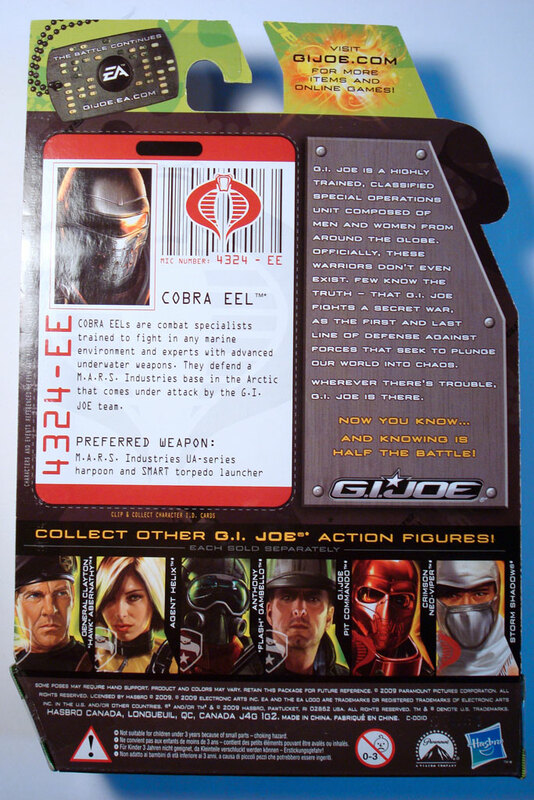 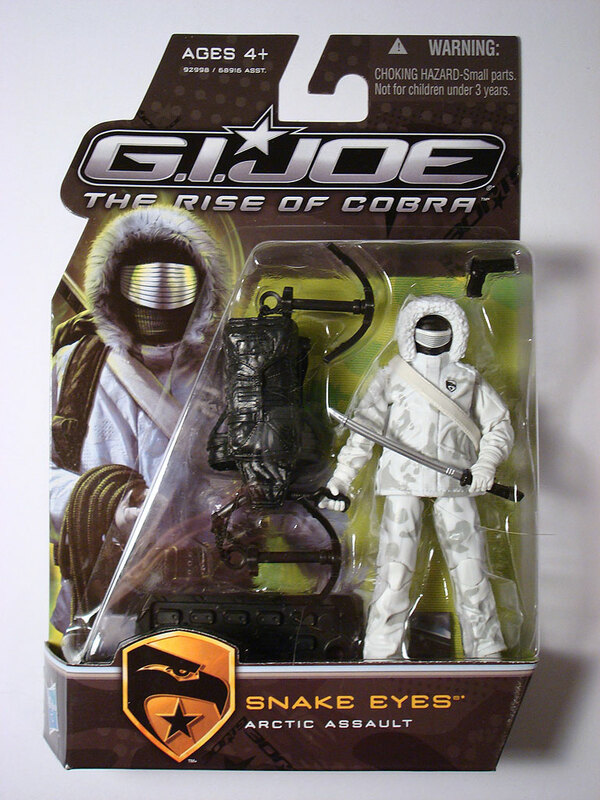 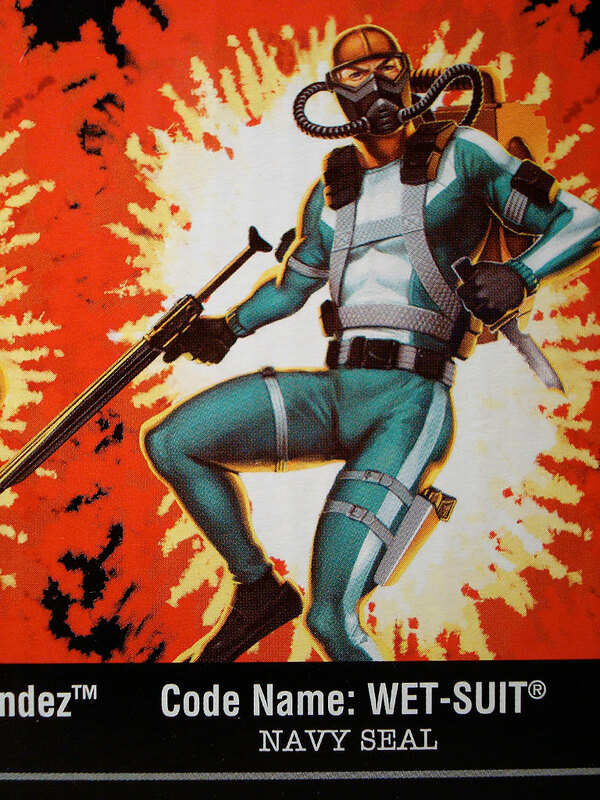 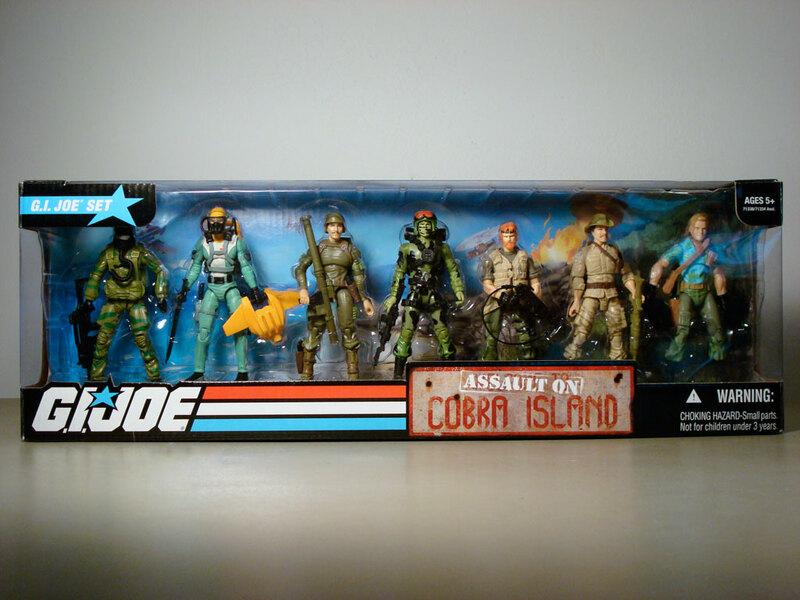 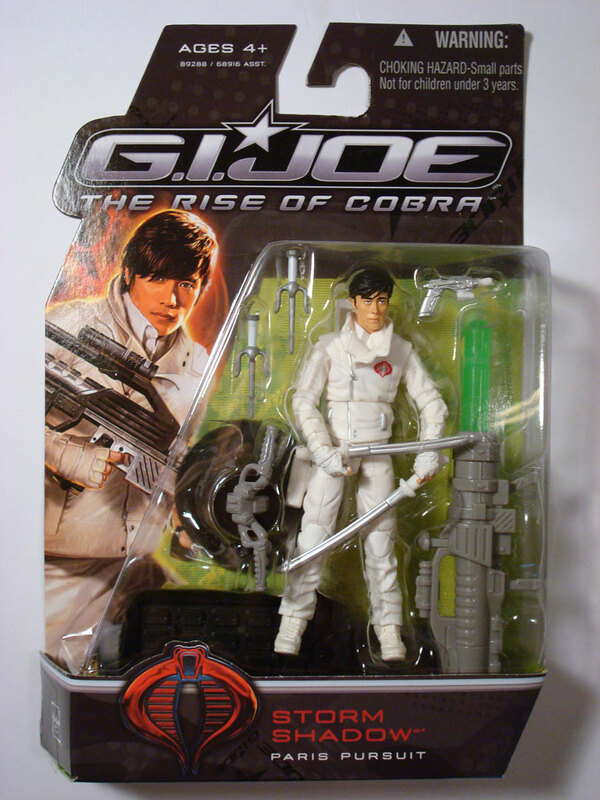 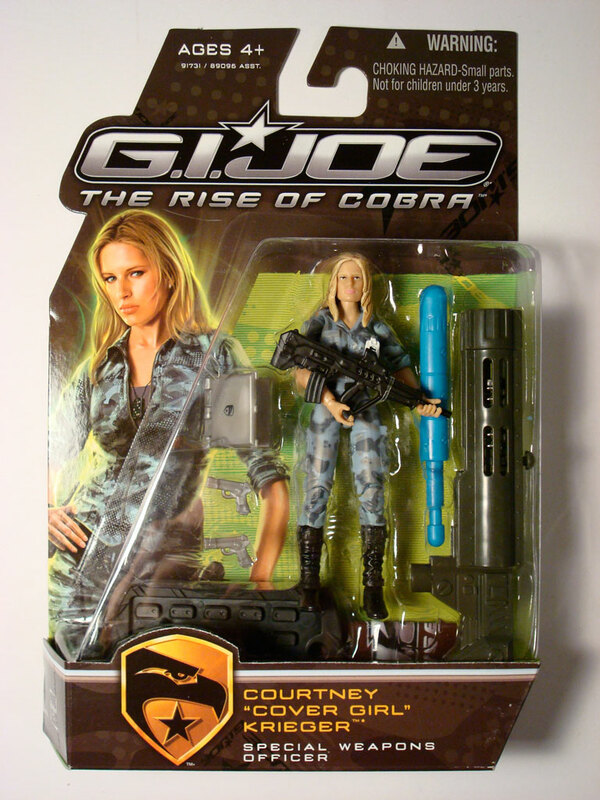 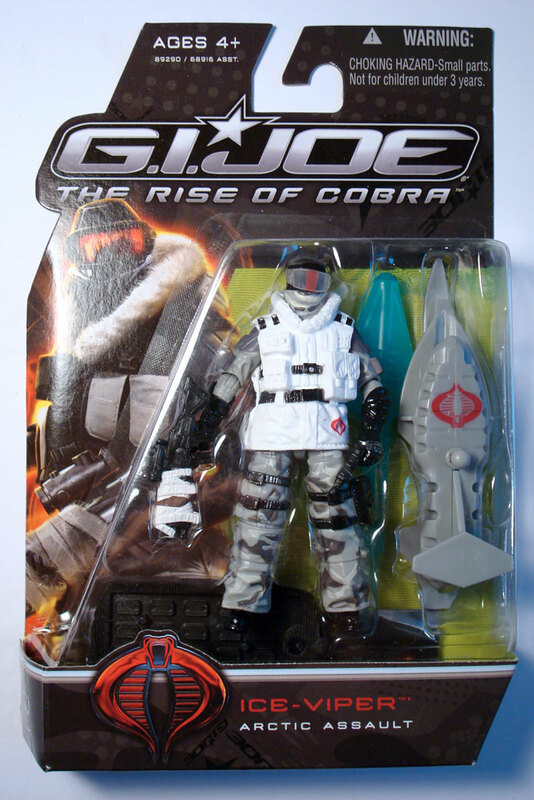 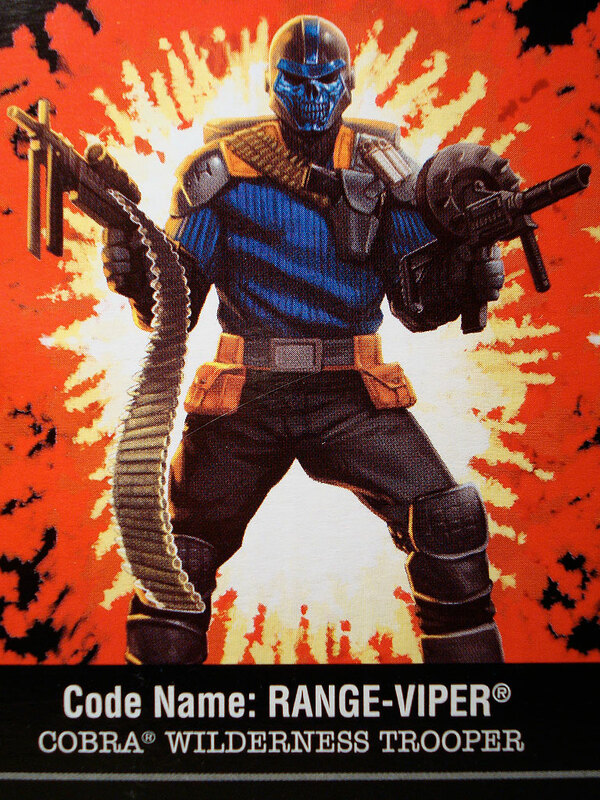 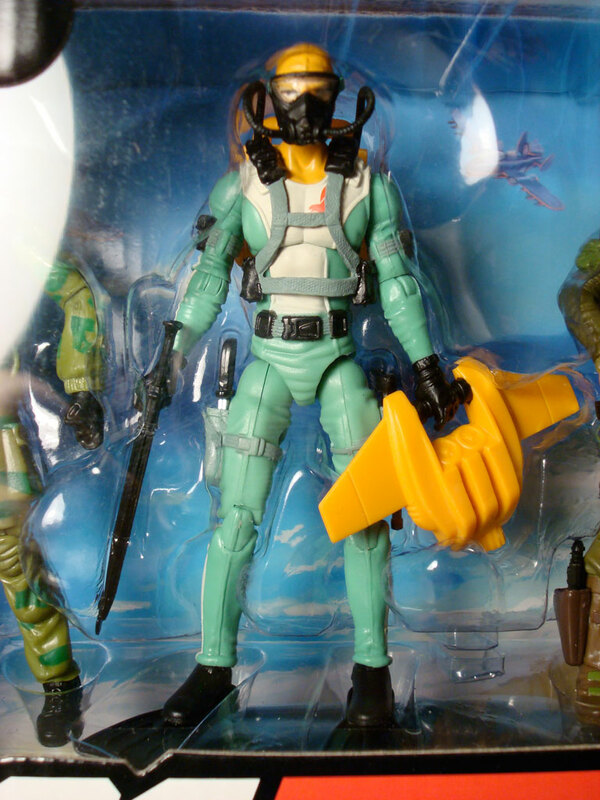 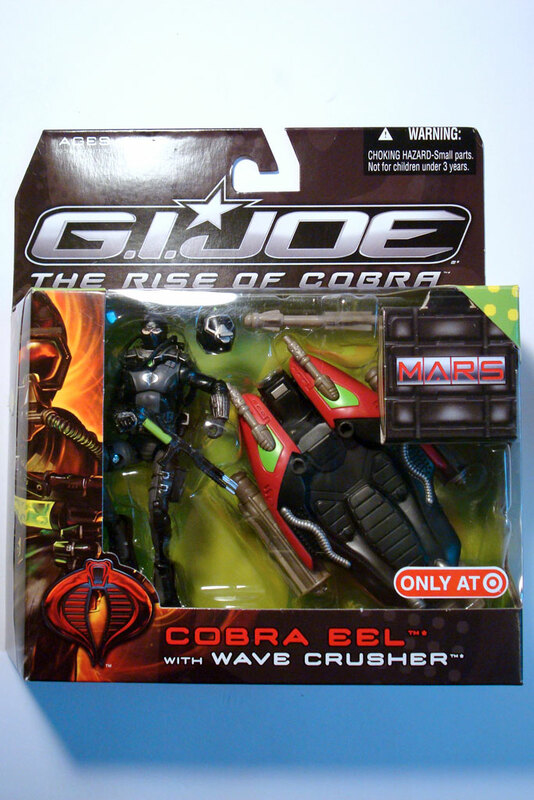 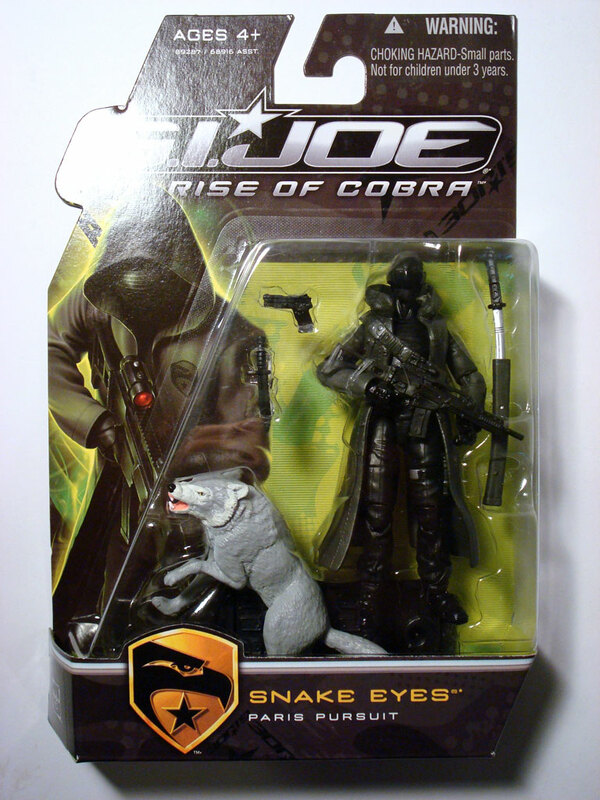 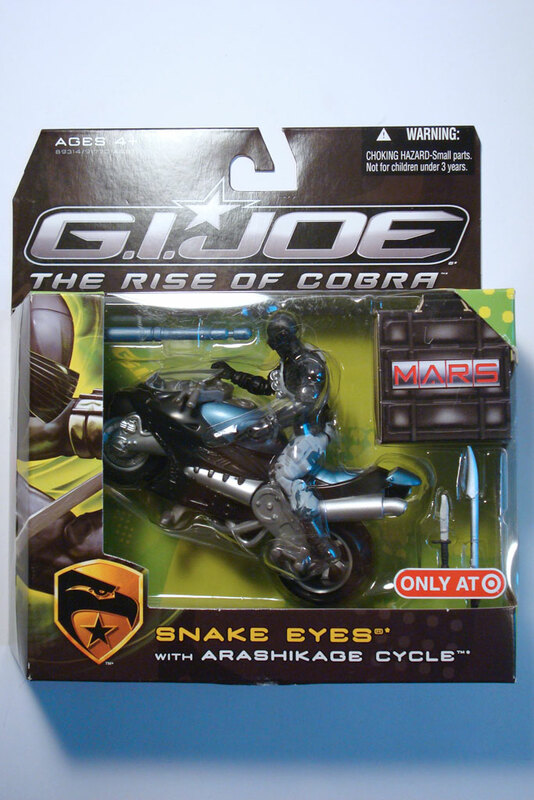 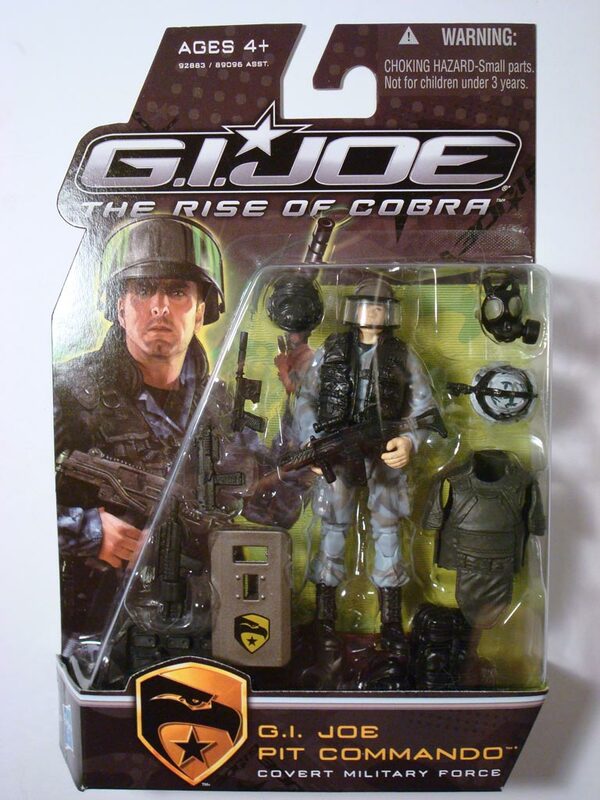 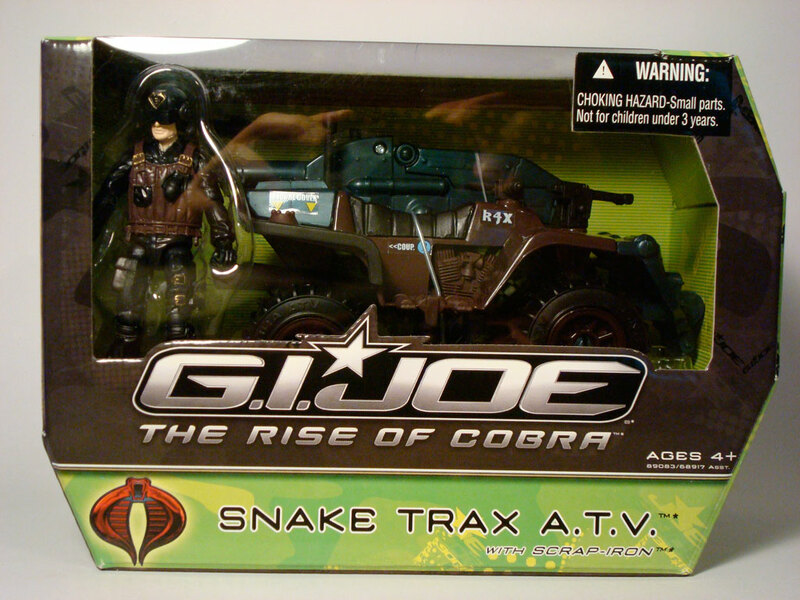 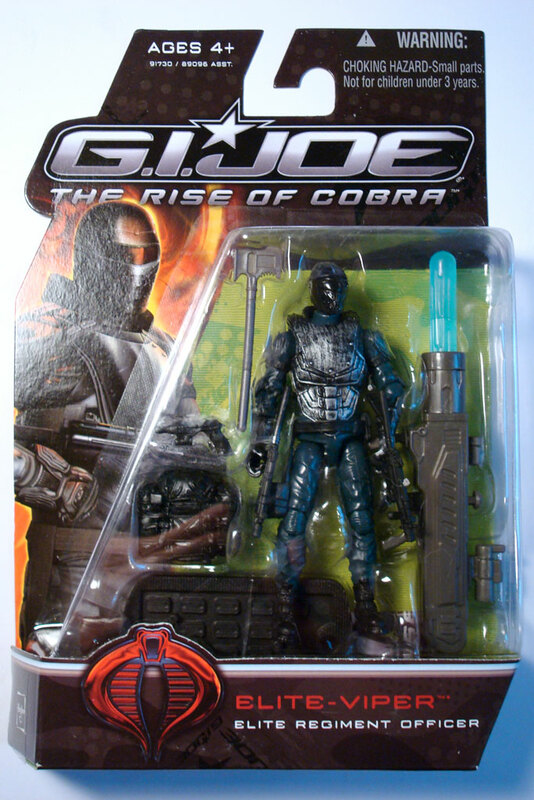 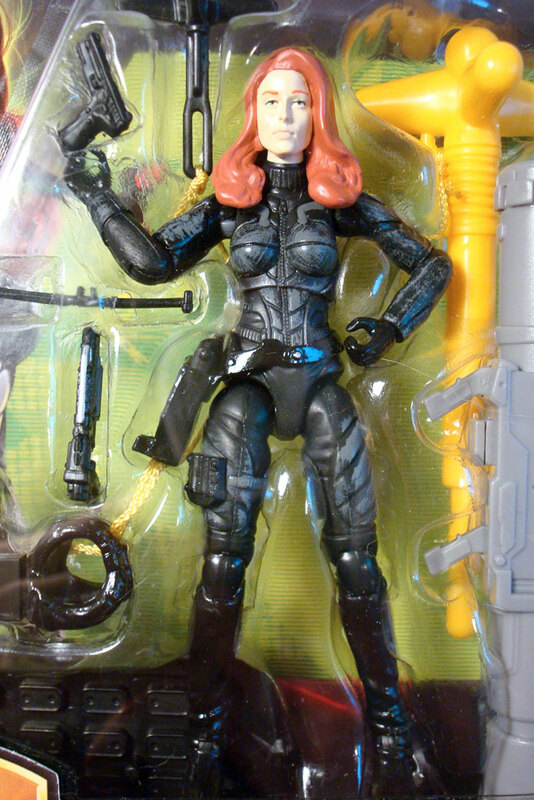 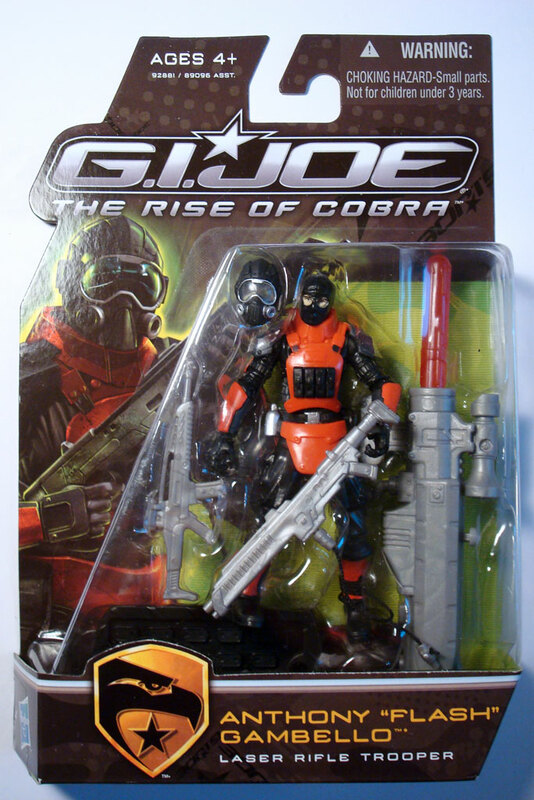 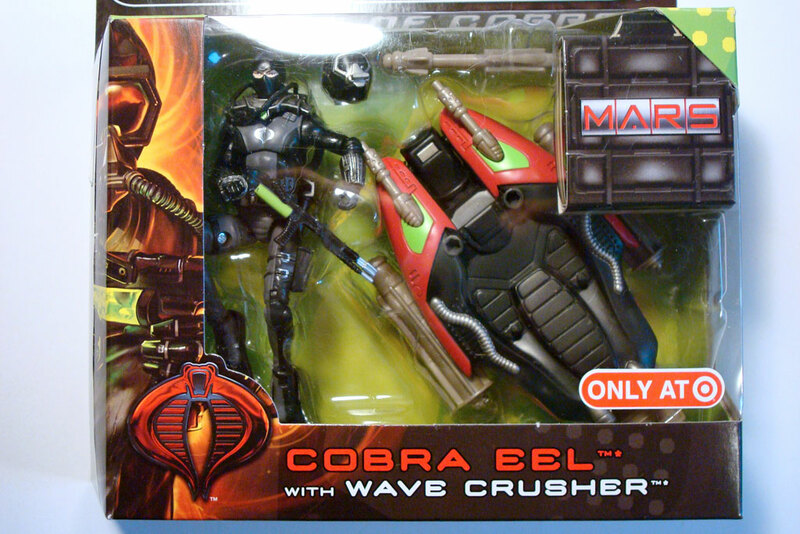 Cobra Eel / Wave Crusher — a repainted Cobra Eel (w11) and vehicle from the 2003 “Spy Troops” sub-line. 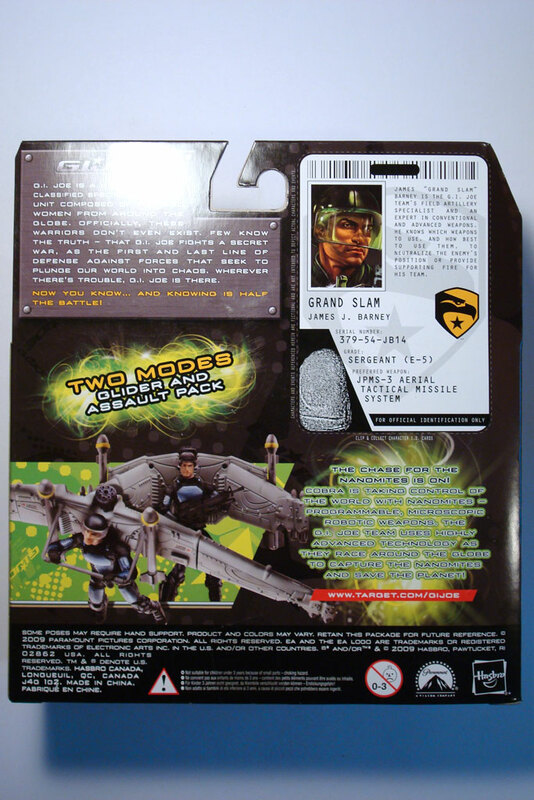 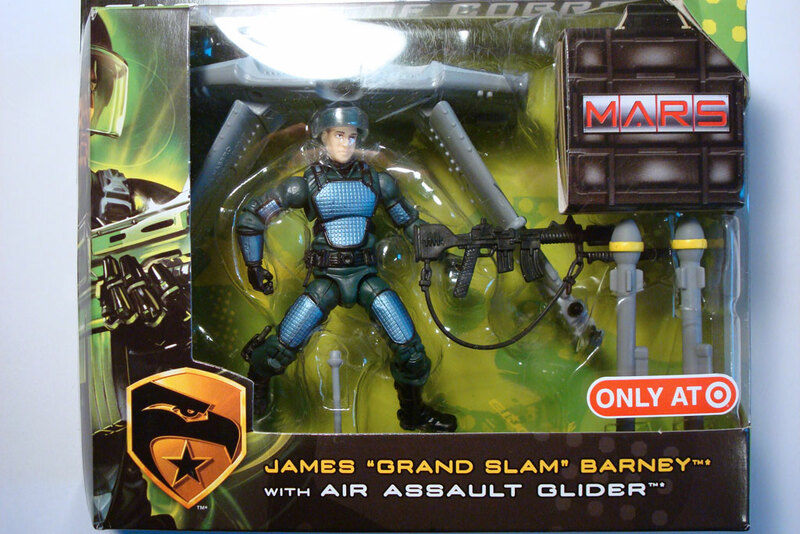 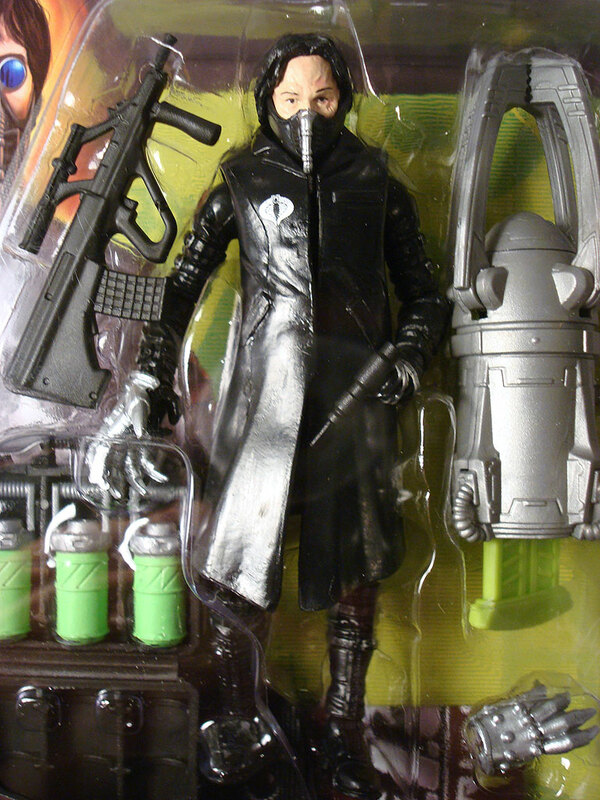 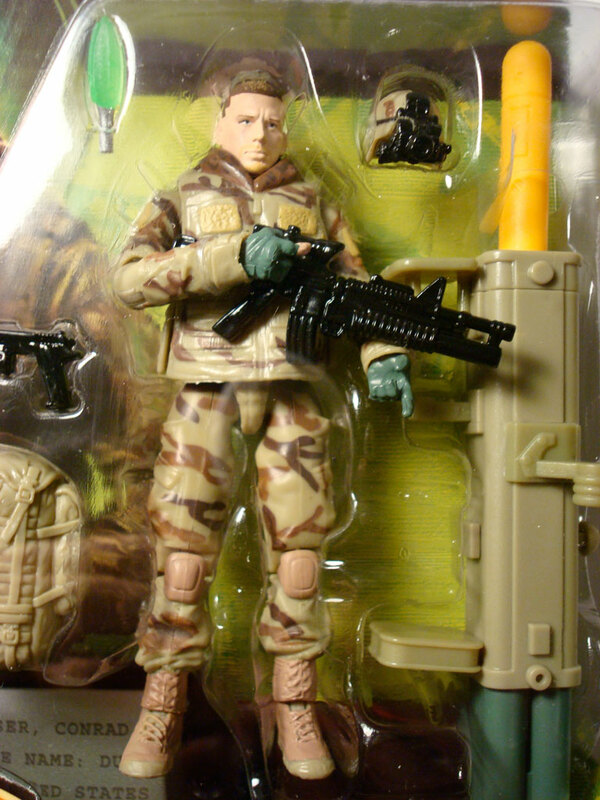 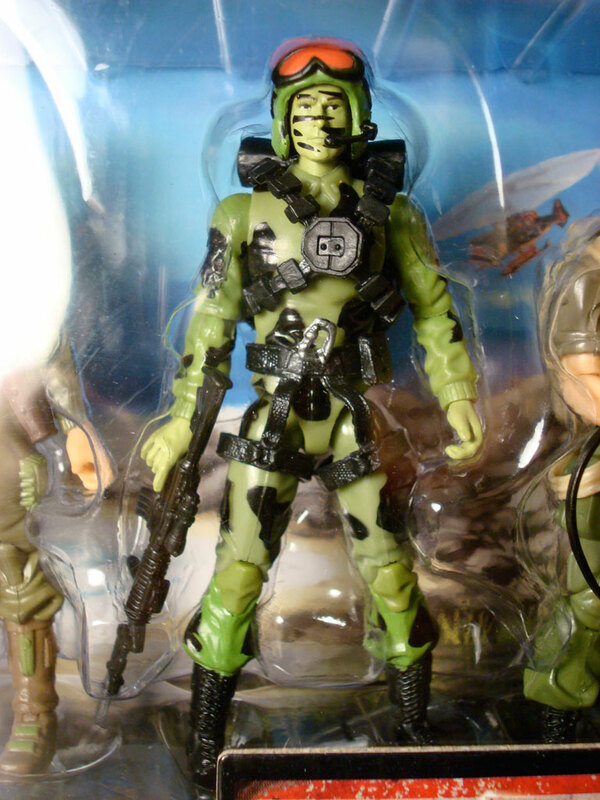 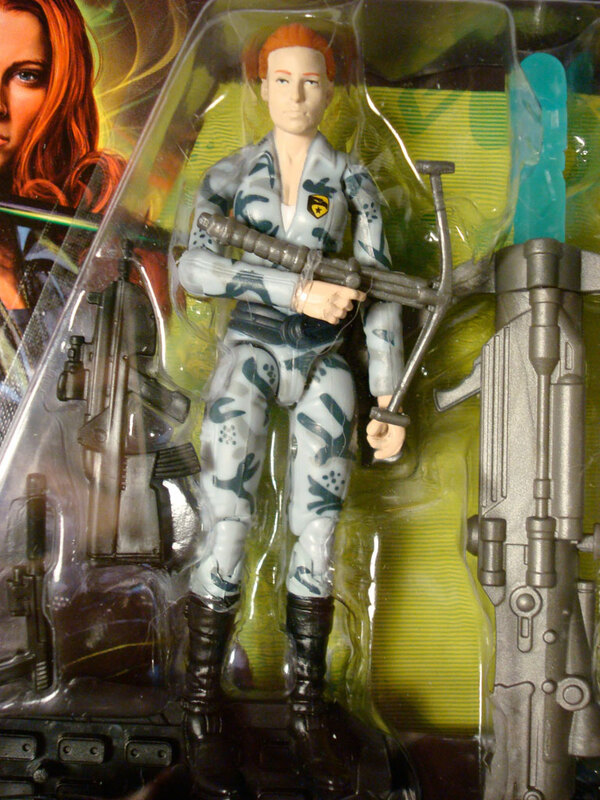 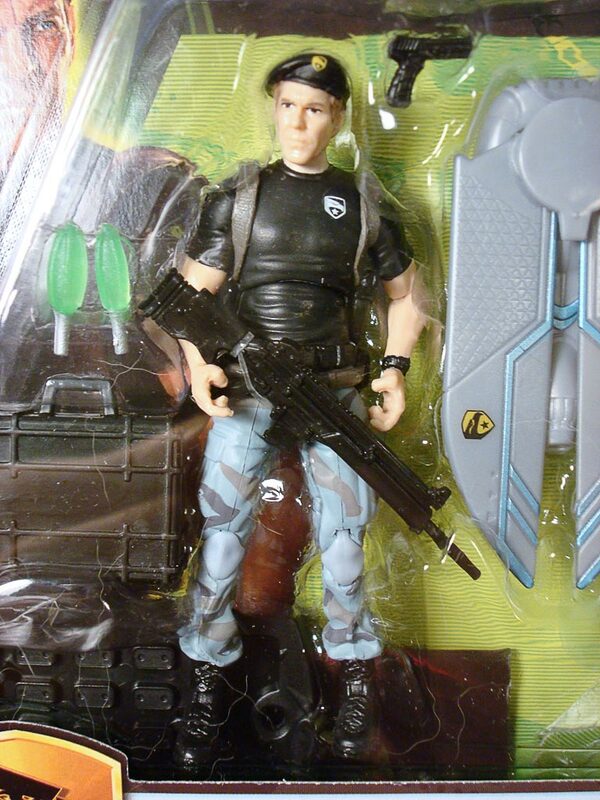 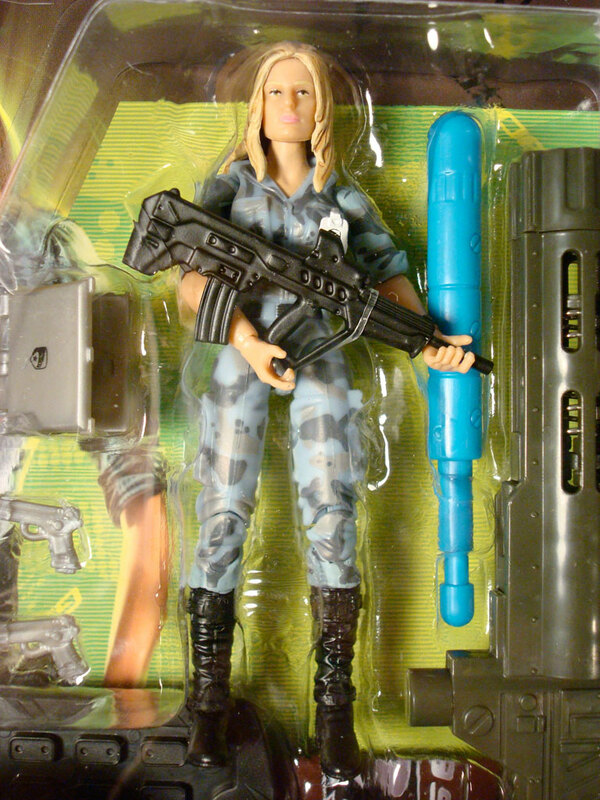 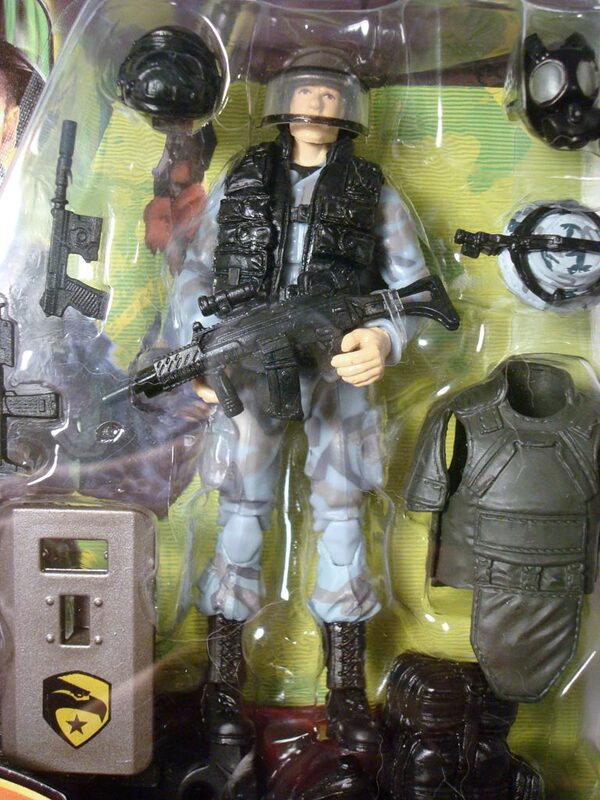 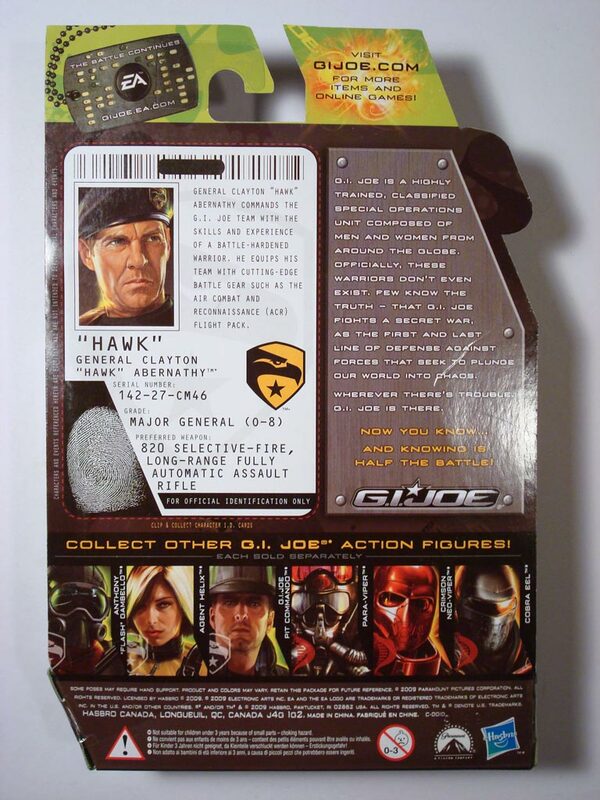 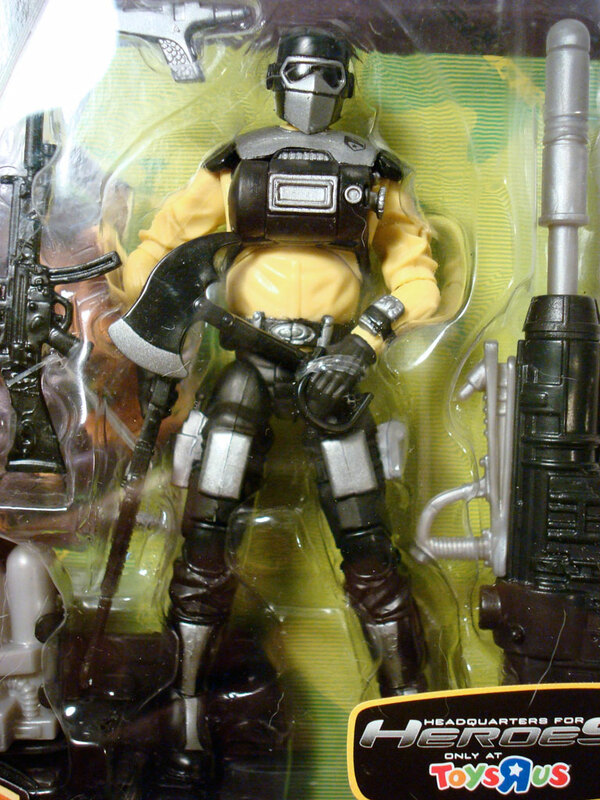 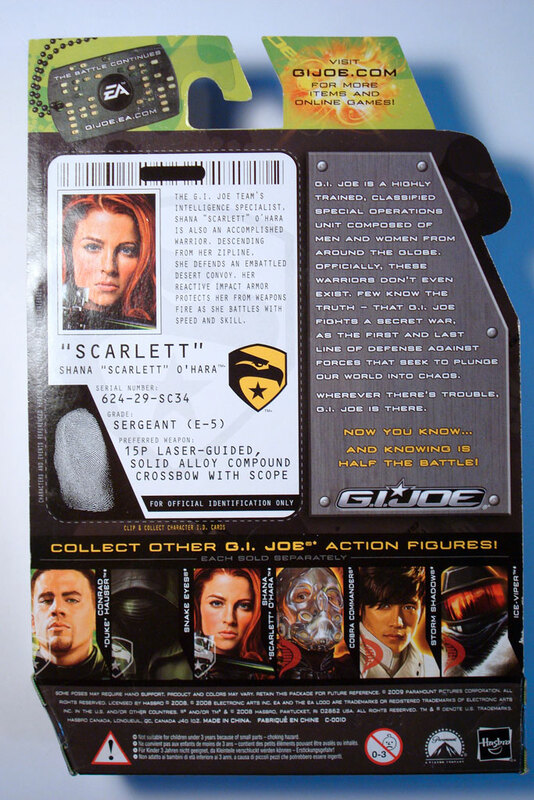 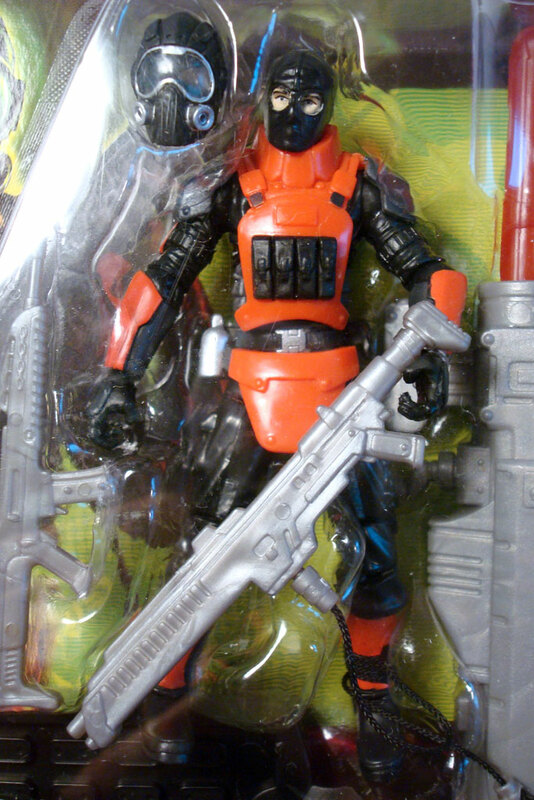 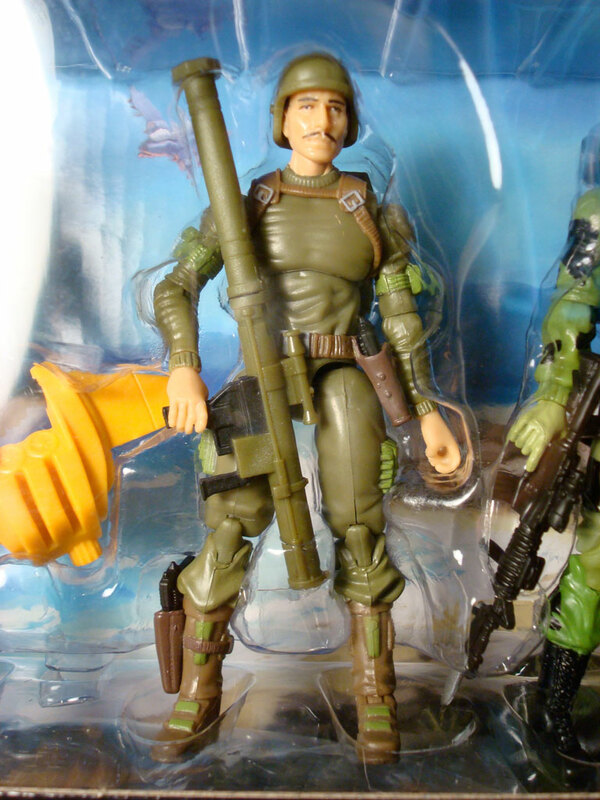 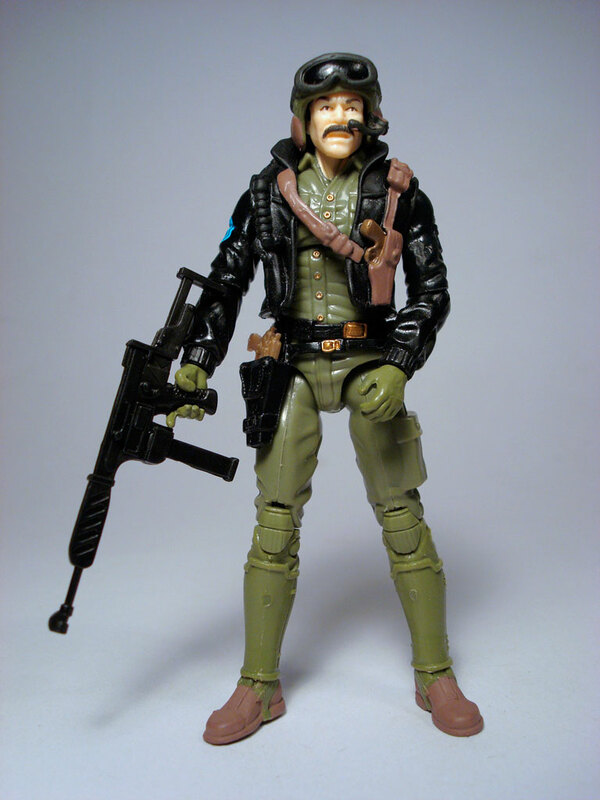 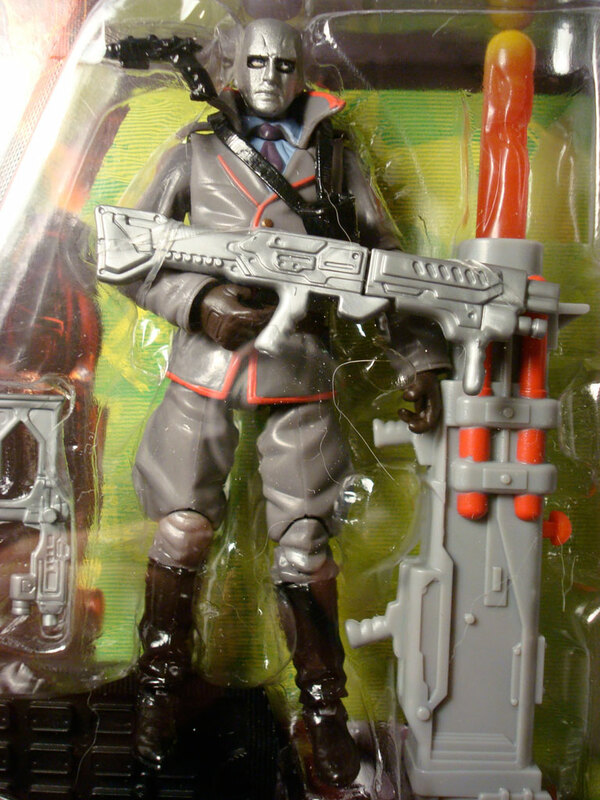 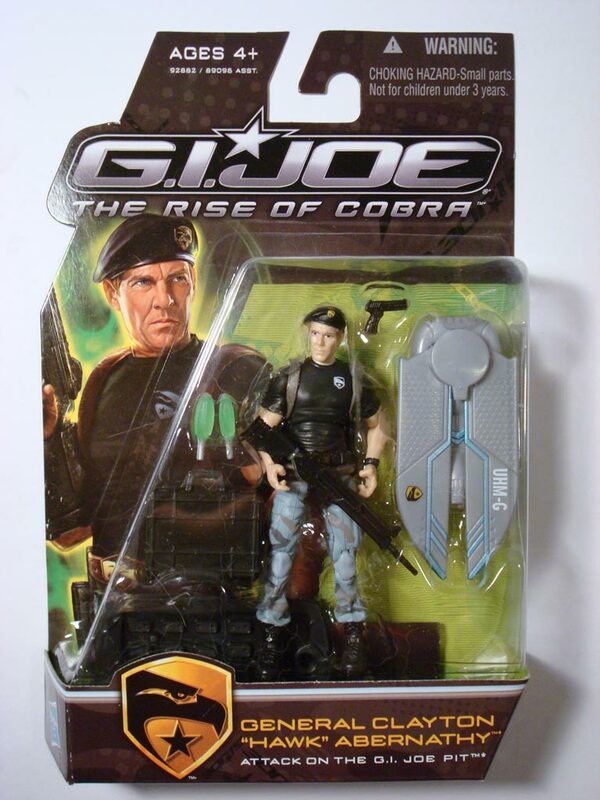 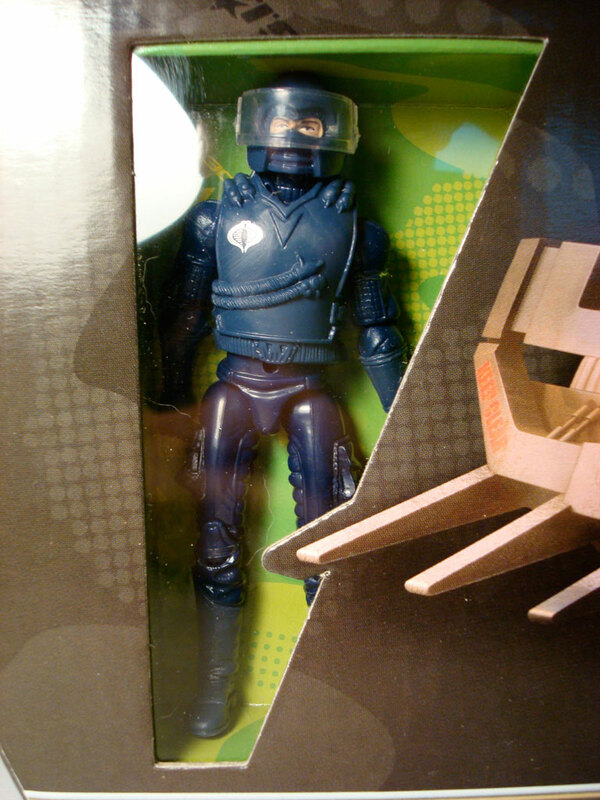 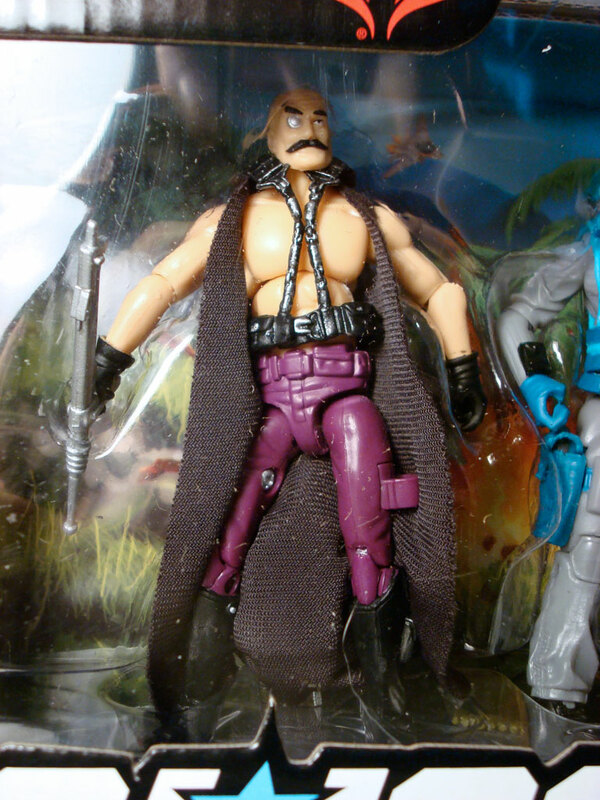 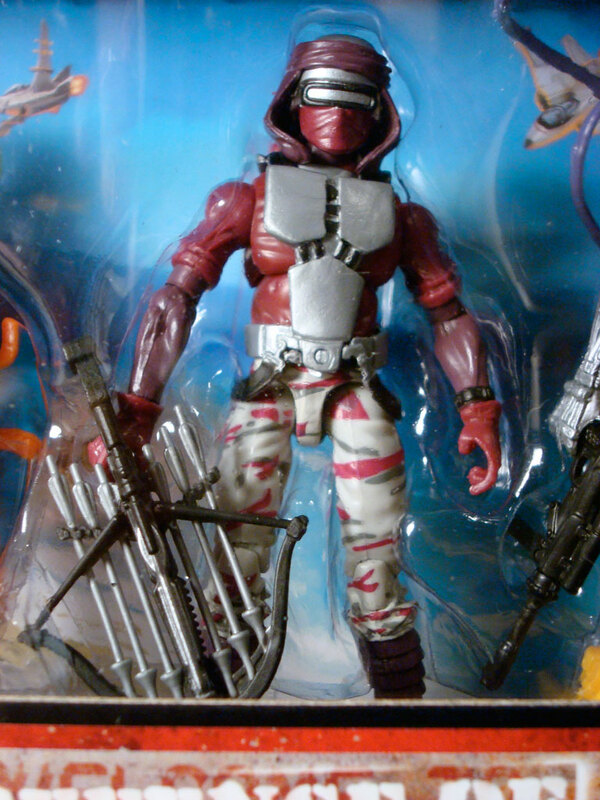 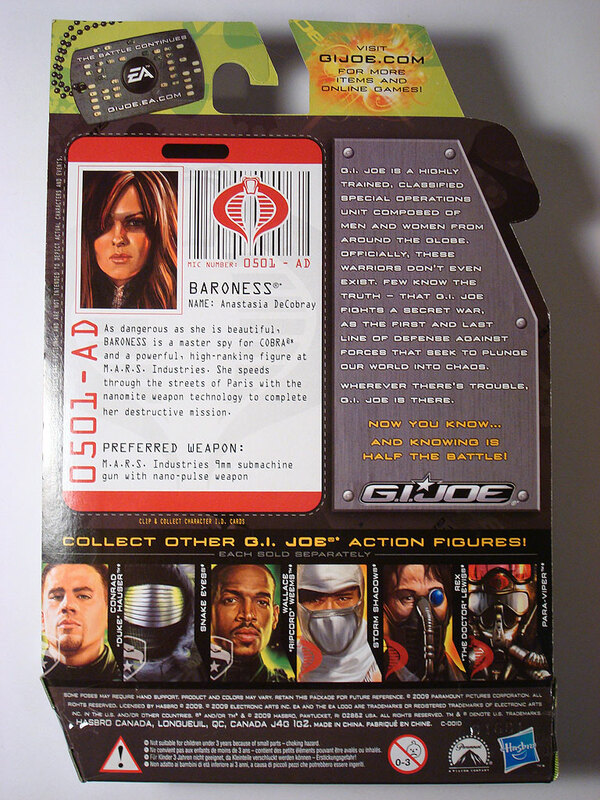 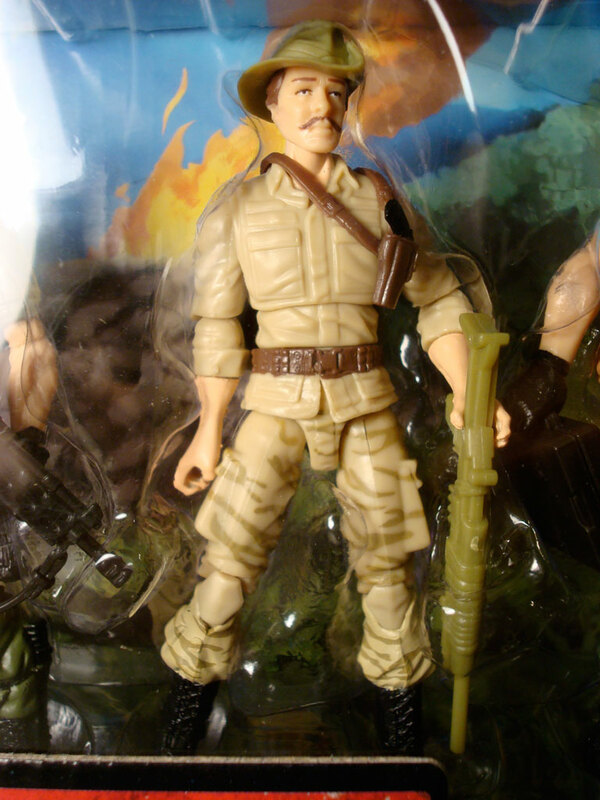 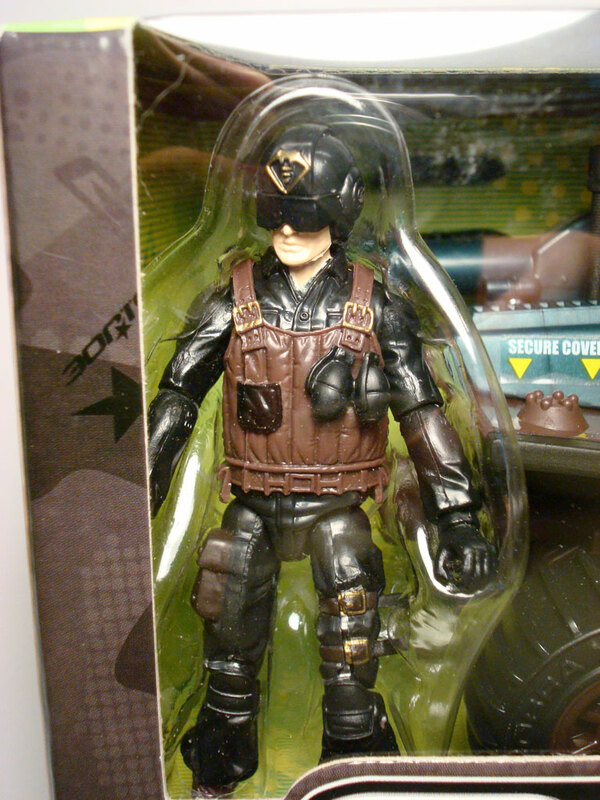 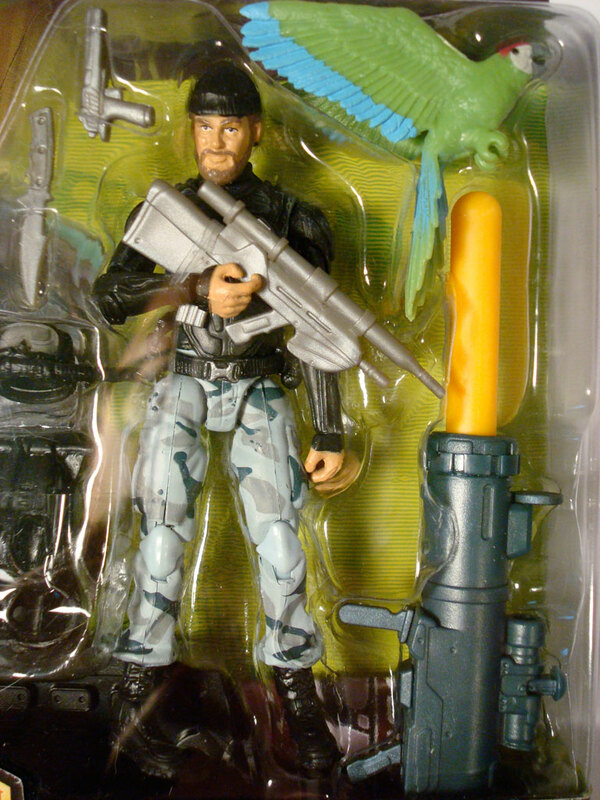 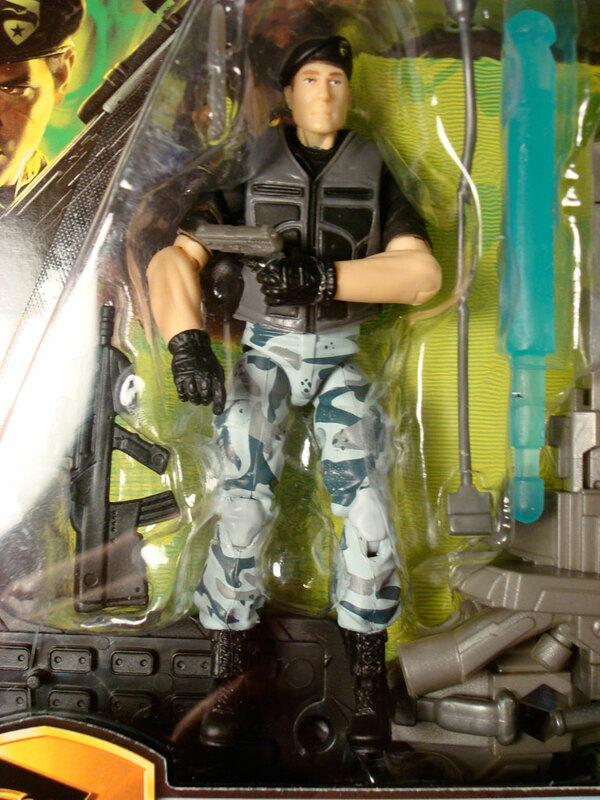 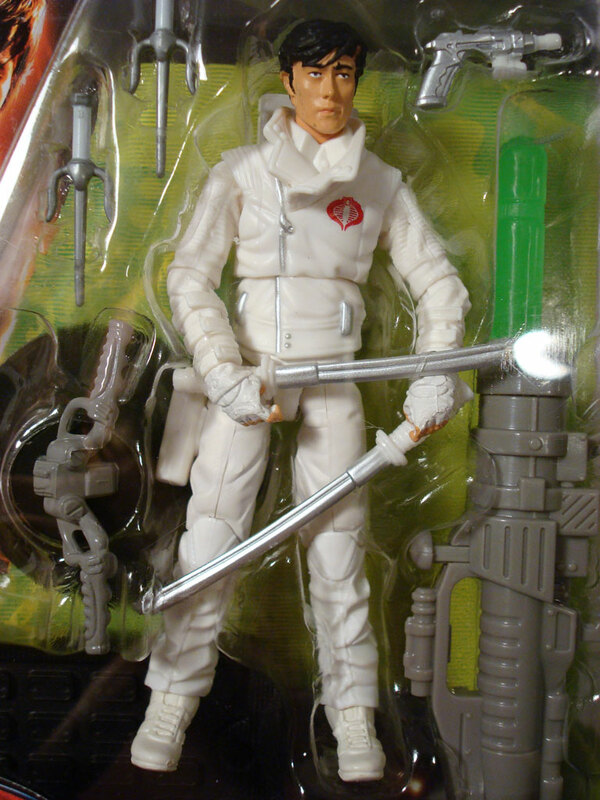 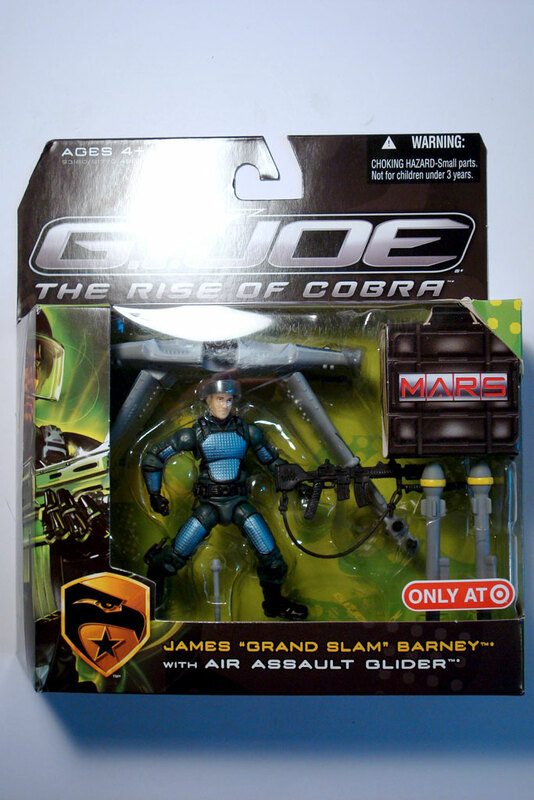 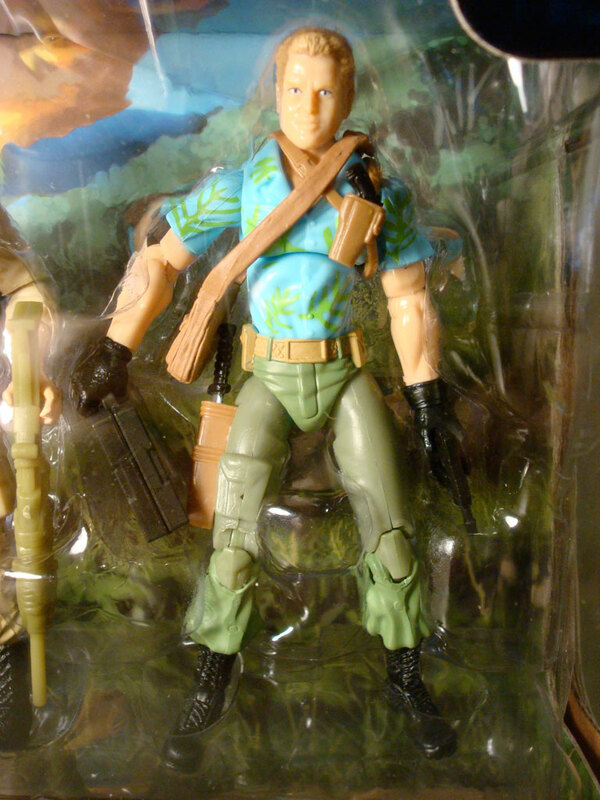 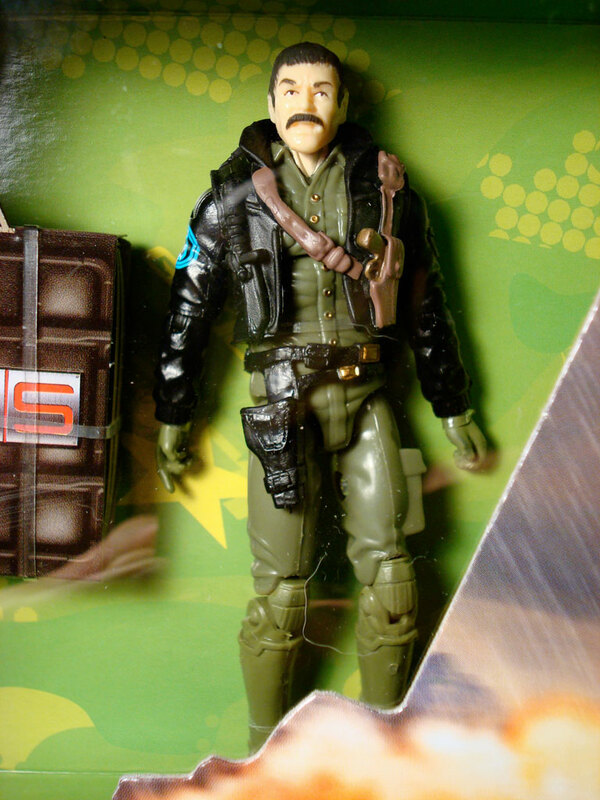 James “Grand Slam” Barney / Air Assault Glider — a repainted Grand Slam (Target Exclusive Vehicles w1) and vehicle from the 2003 “Spy Troops” sub-line. 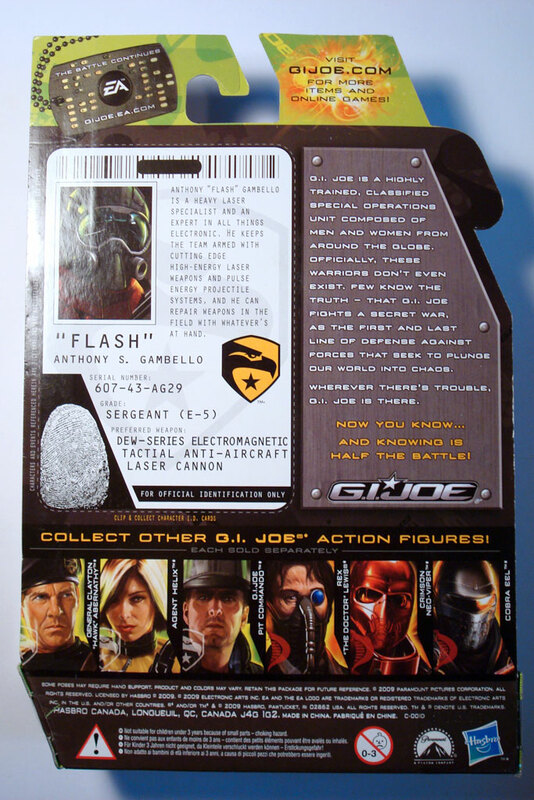 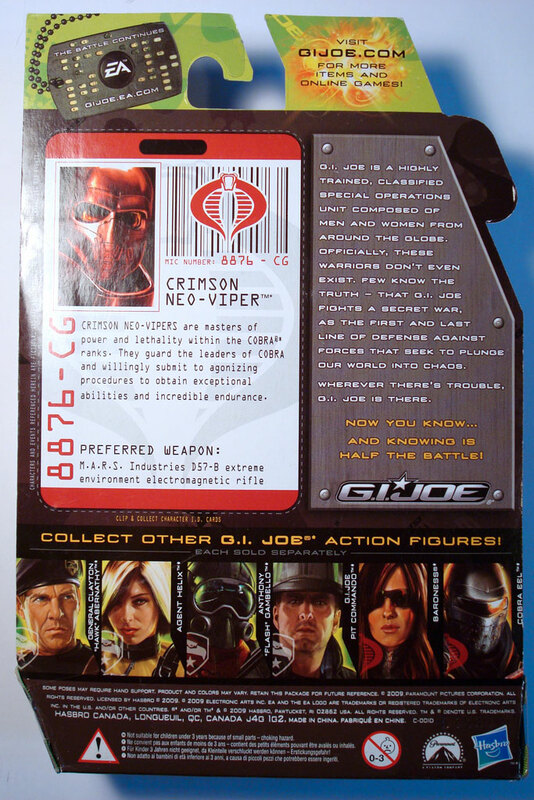 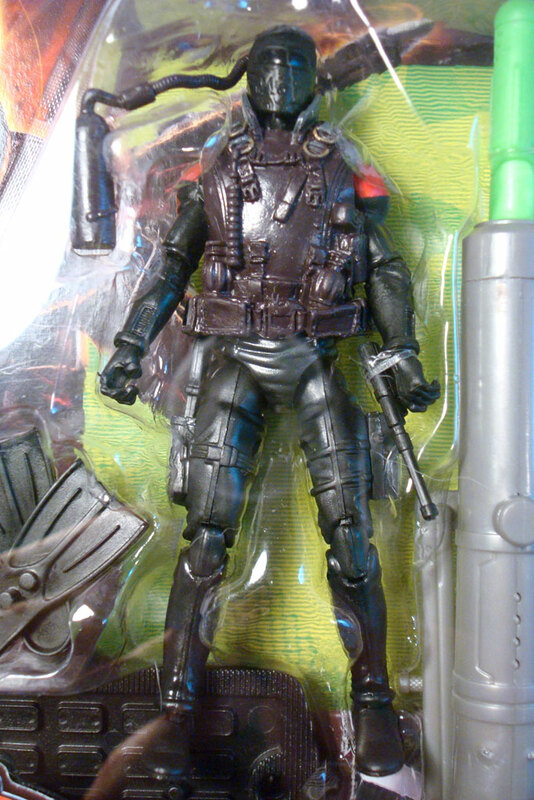 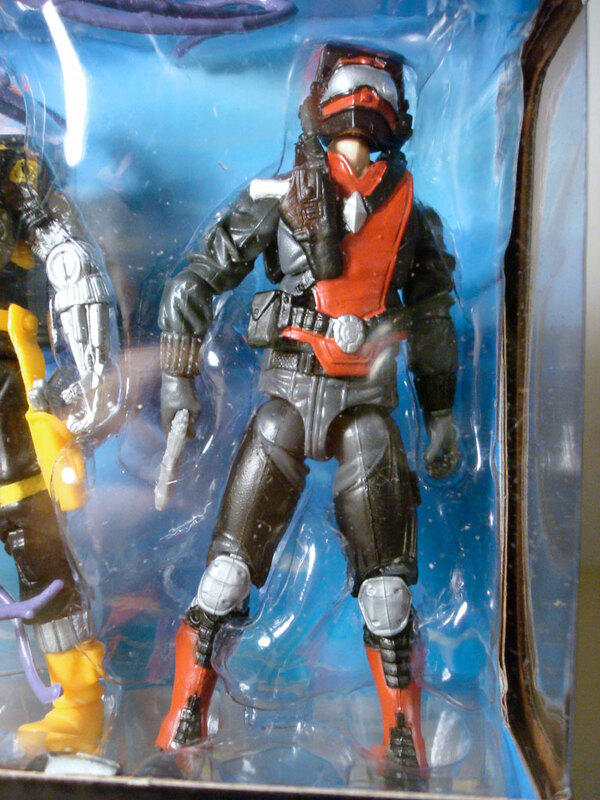 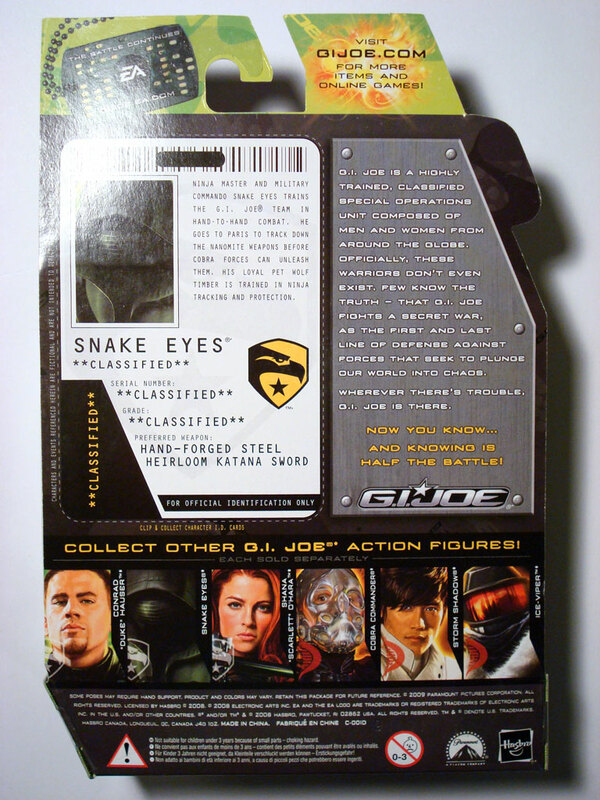 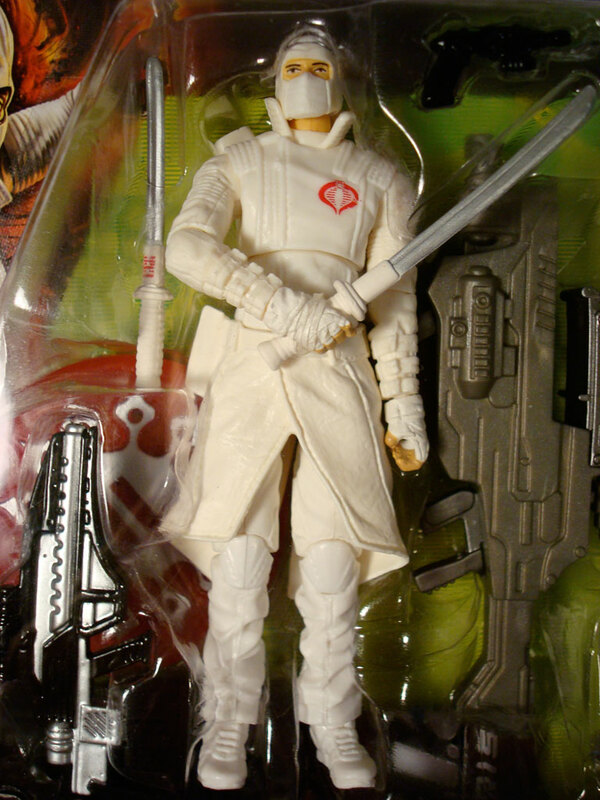 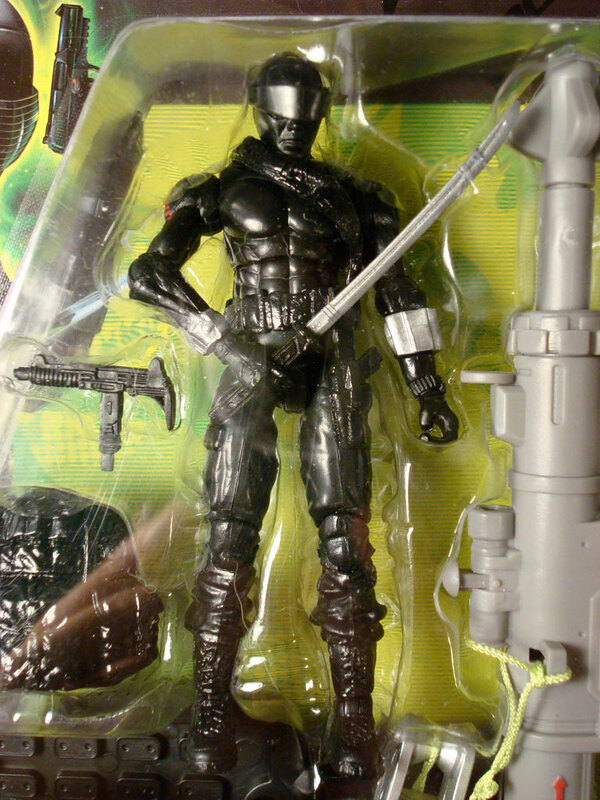 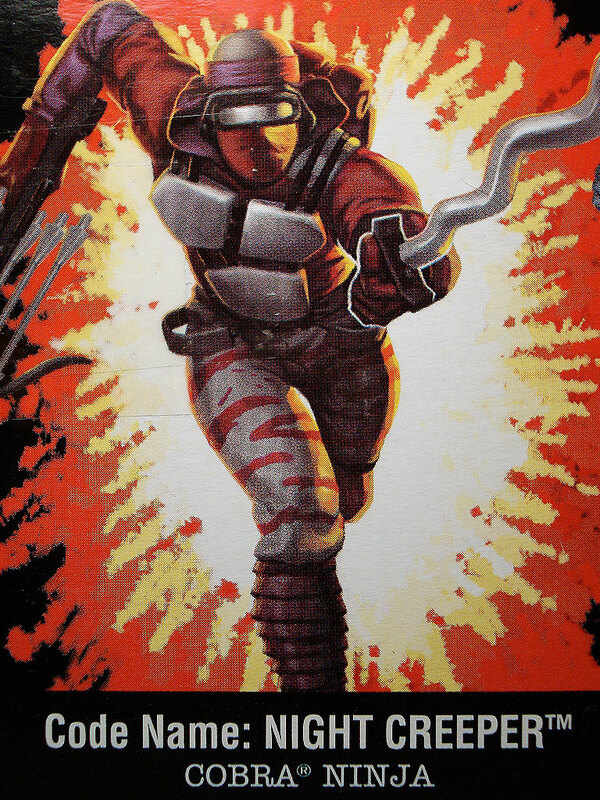 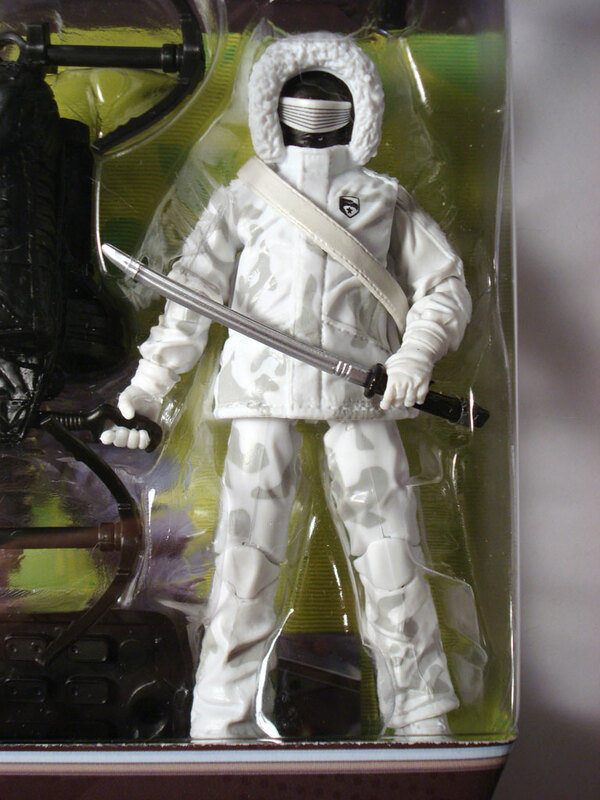 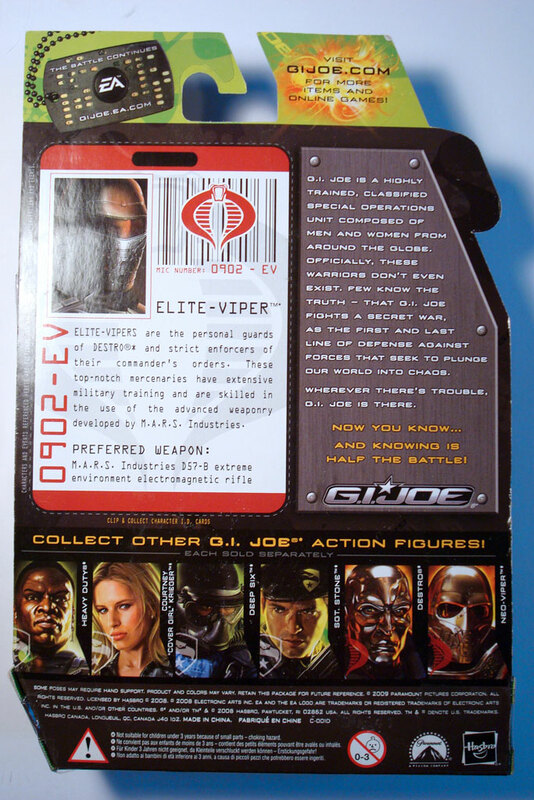 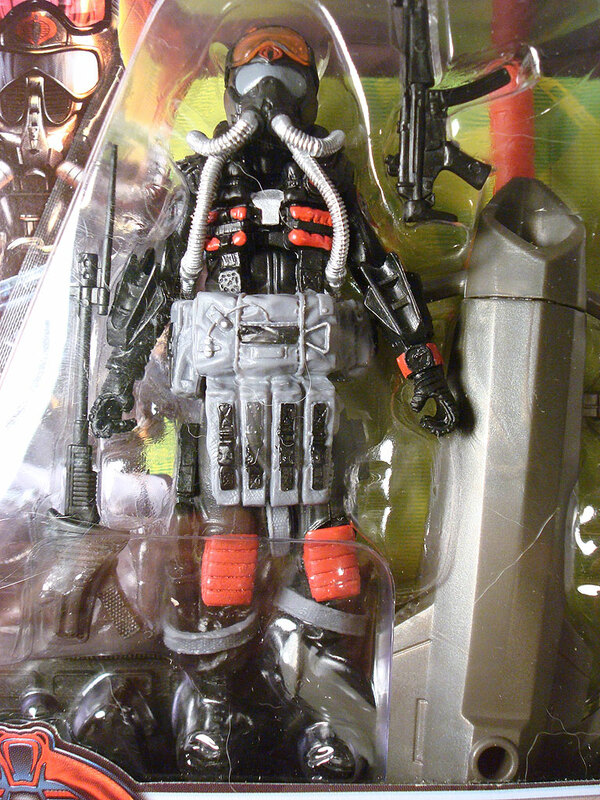 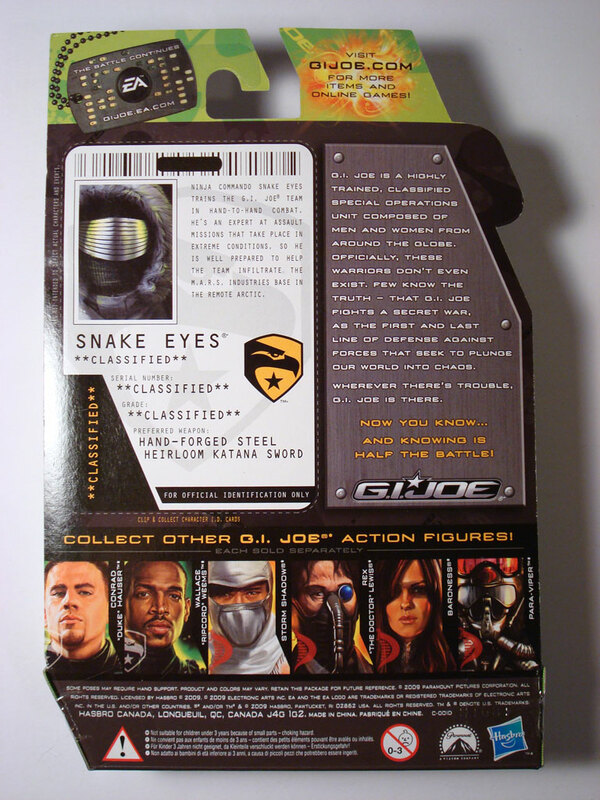 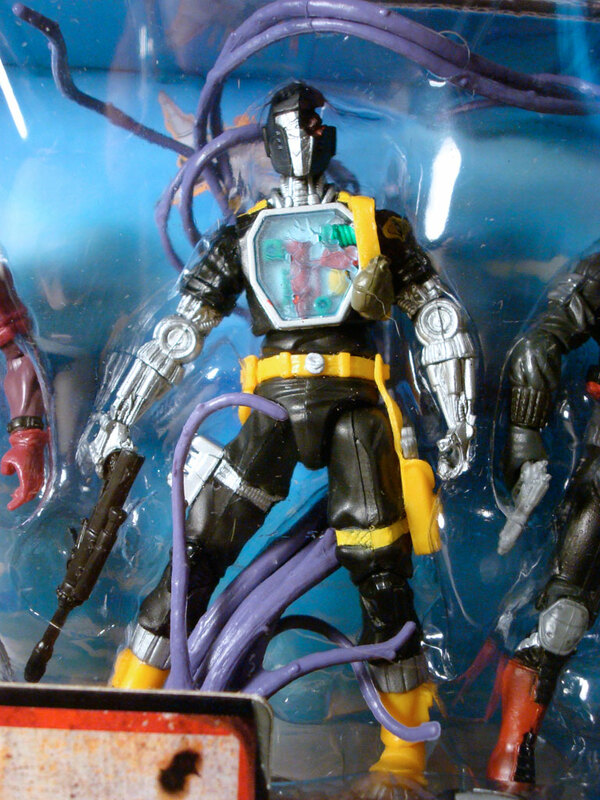 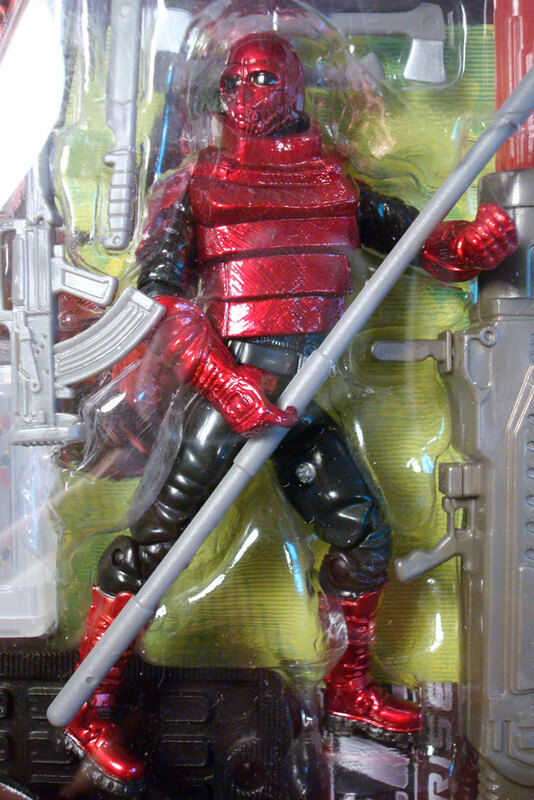 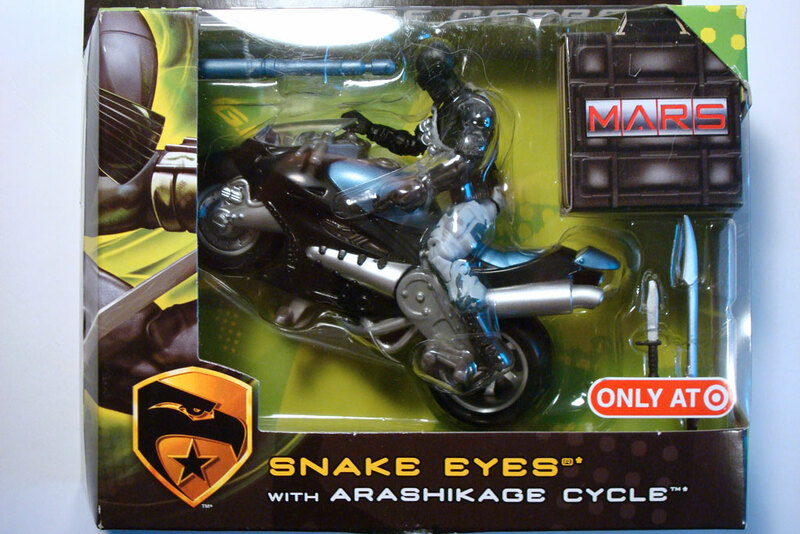 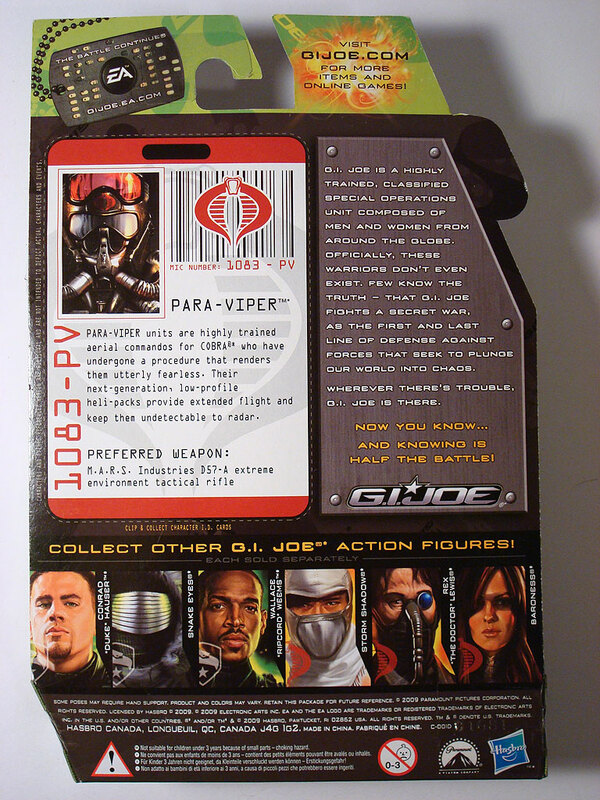 Snake Eyes / Arashikage Cycle — a frankenjoe Snake Eyes (top half from DVD w4) and a repainted Ninja Lightning Cycle (from the 2004 “Valor vs. Venom” sub-line).